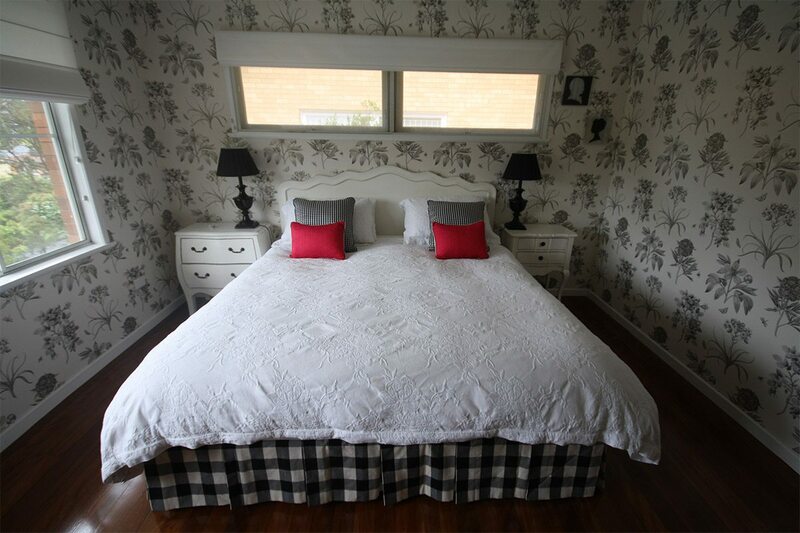 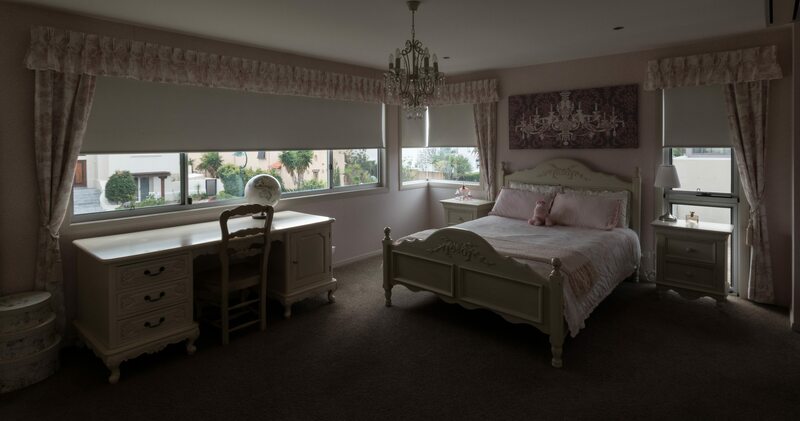 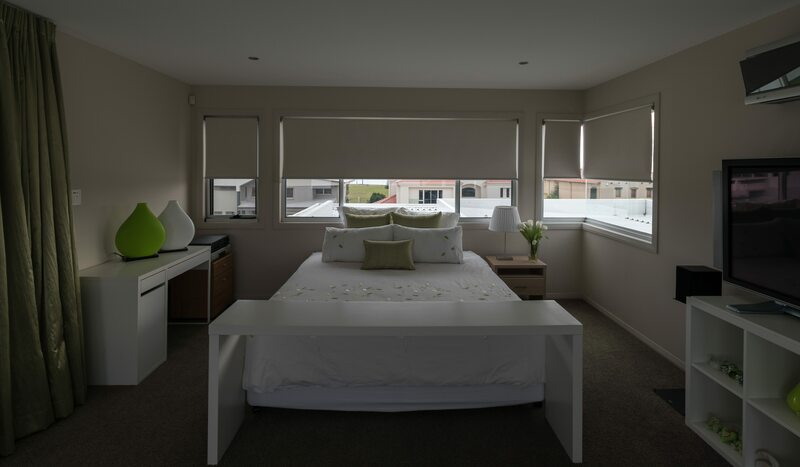 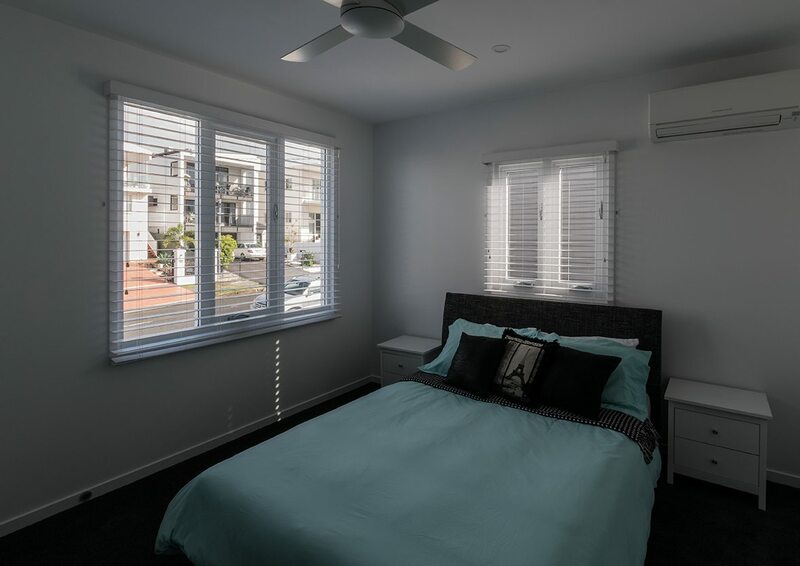 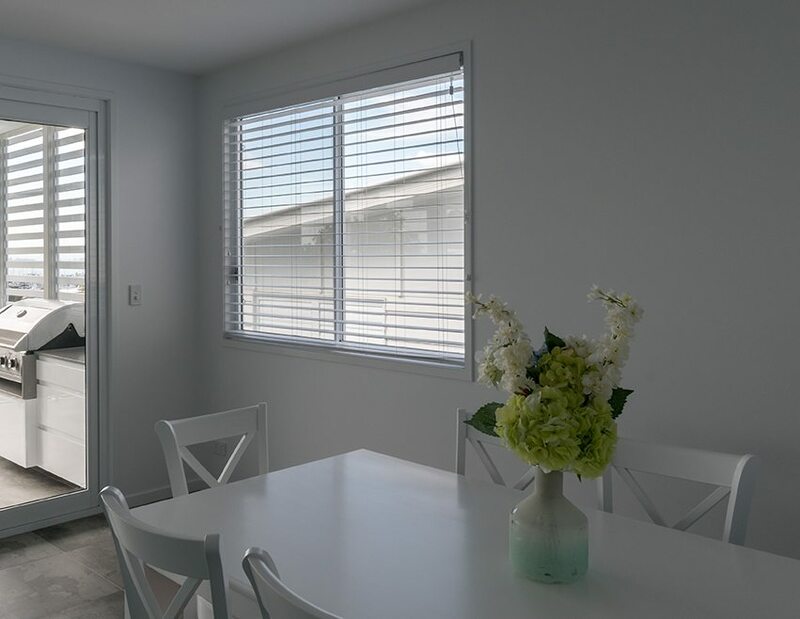 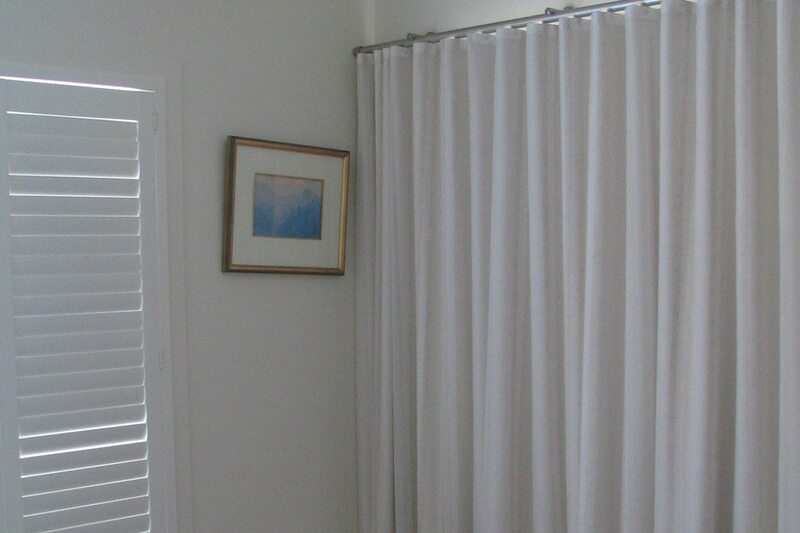 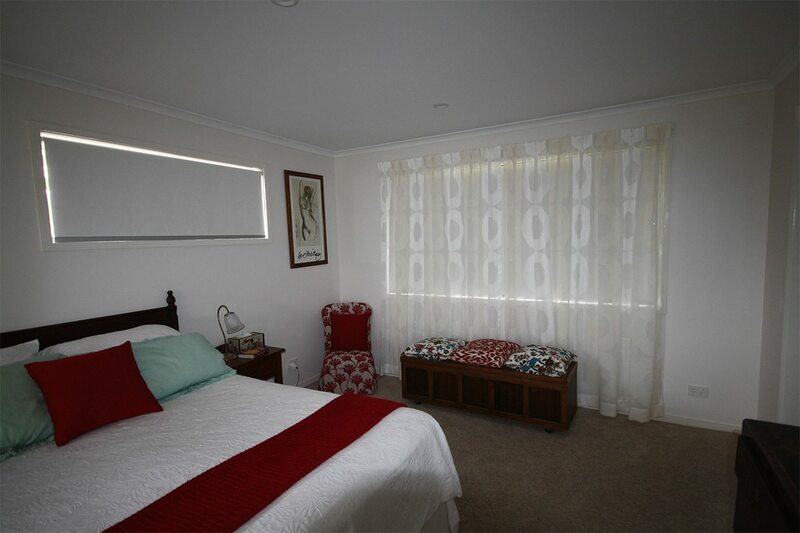 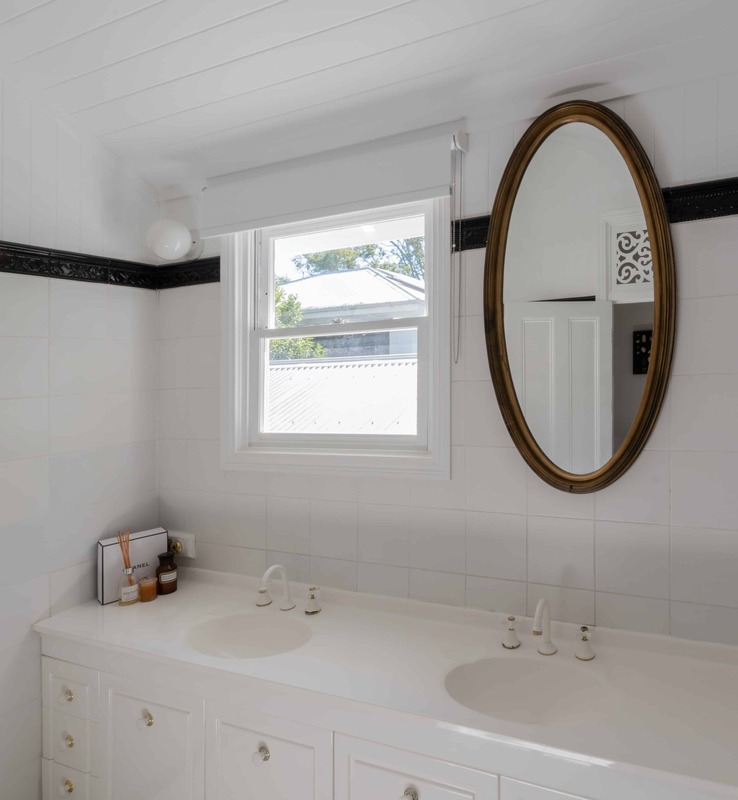 White Sofia pole with S Fold curtains on sliding door with shutters on side window. 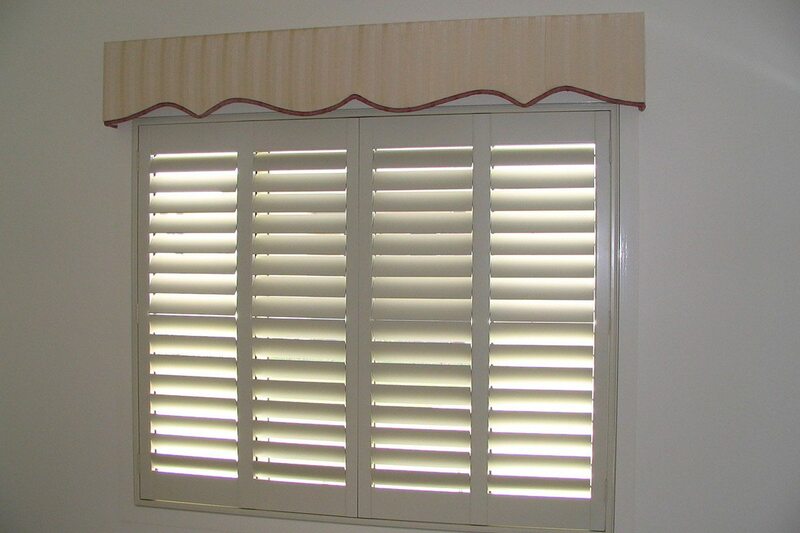 Shutters and curtains together. 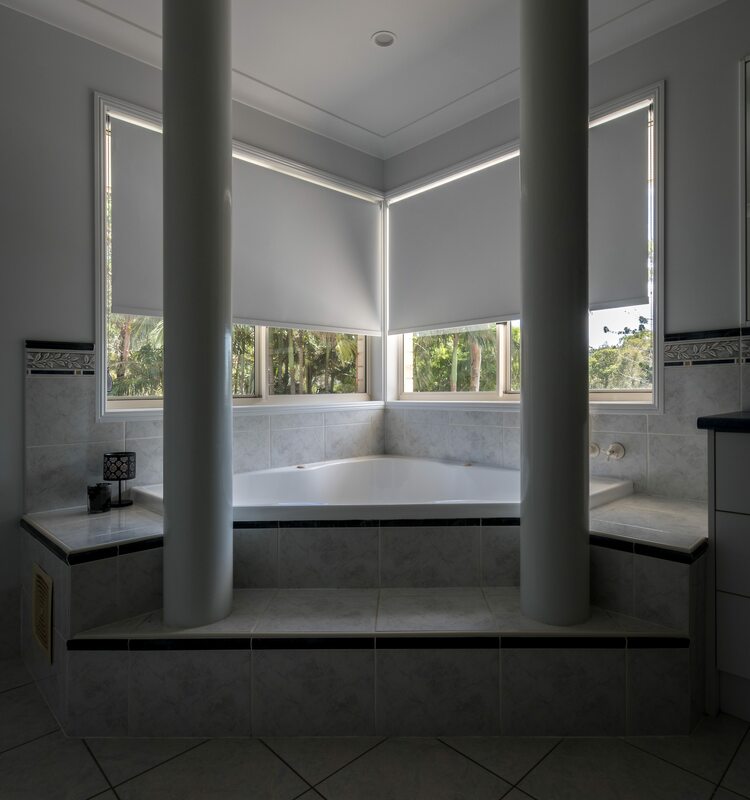 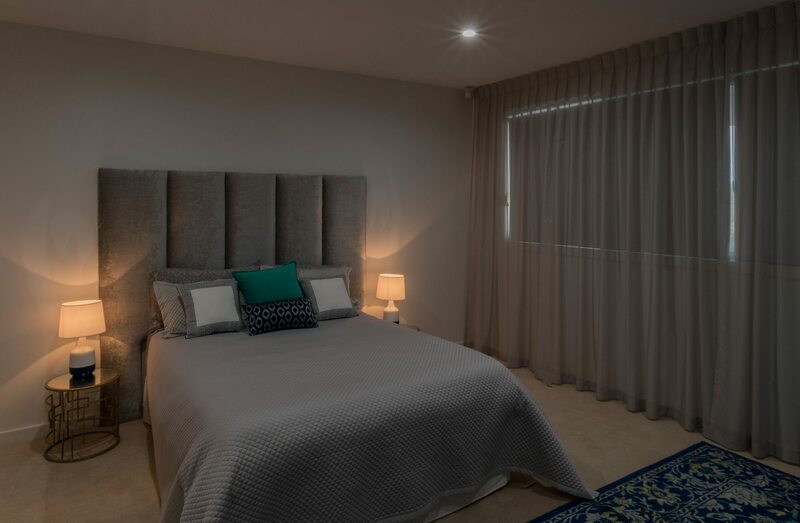 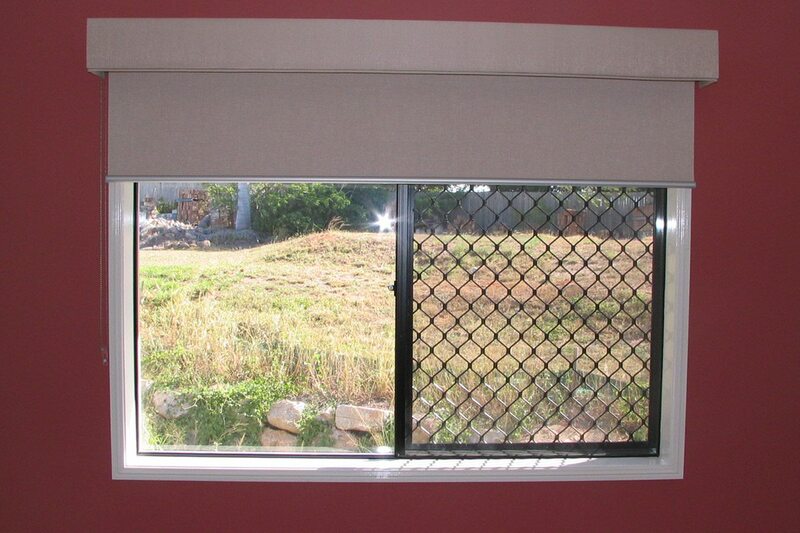 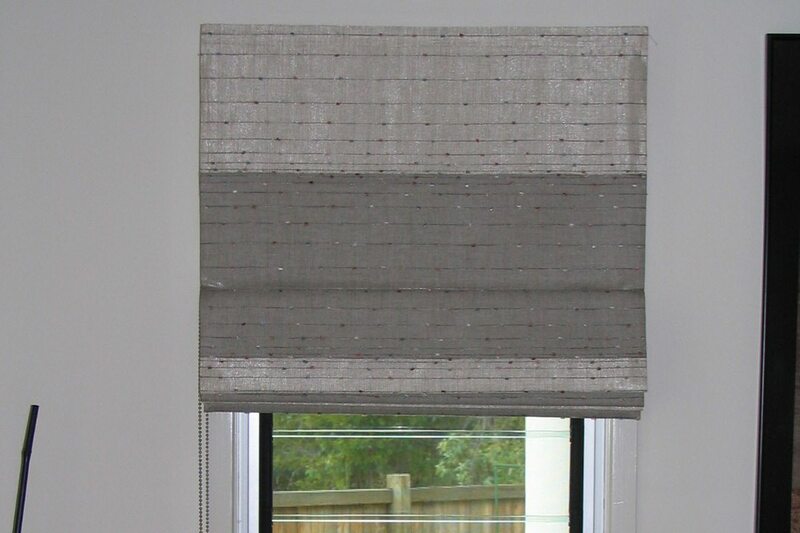 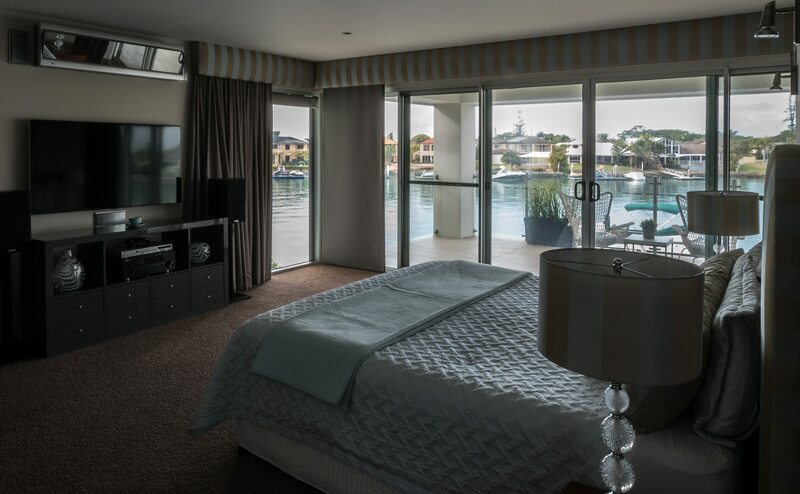 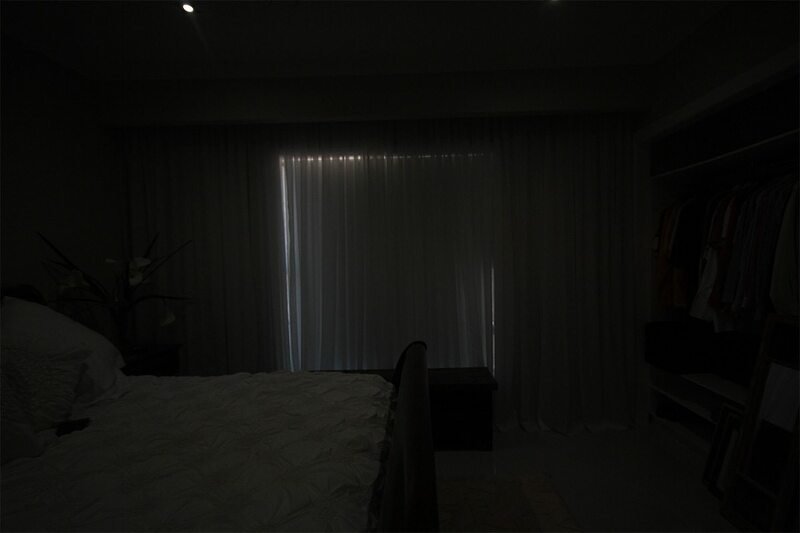 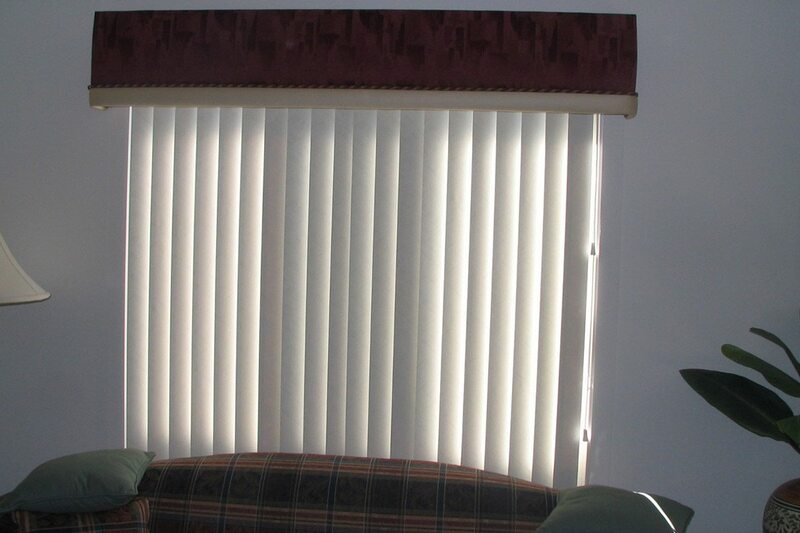 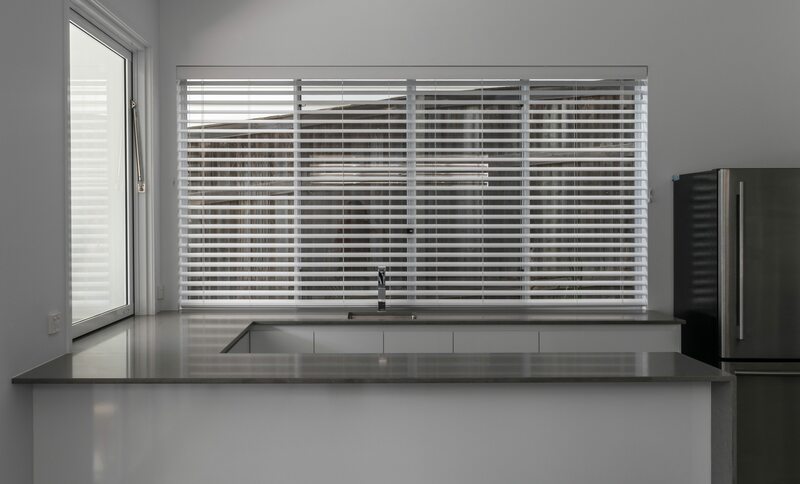 Designer satin chrome pole with S Fold block out curtains, with shutters on the side window. 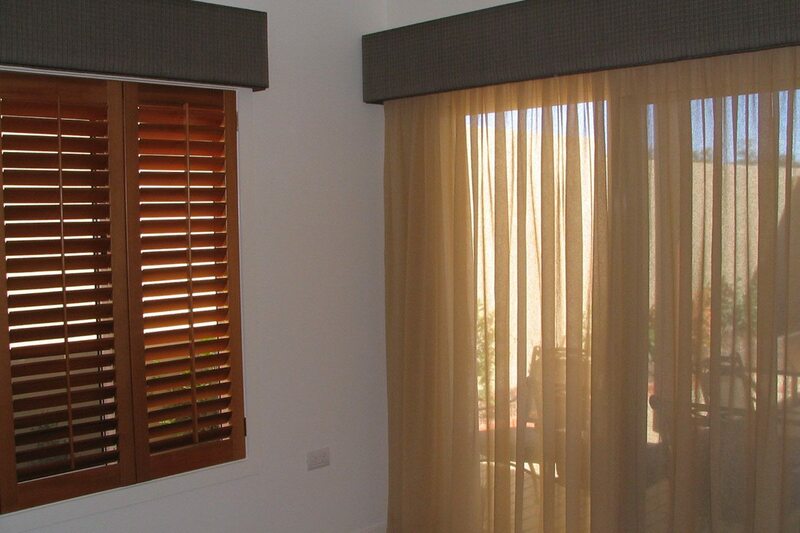 Curtains and shutters together. 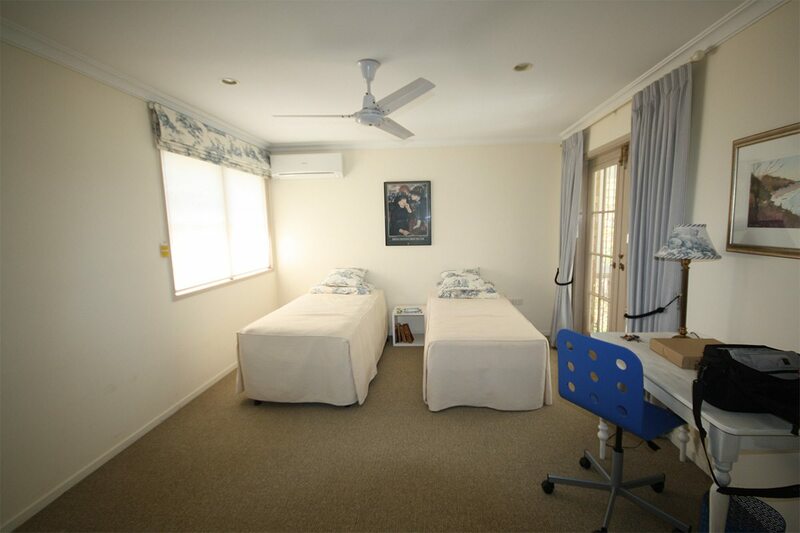 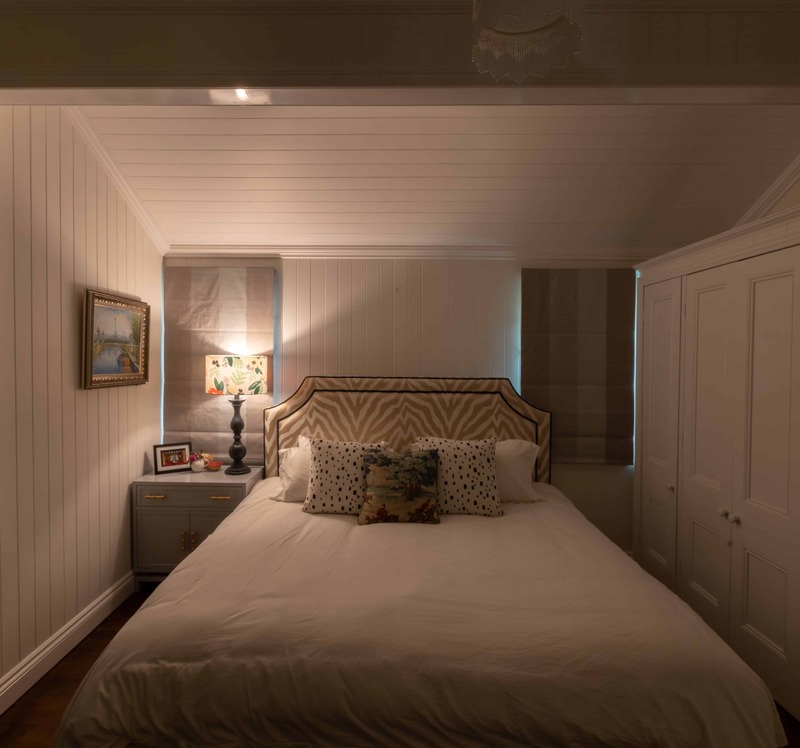 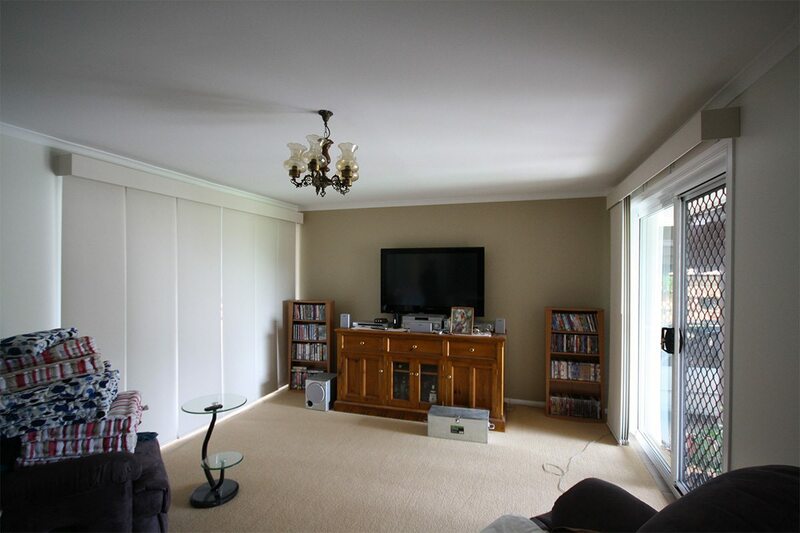 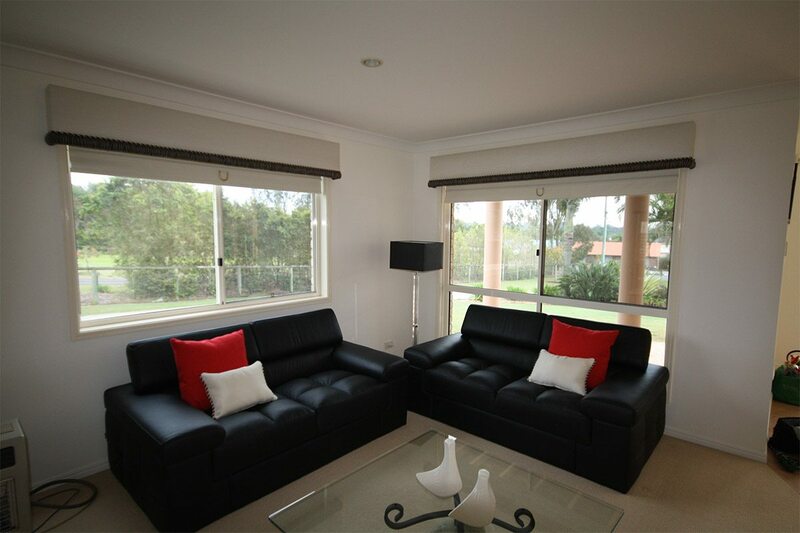 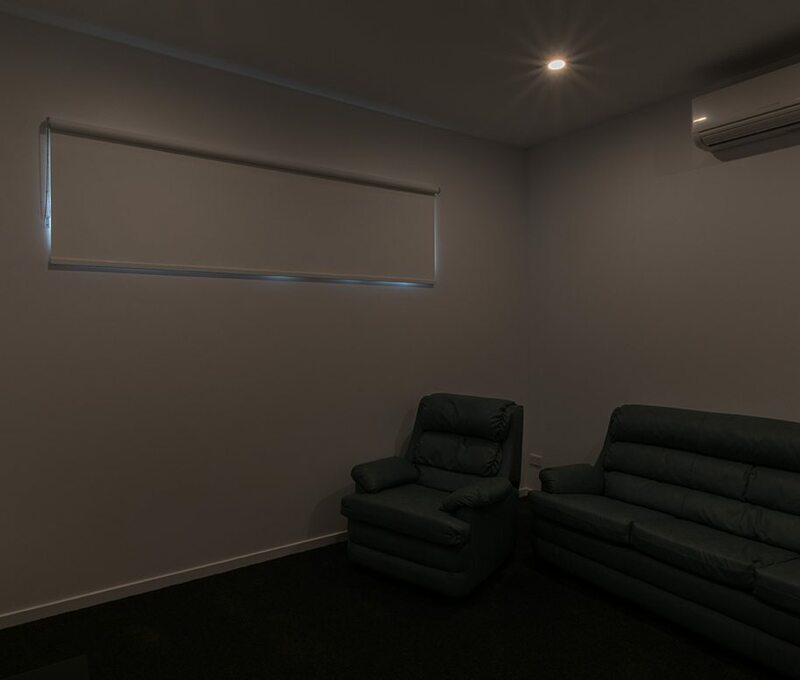 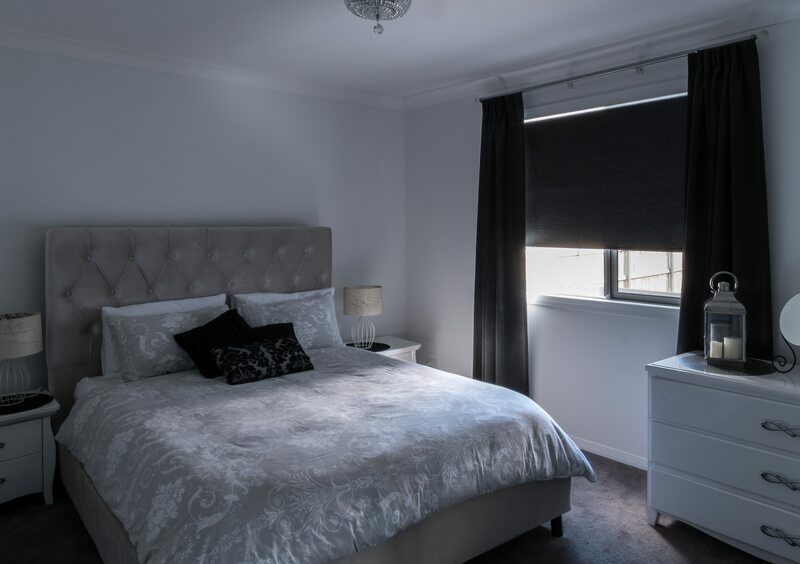 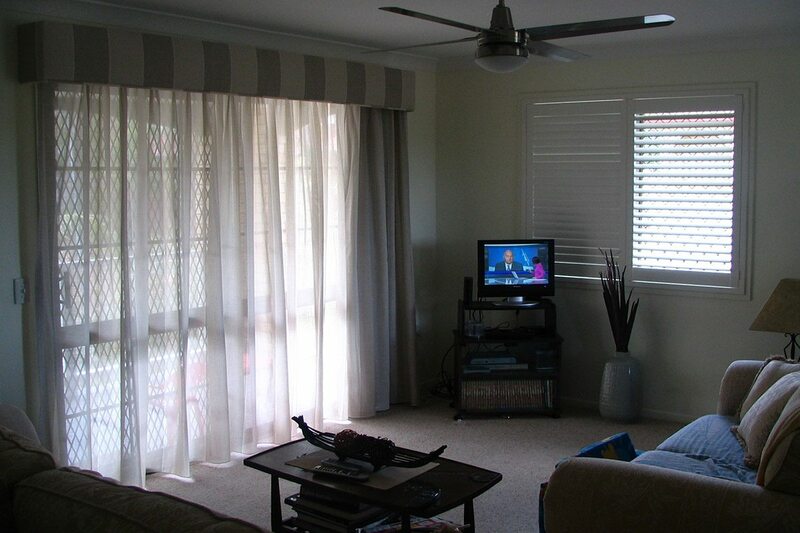 Large space with curtains and shutters together. 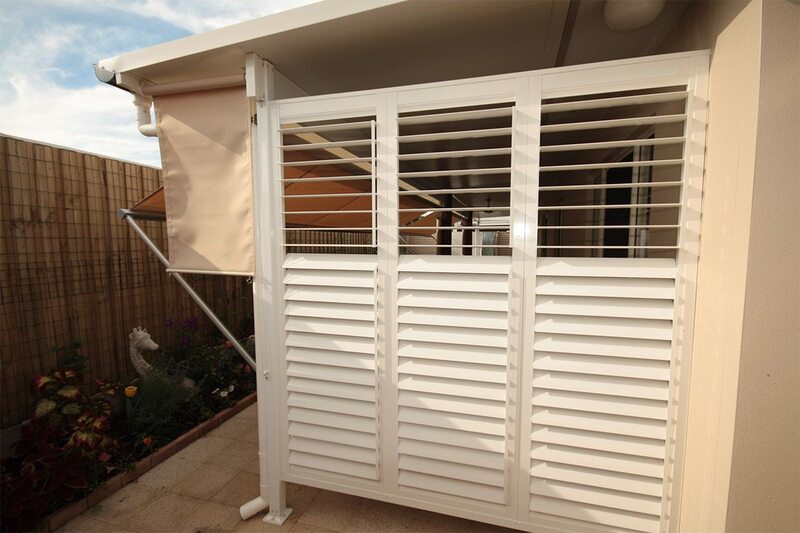 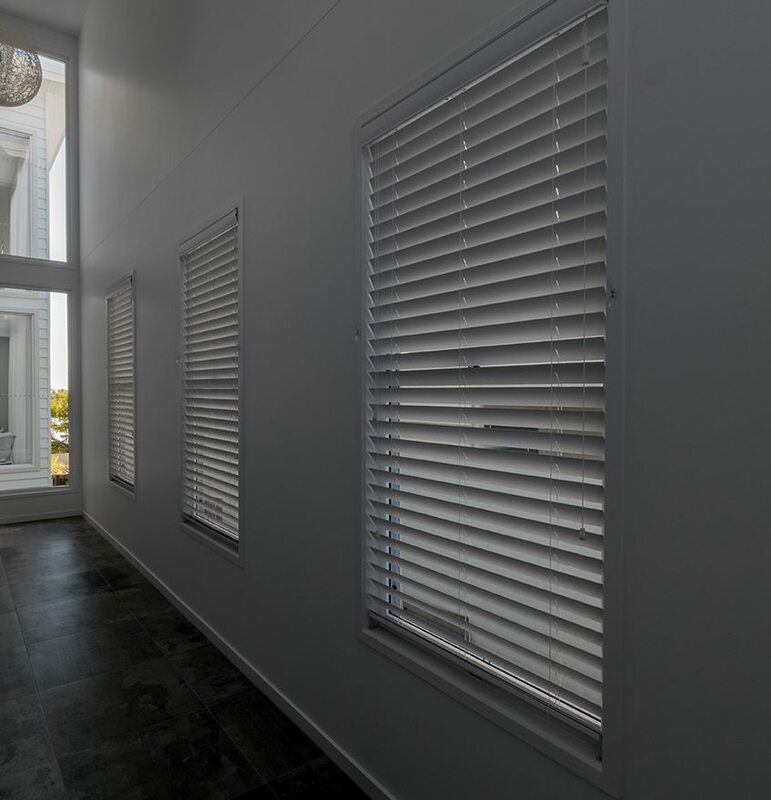 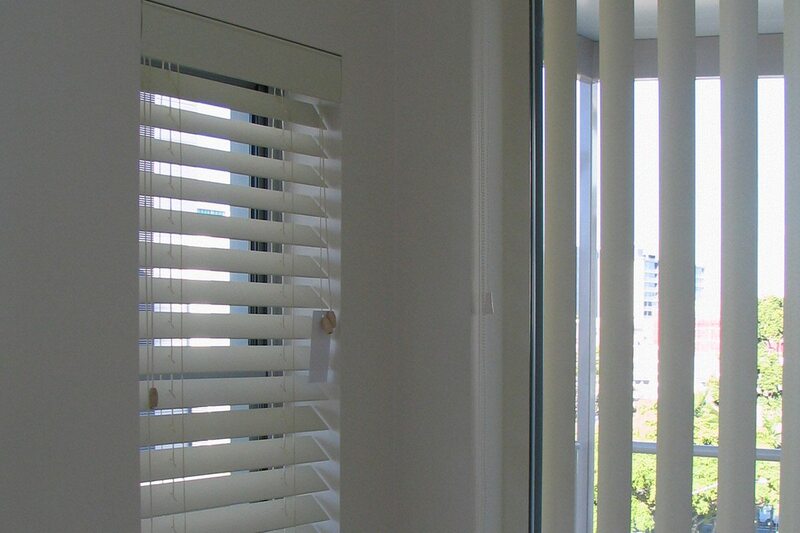 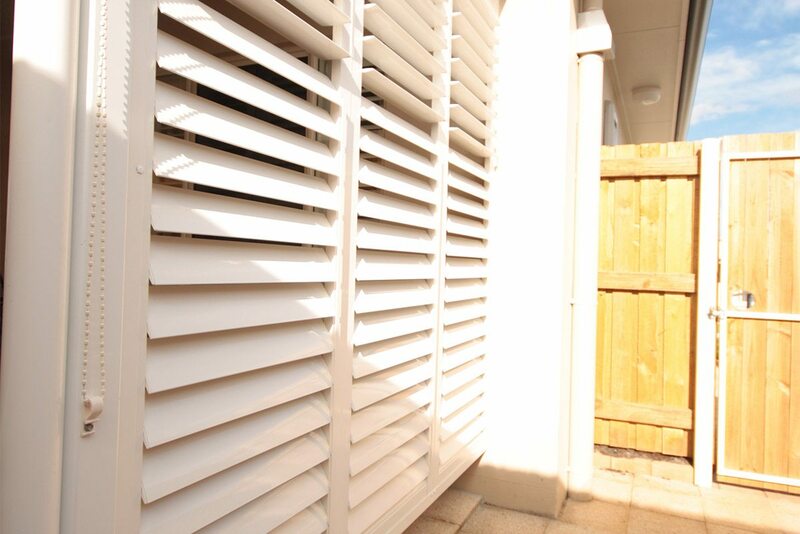 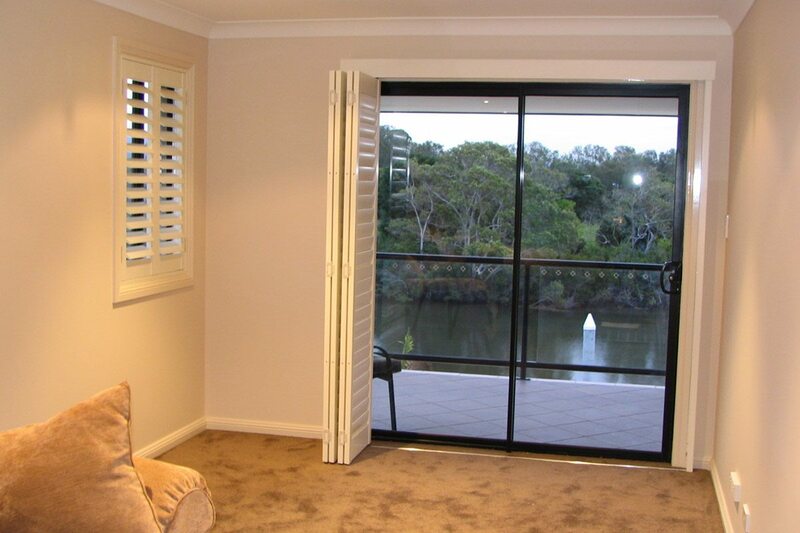 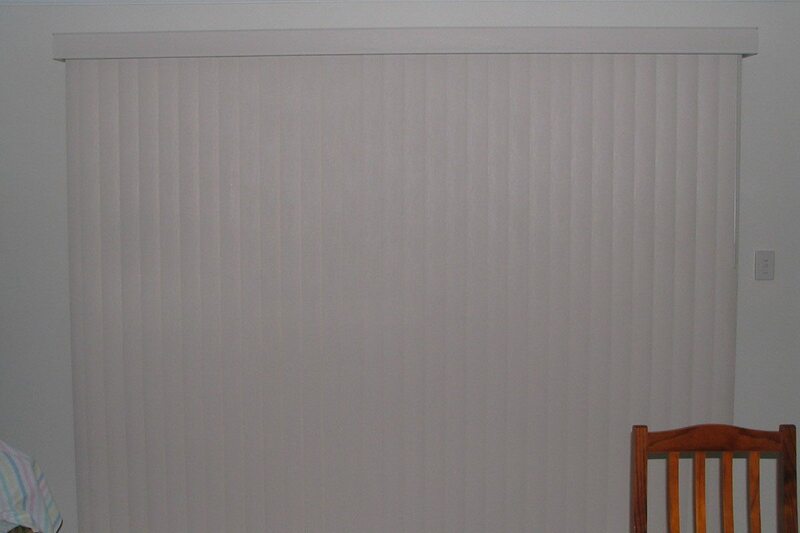 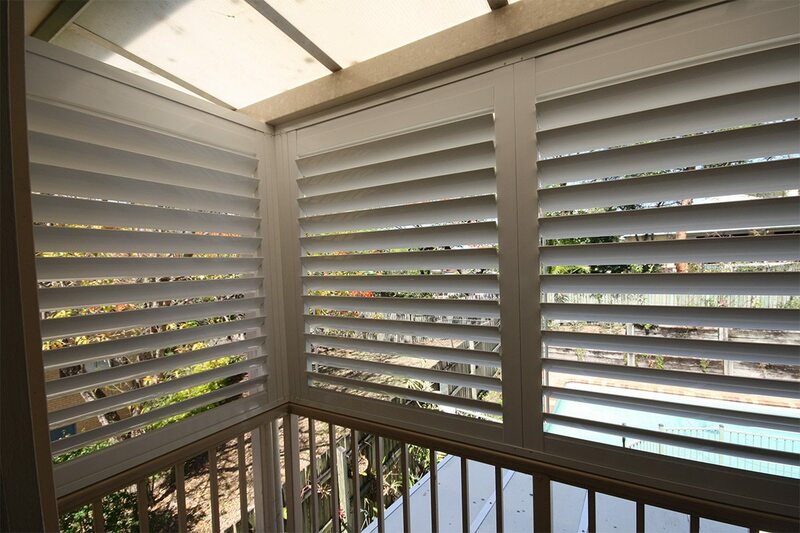 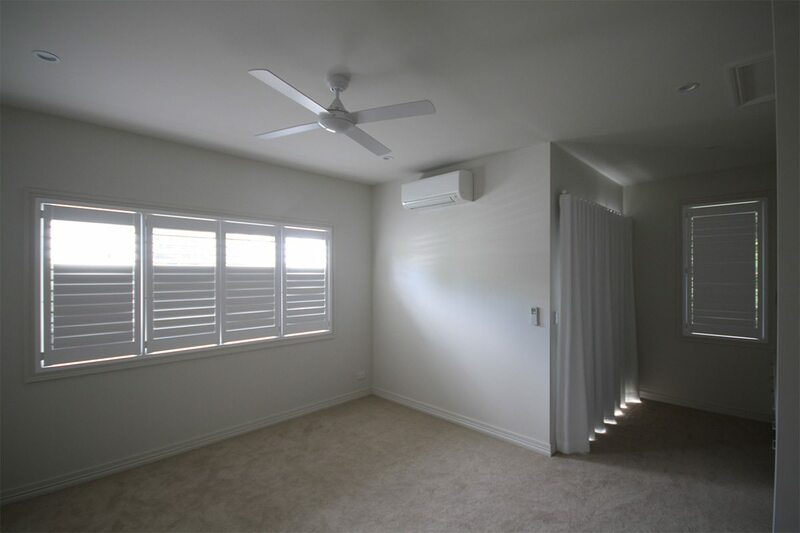 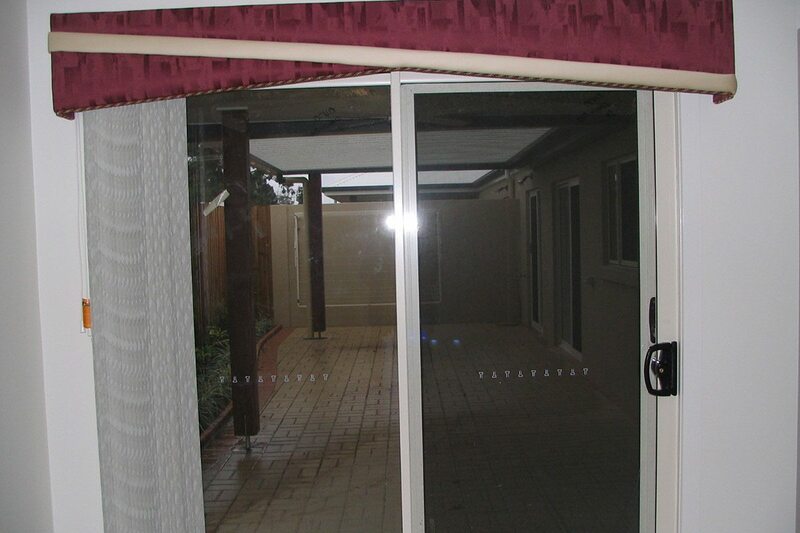 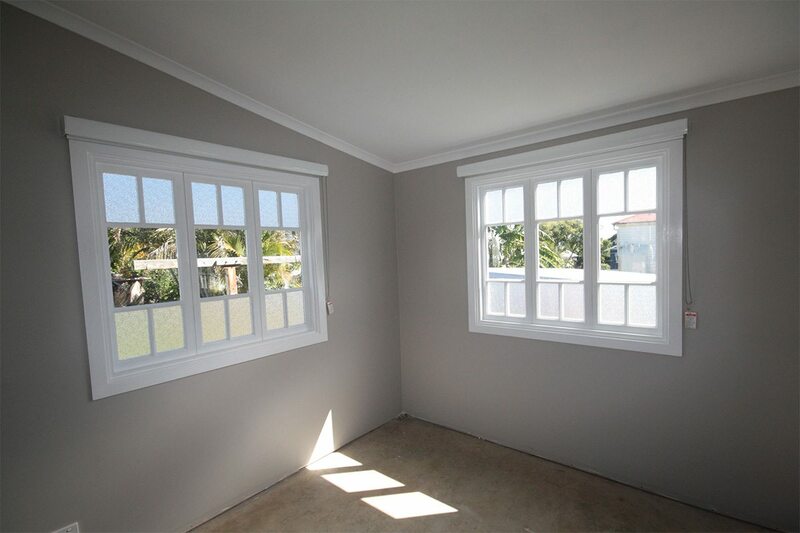 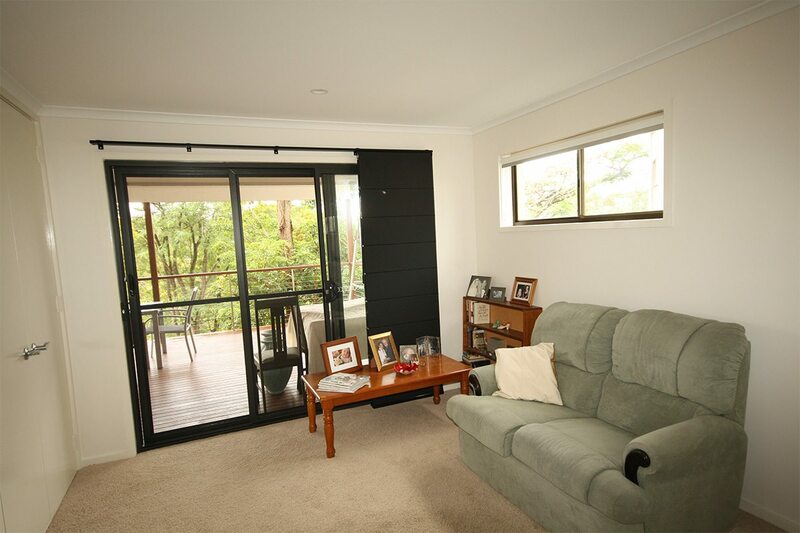 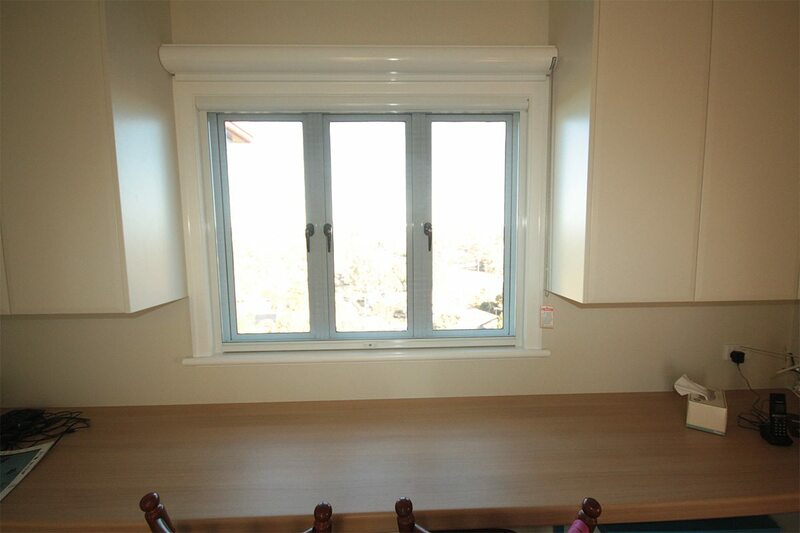 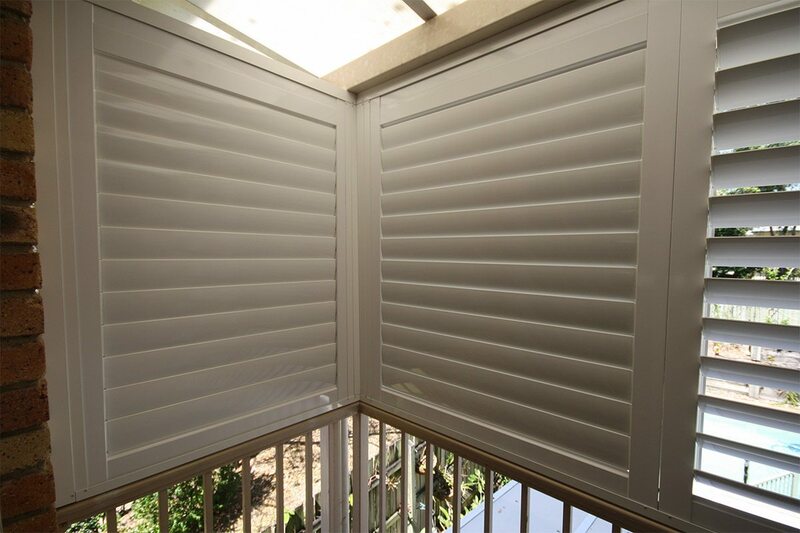 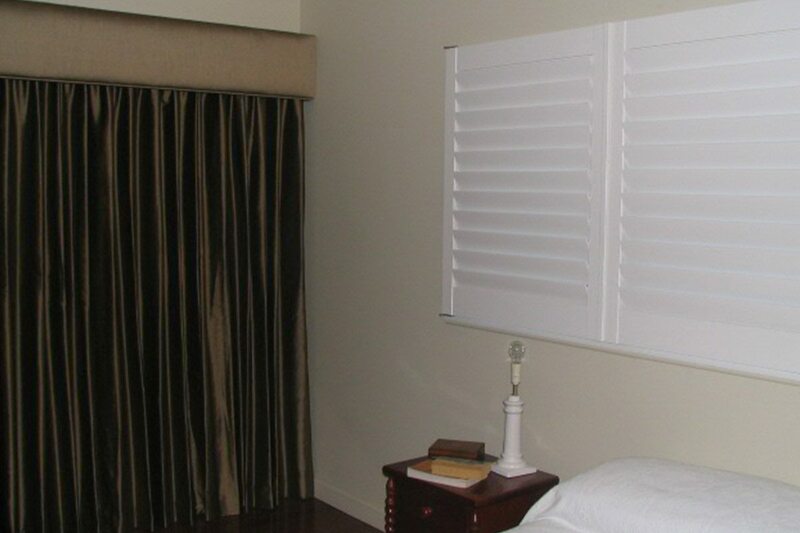 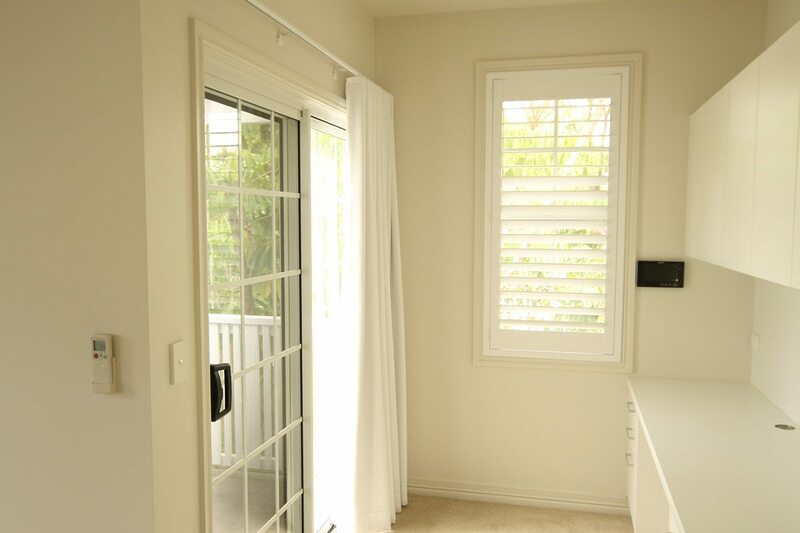 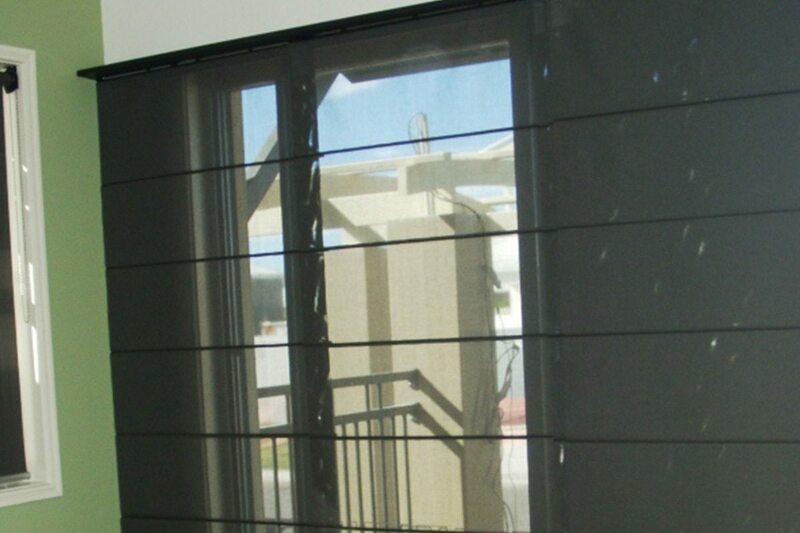 Aluminium shutters in a corner space on a balcony. 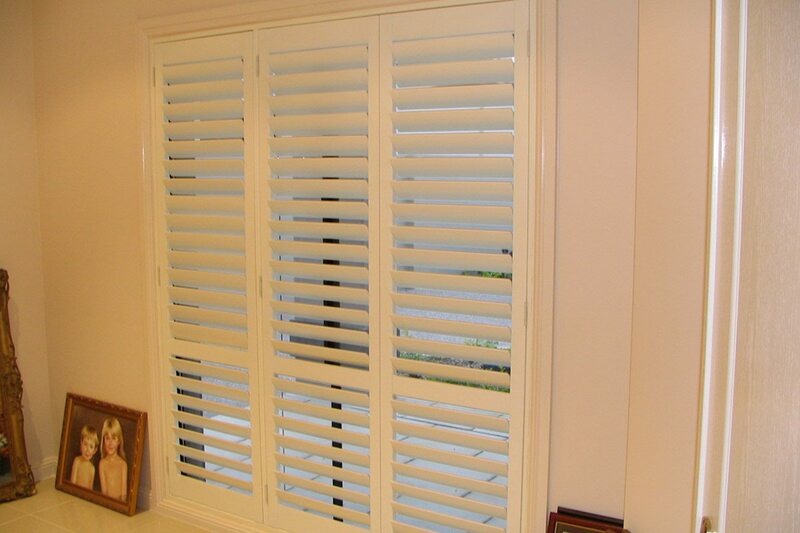 Window and full length Shutters. 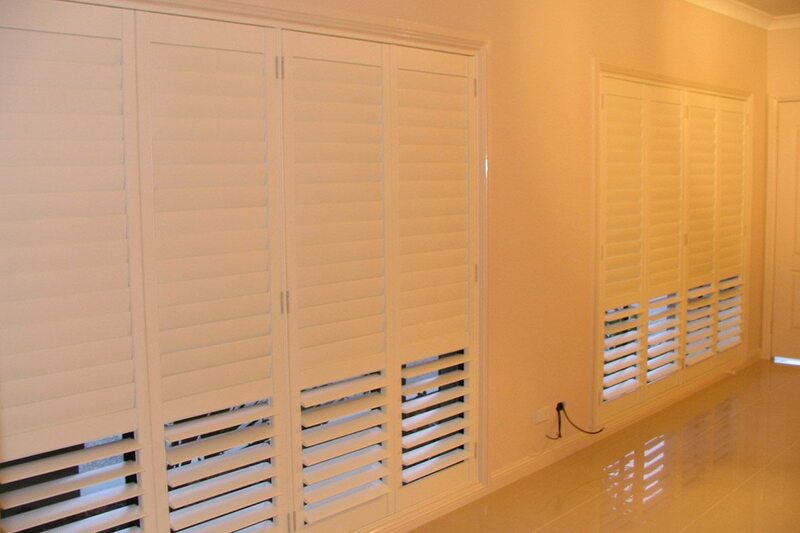 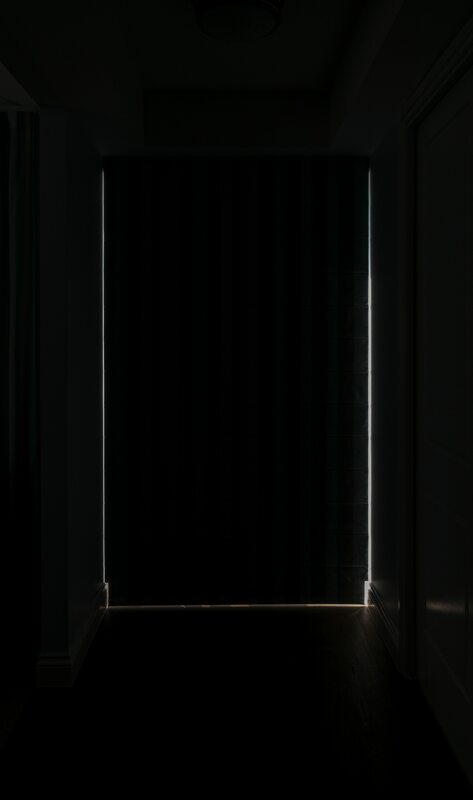 Shutters. 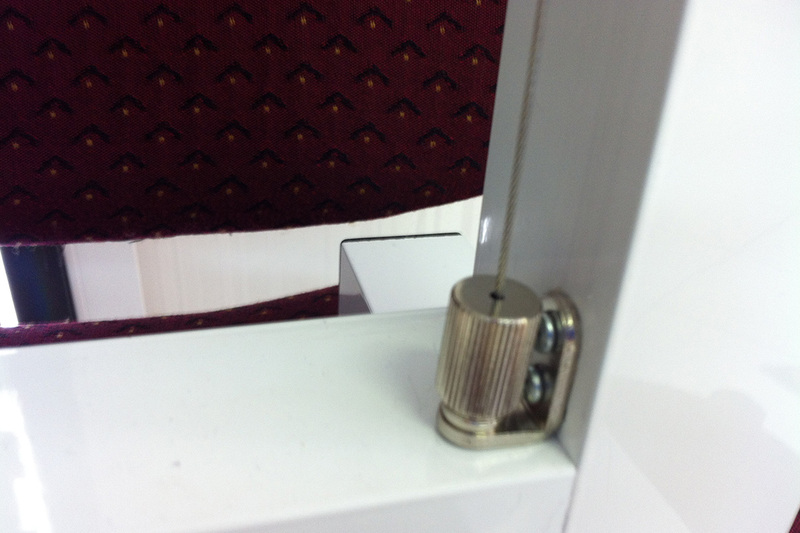 Left hinge, left and right. 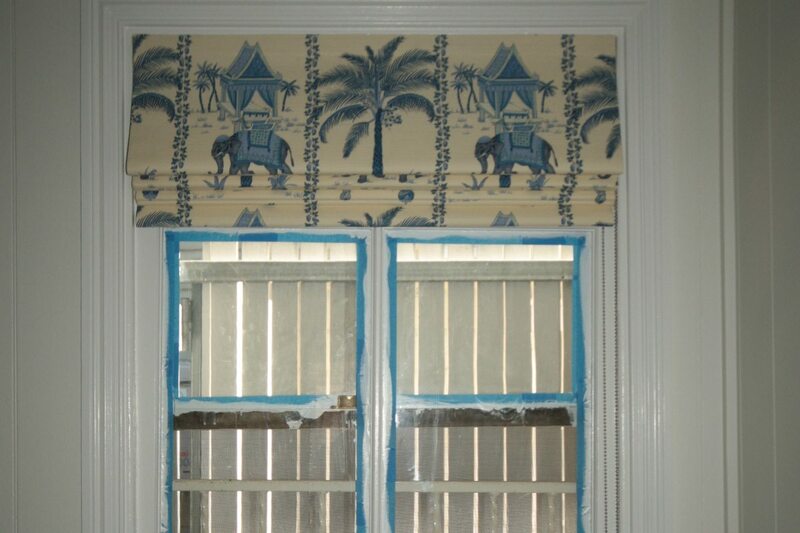 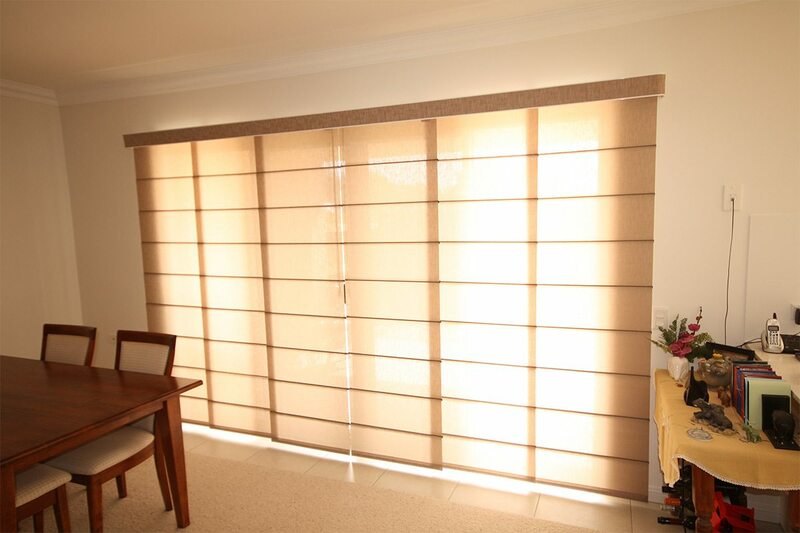 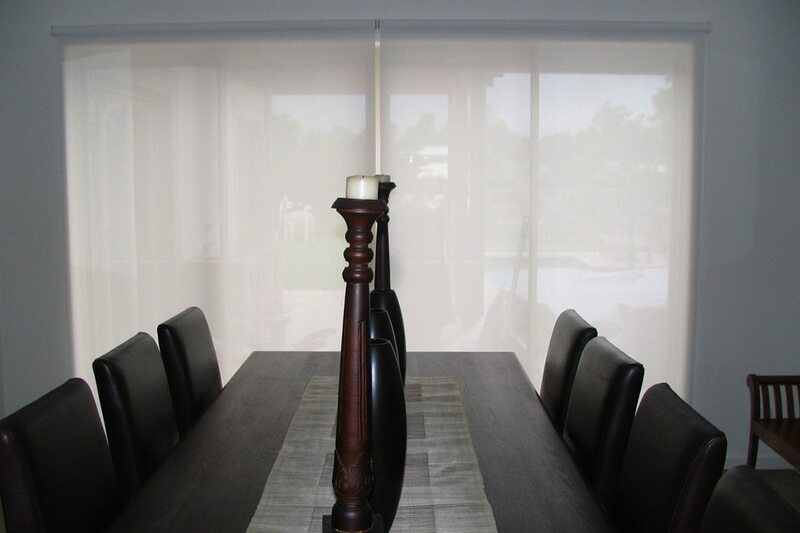 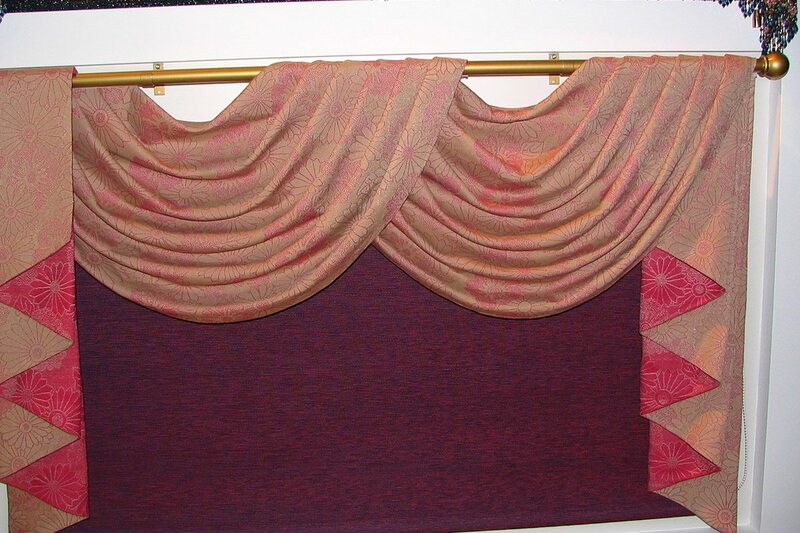 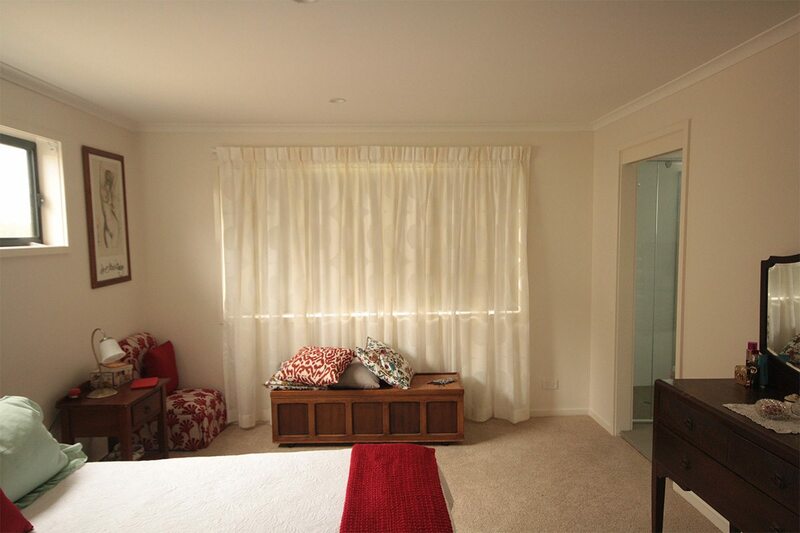 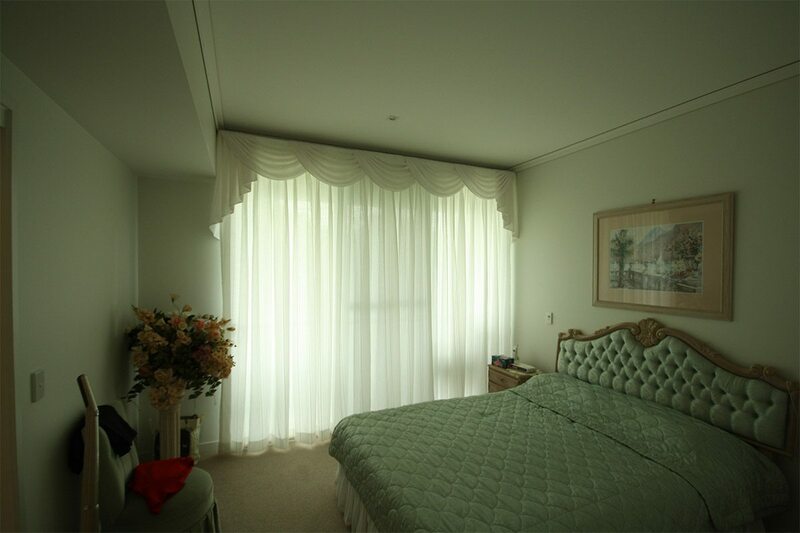 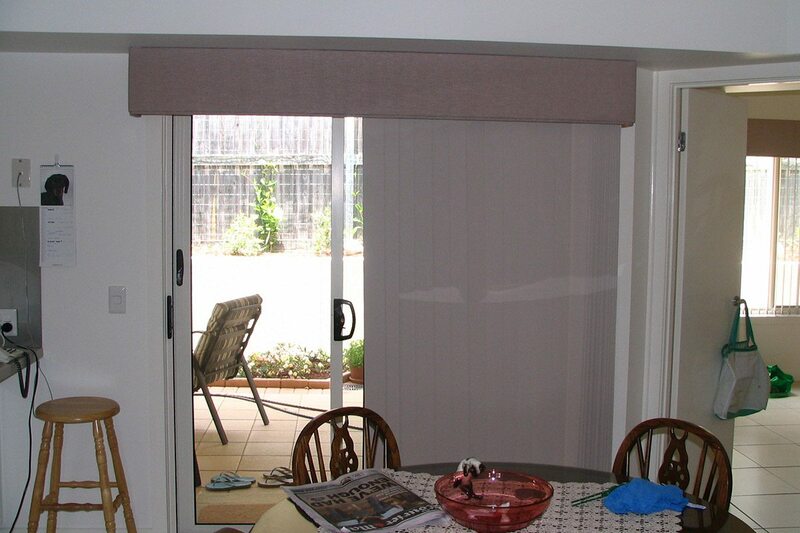 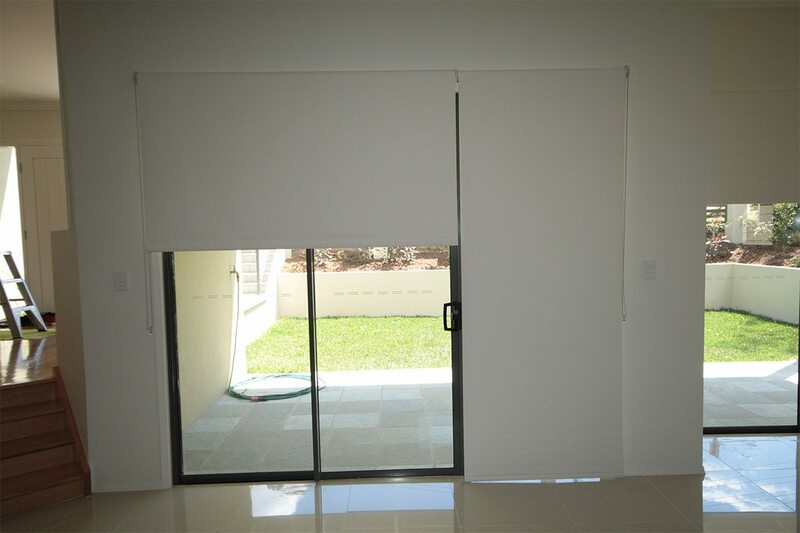 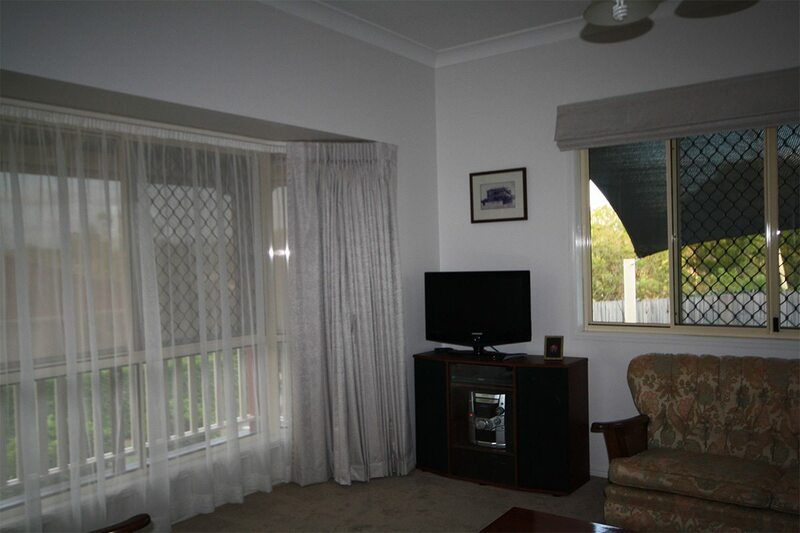 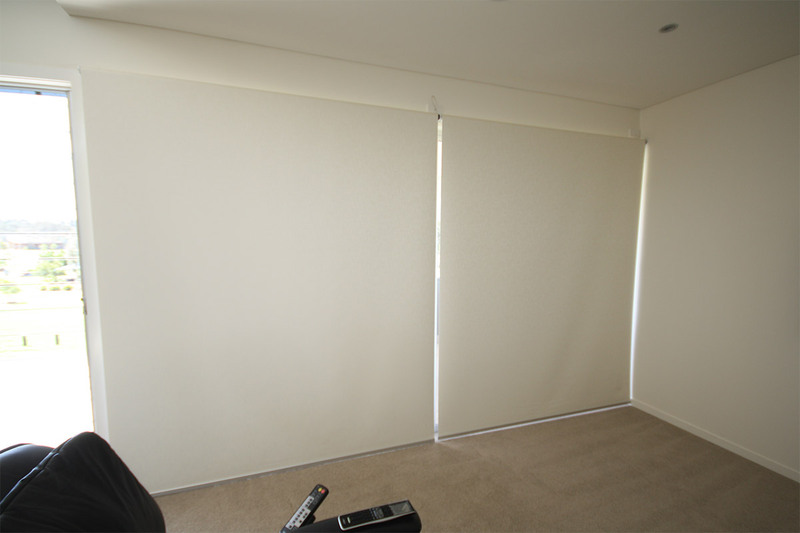 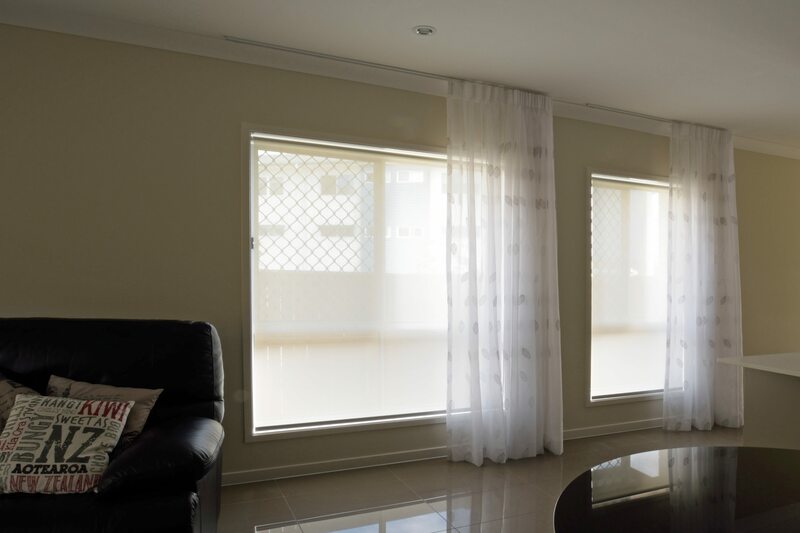 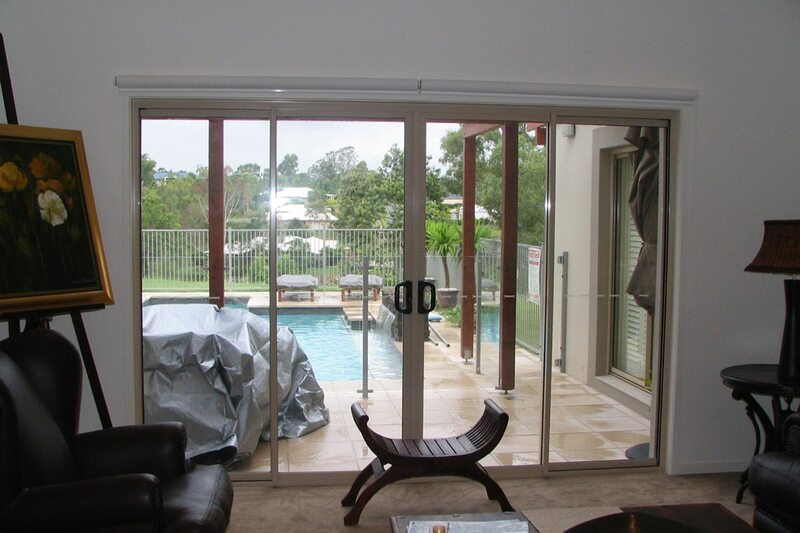 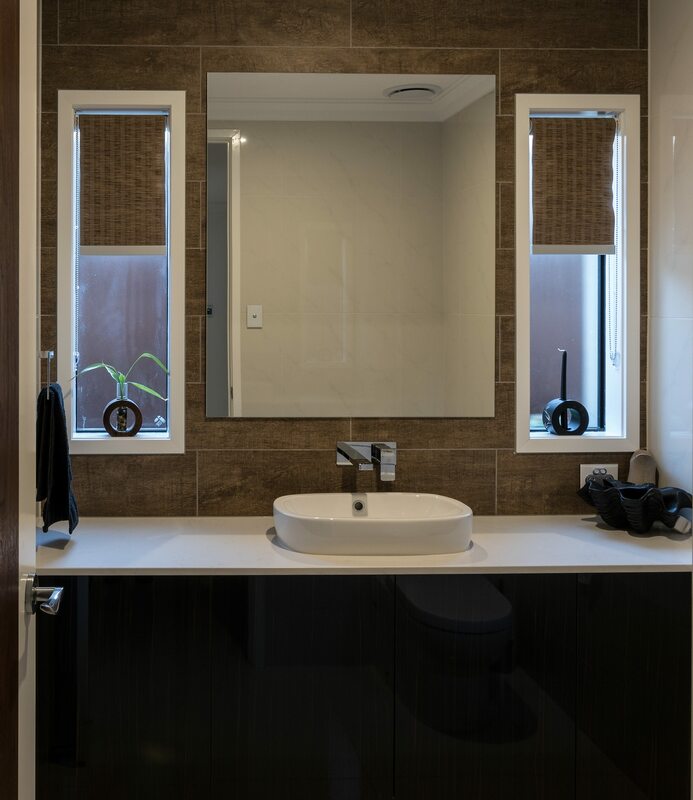 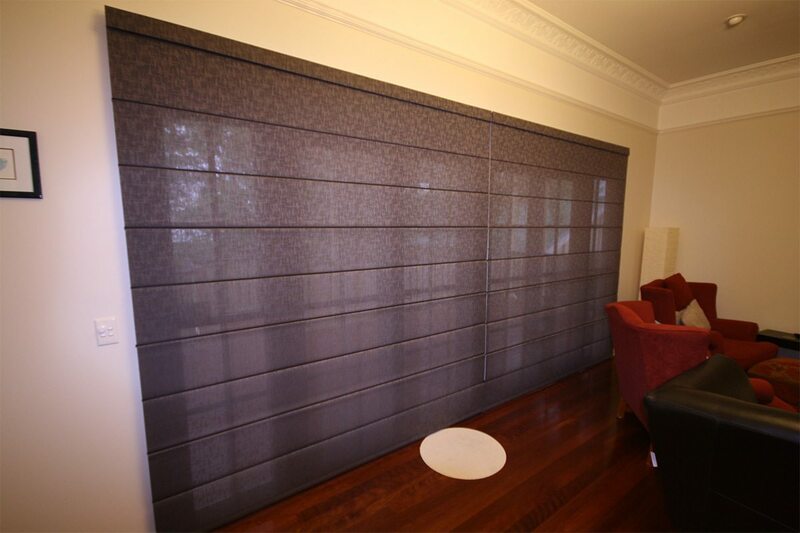 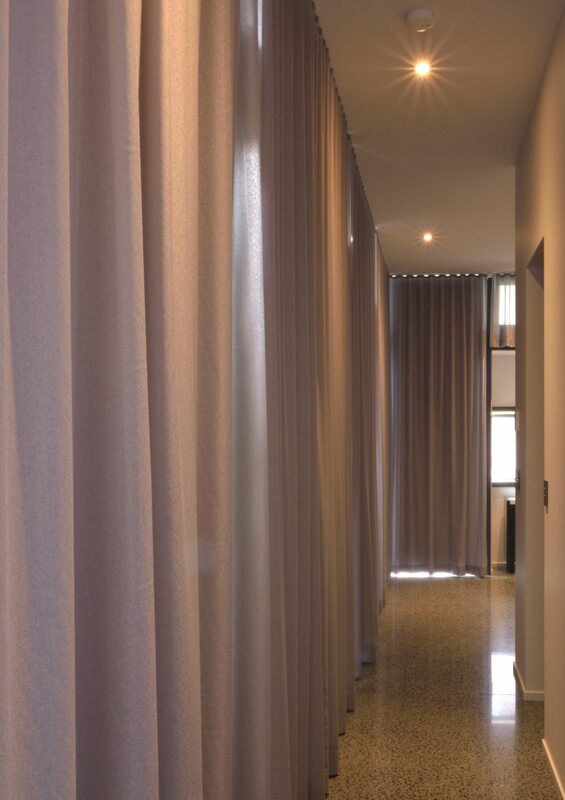 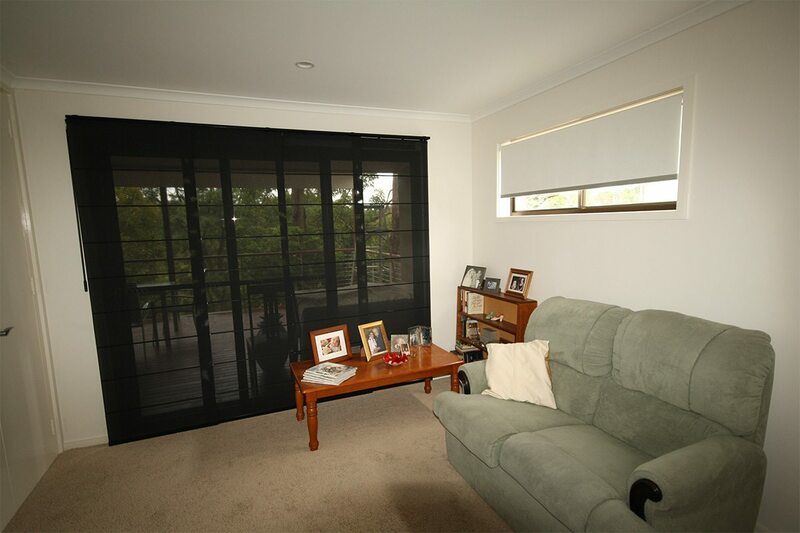 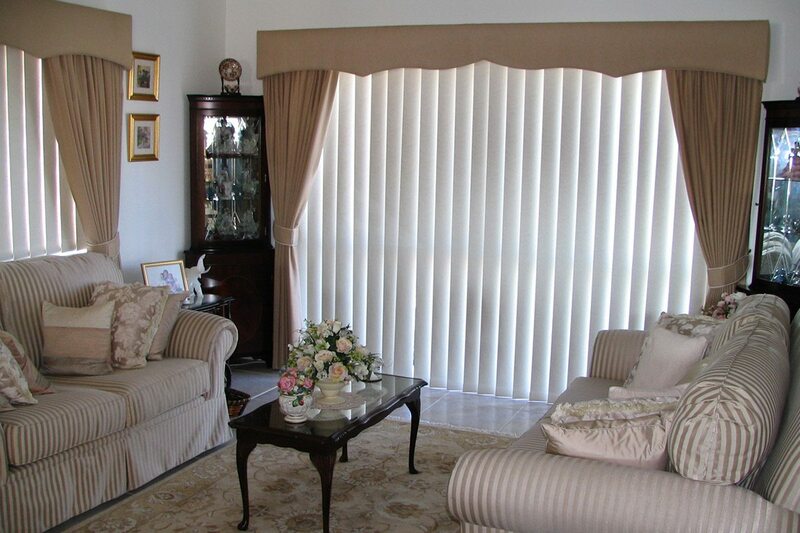 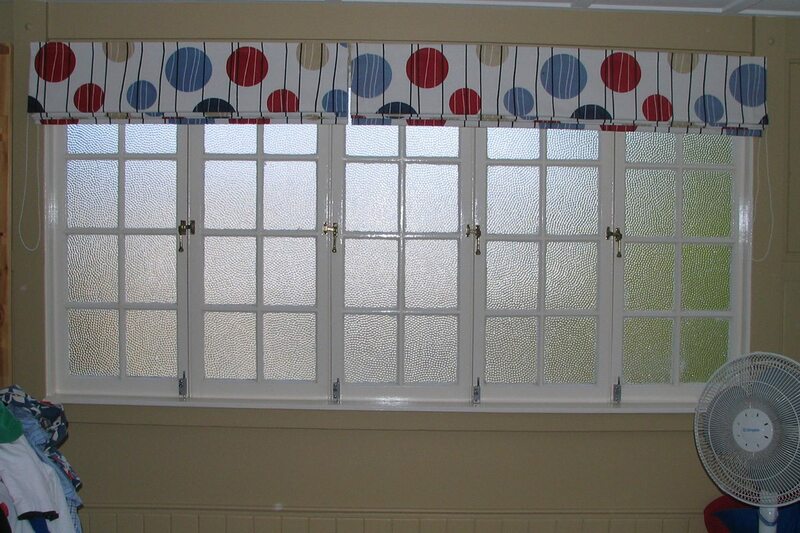 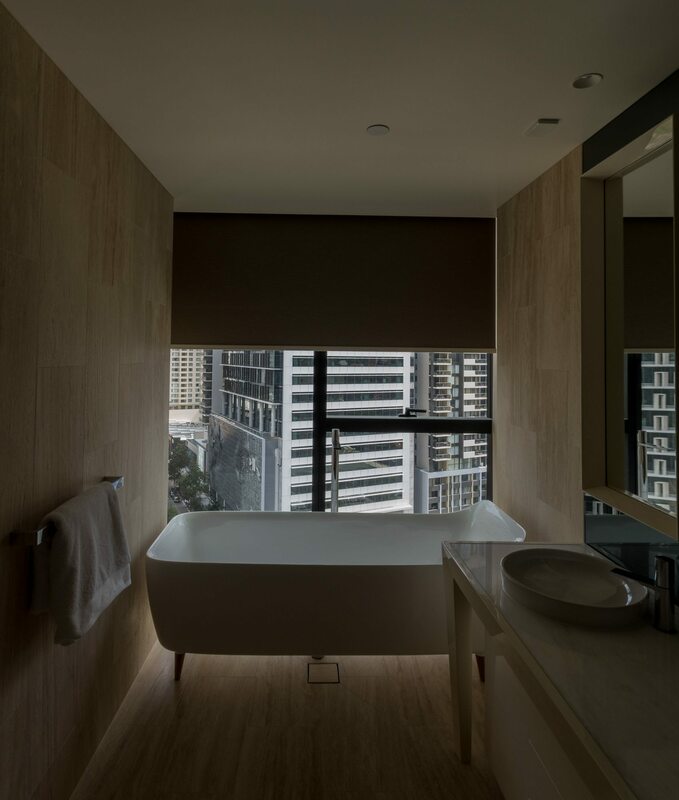 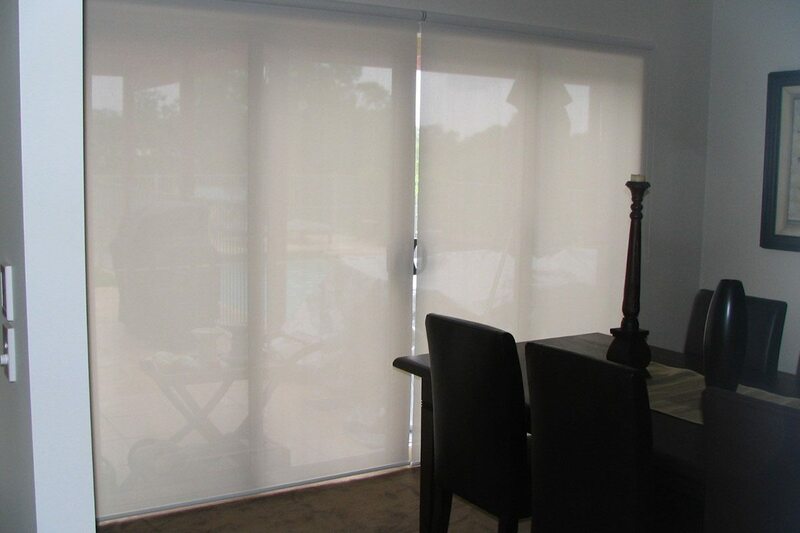 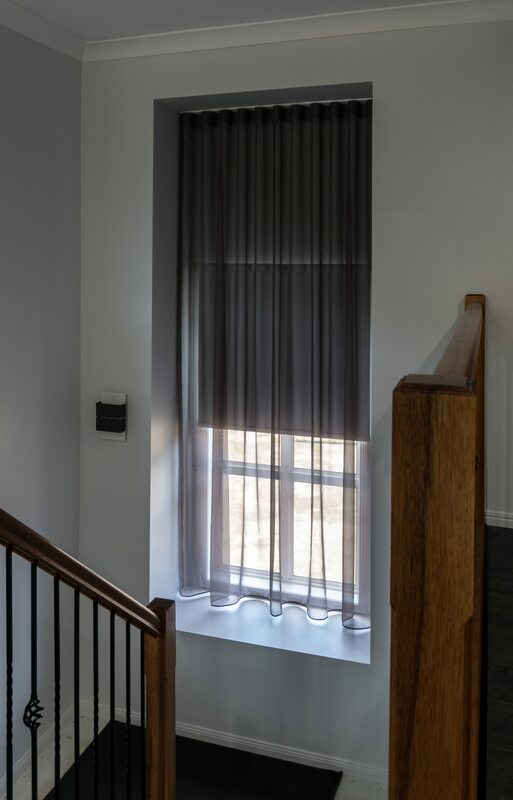 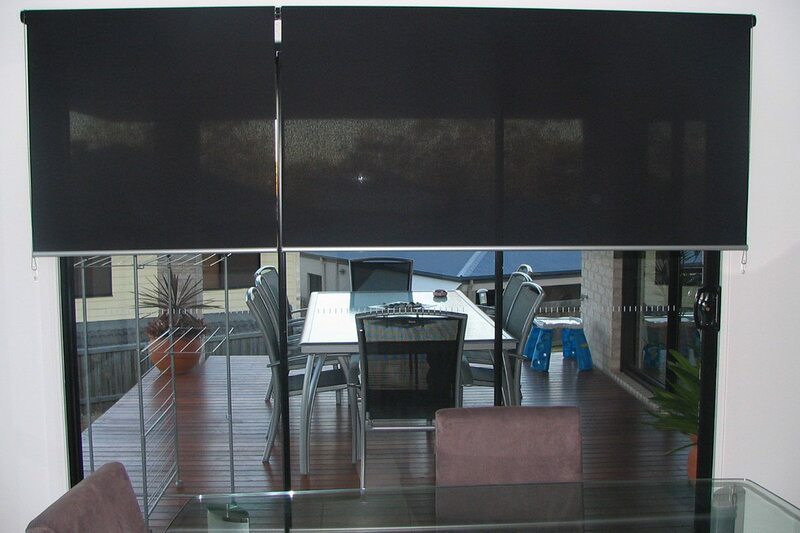 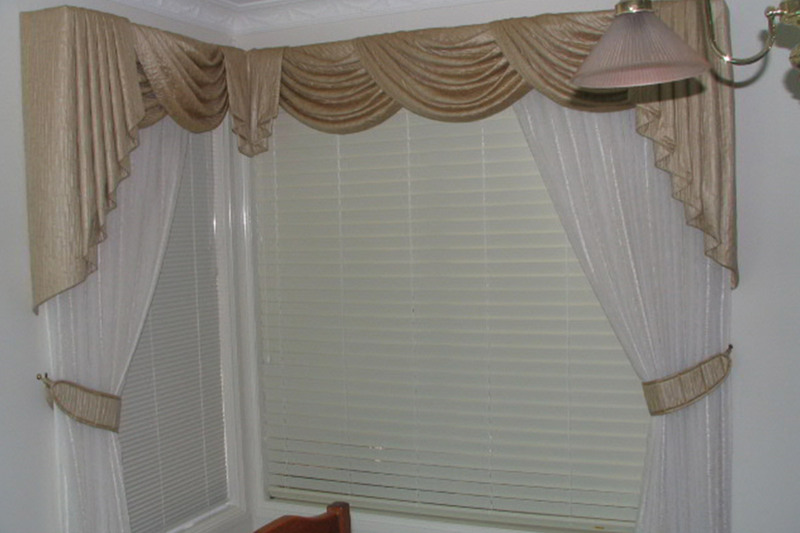 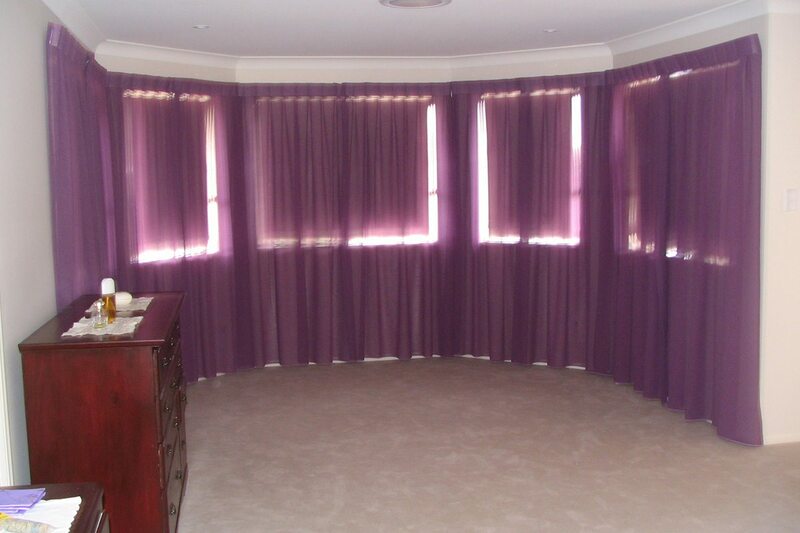 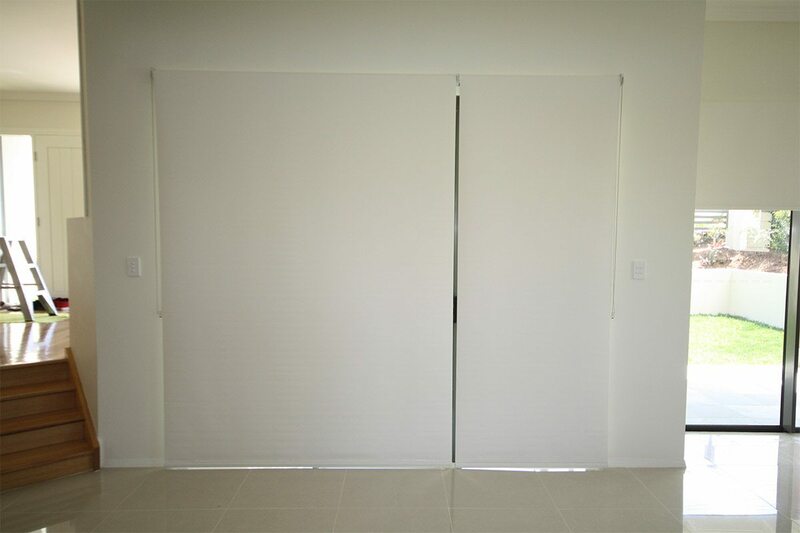 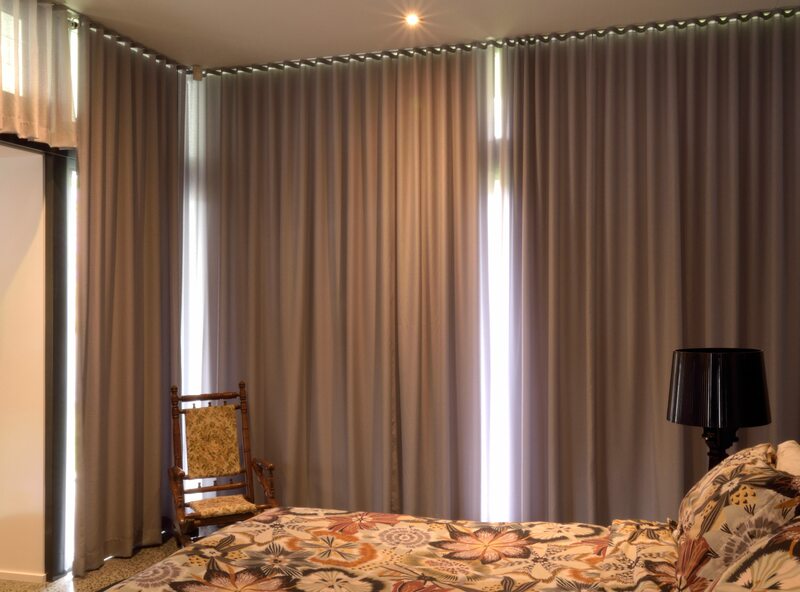 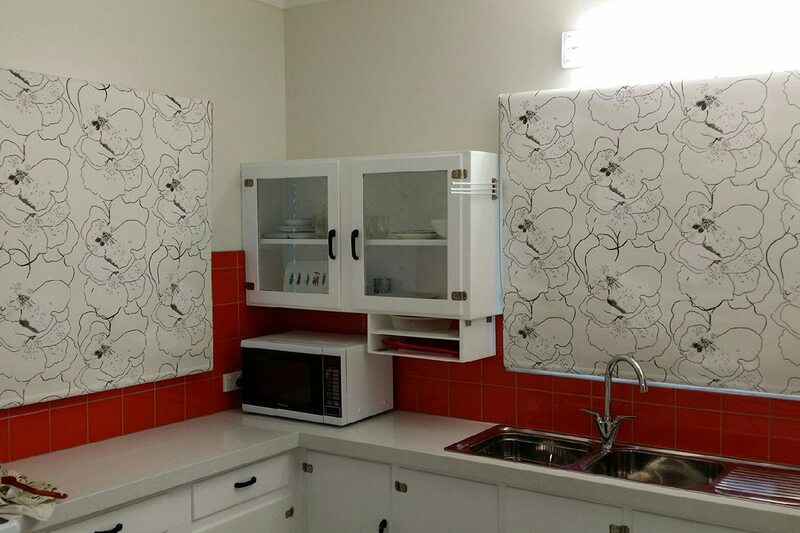 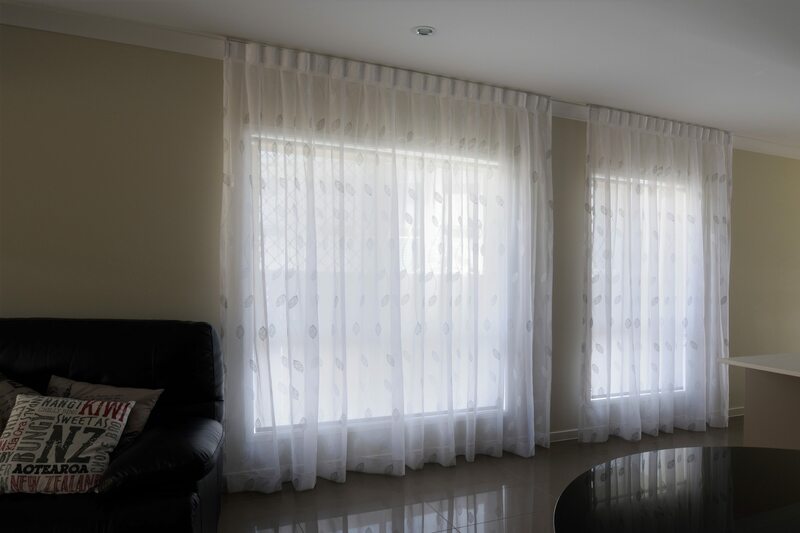 Sheer swags and tails with matching curtains over existing panel glides. 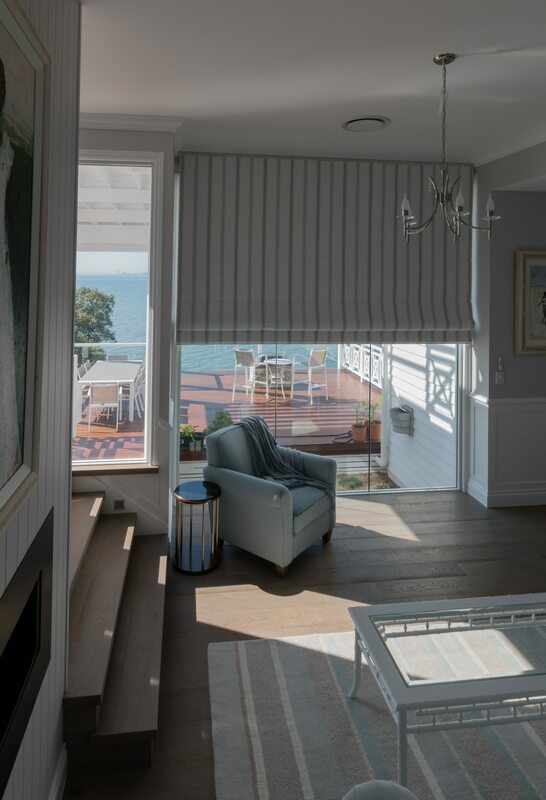 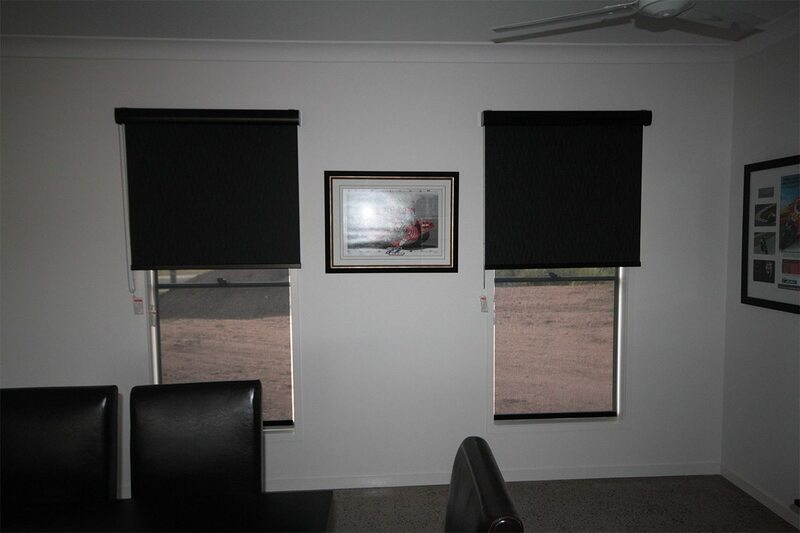 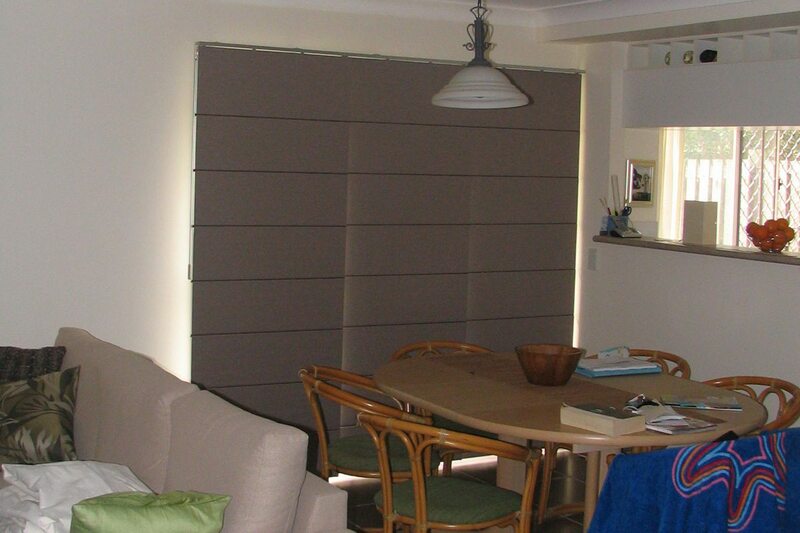 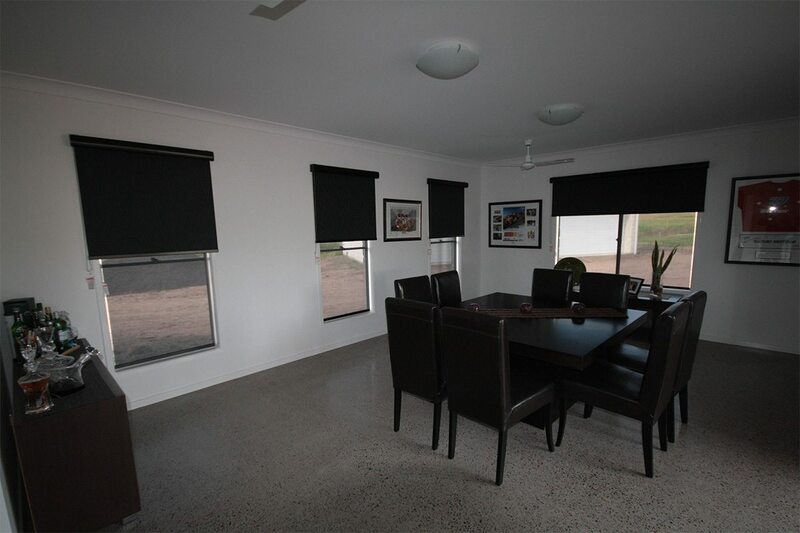 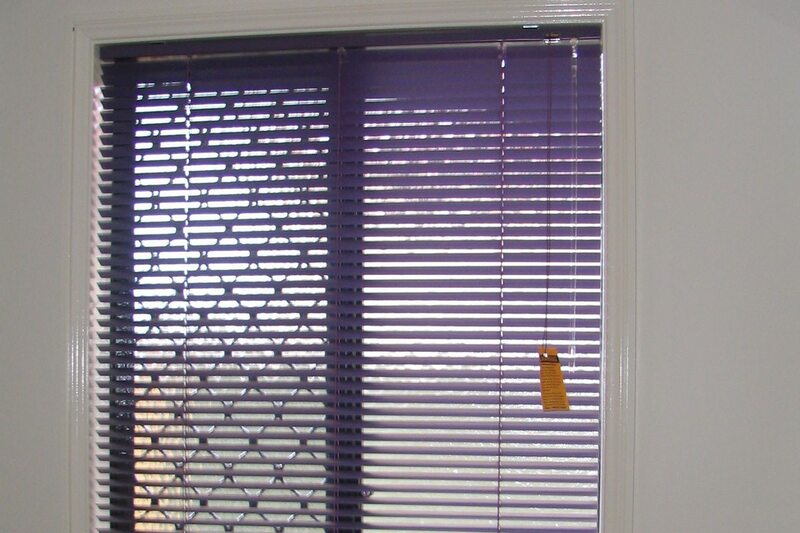 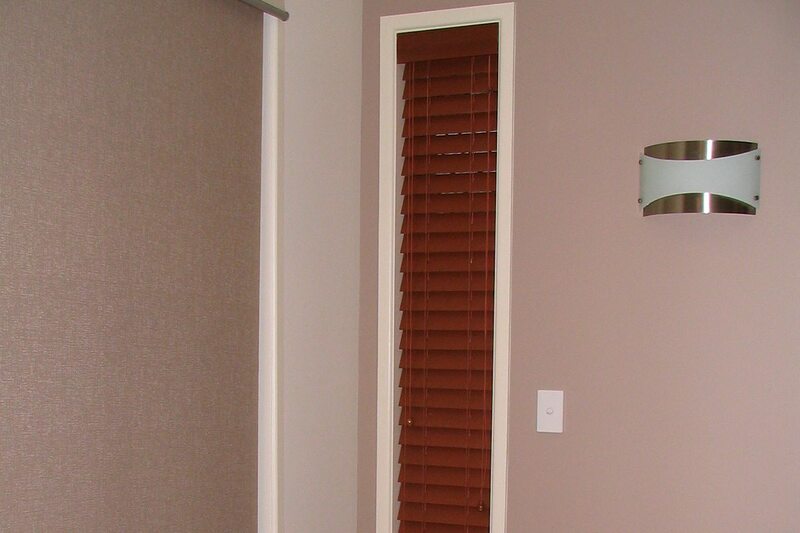 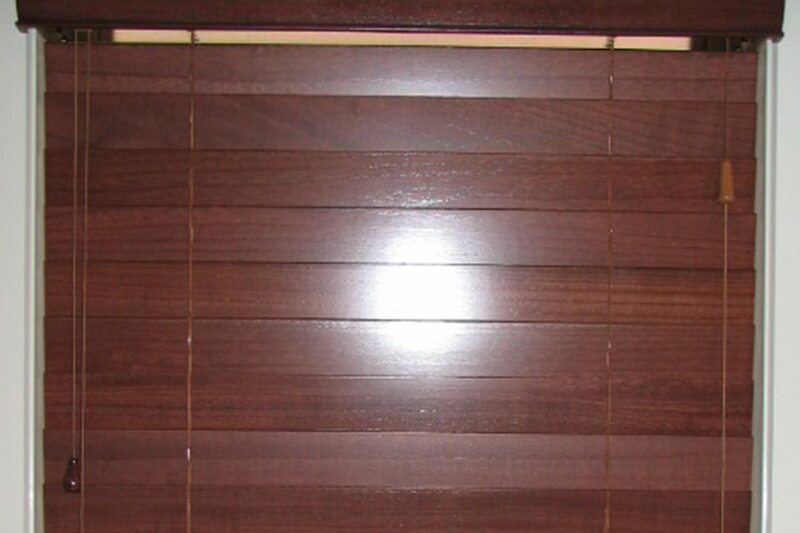 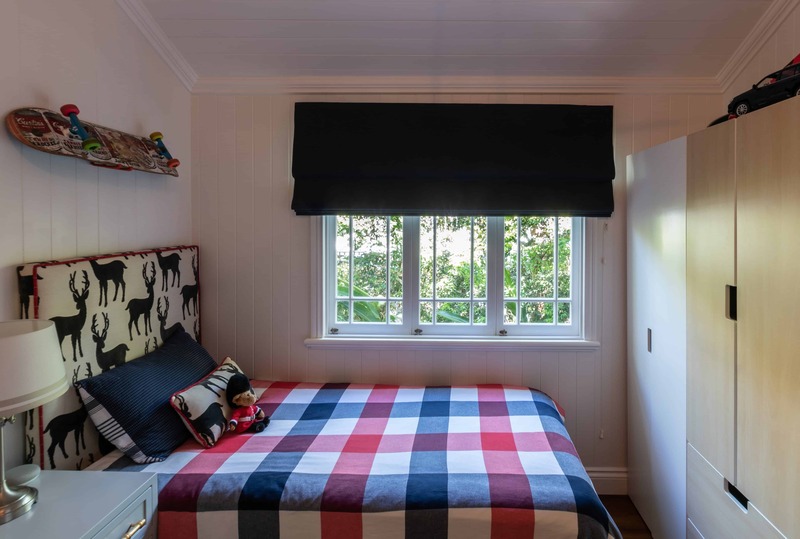 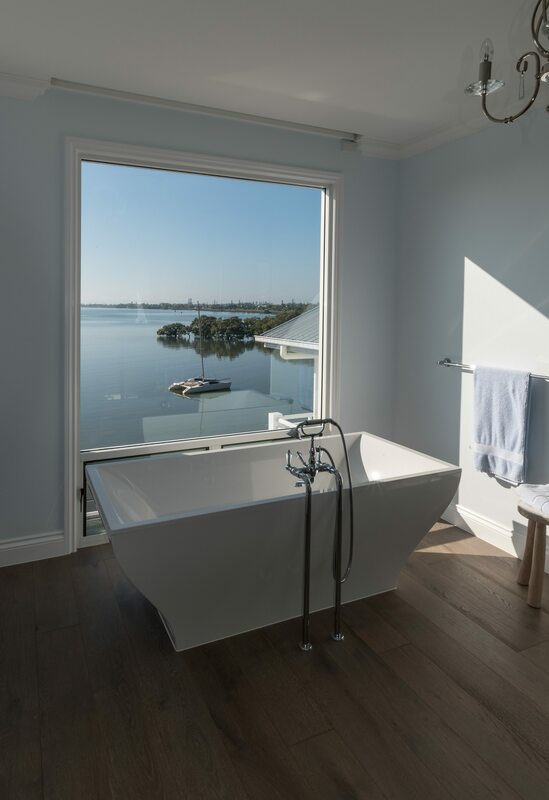 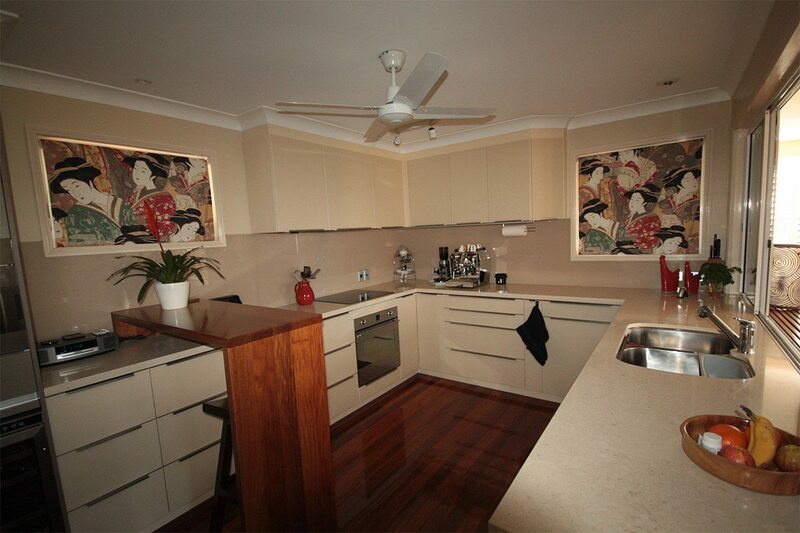 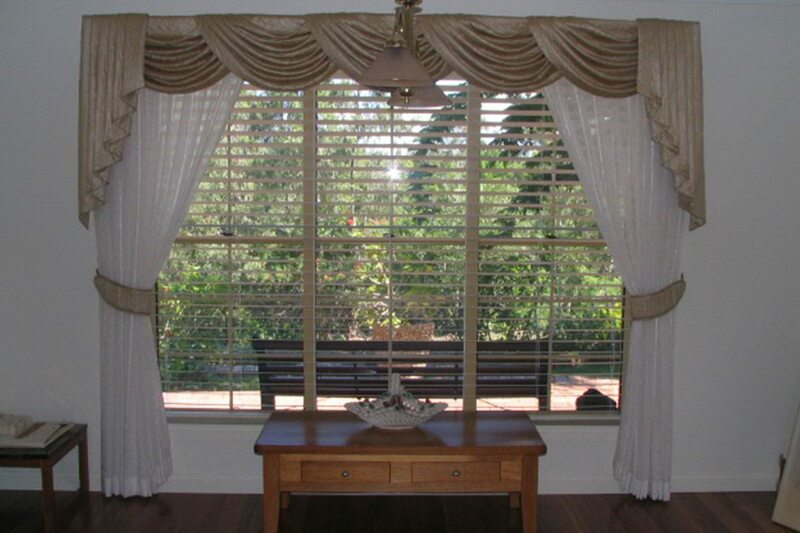 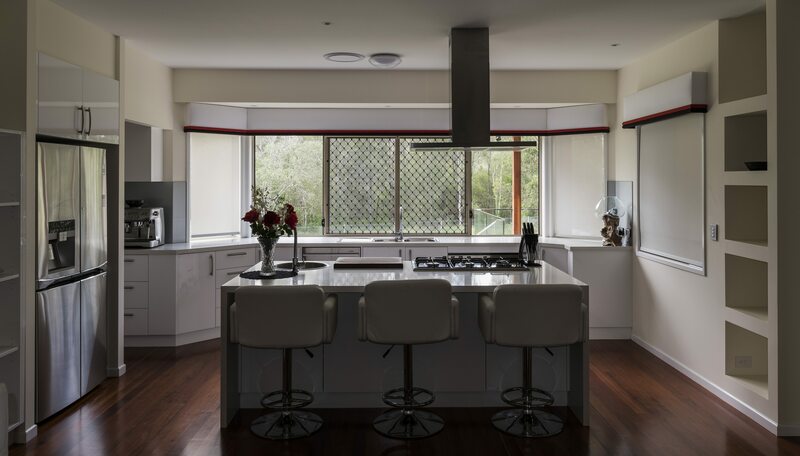 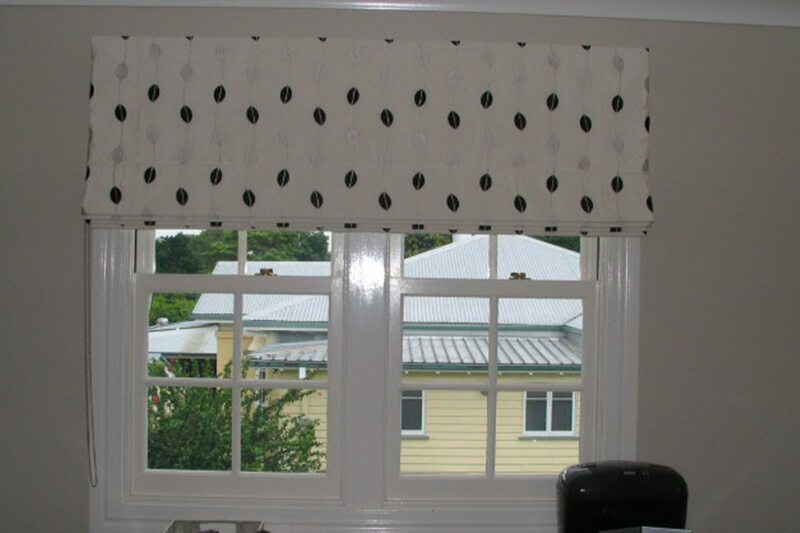 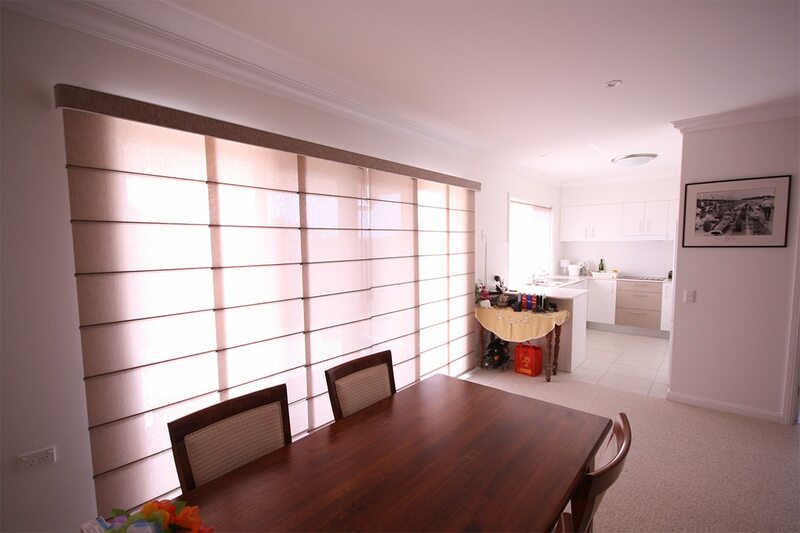 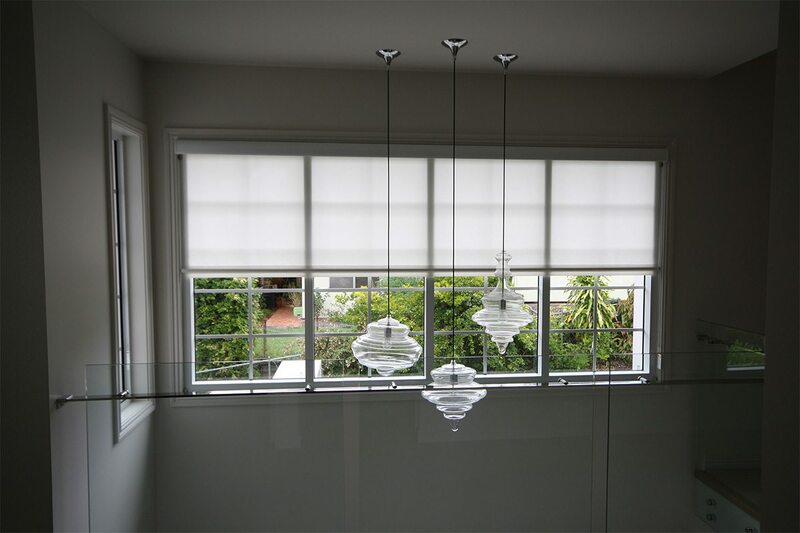 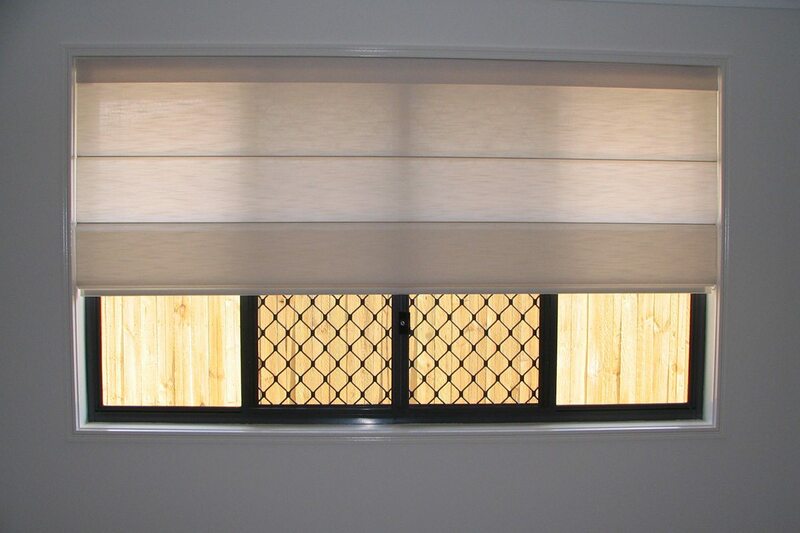 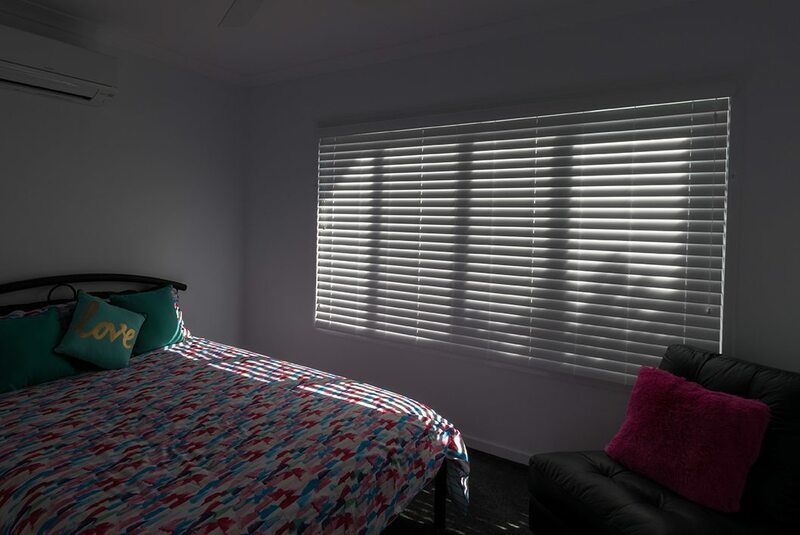 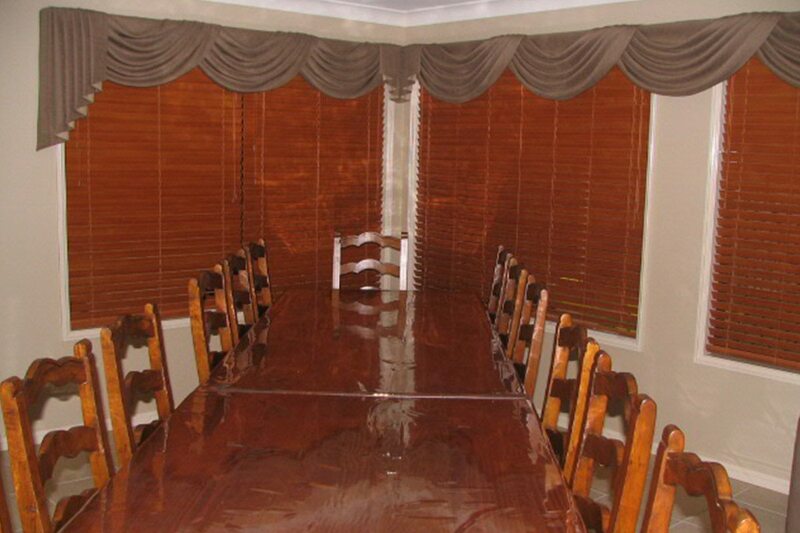 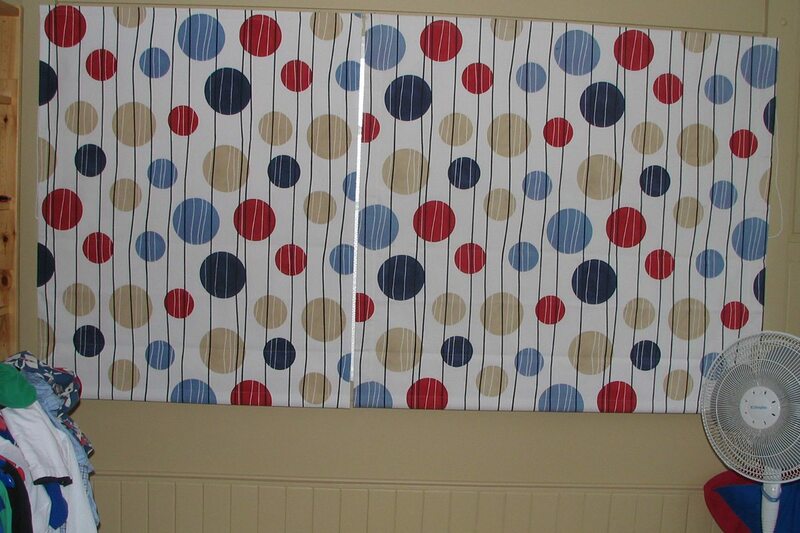 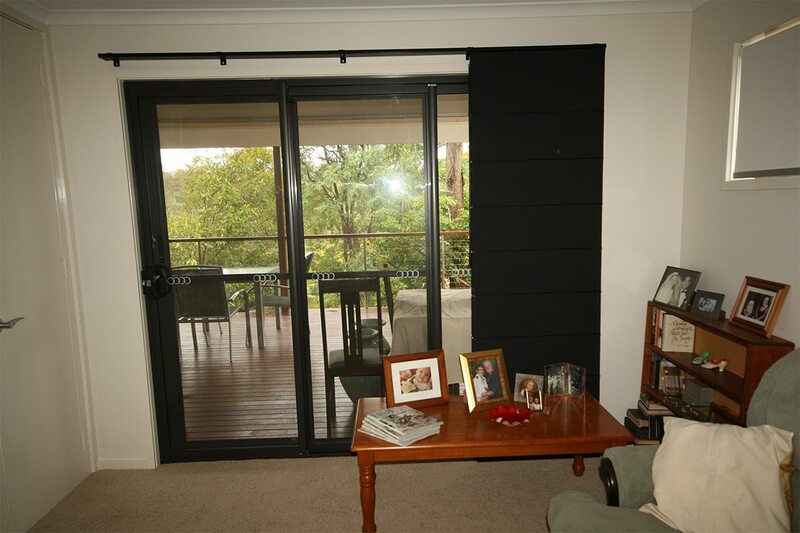 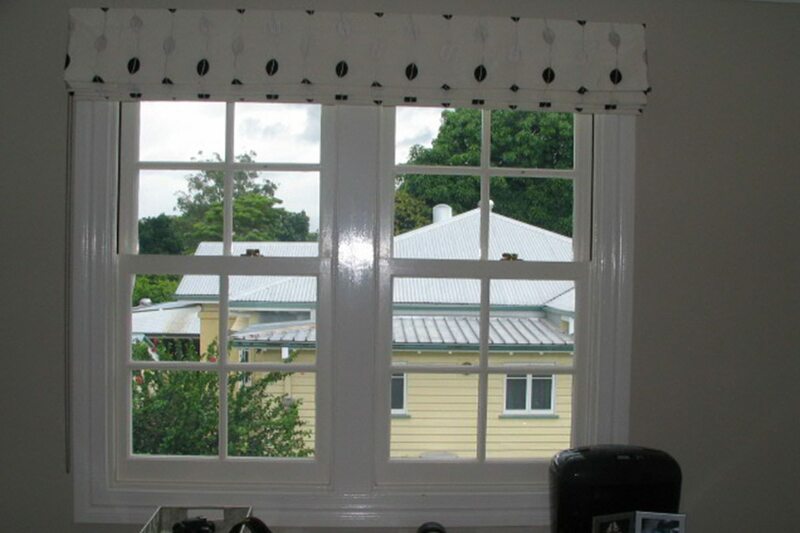 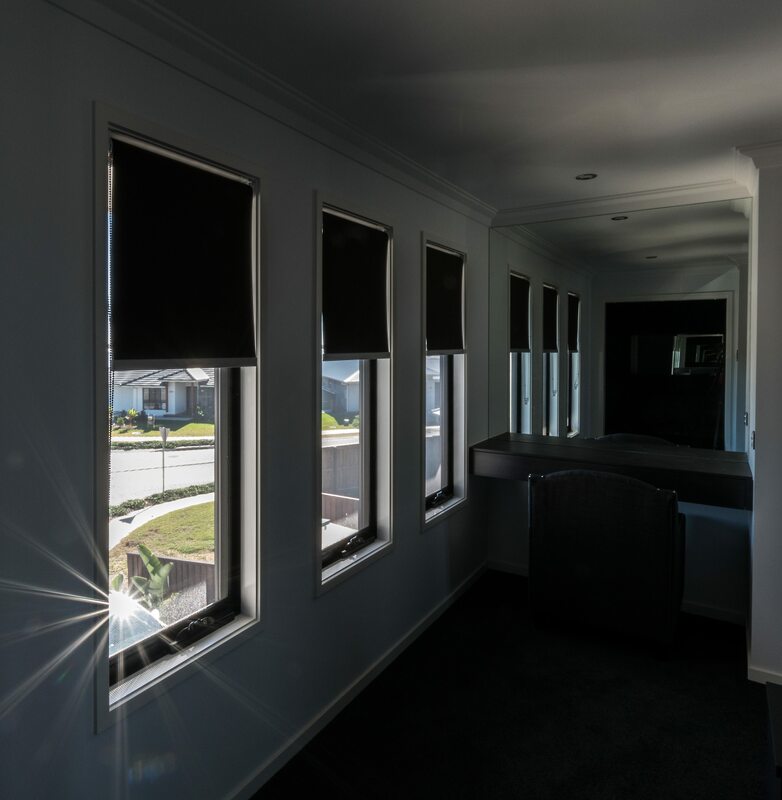 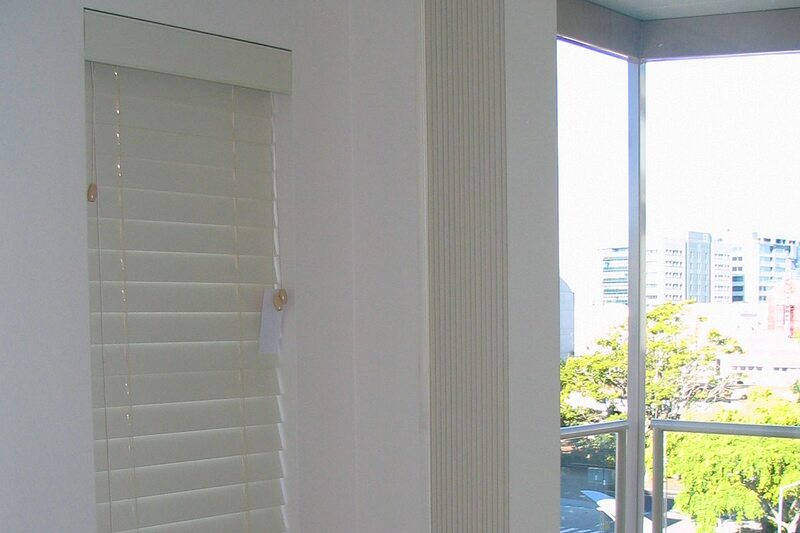 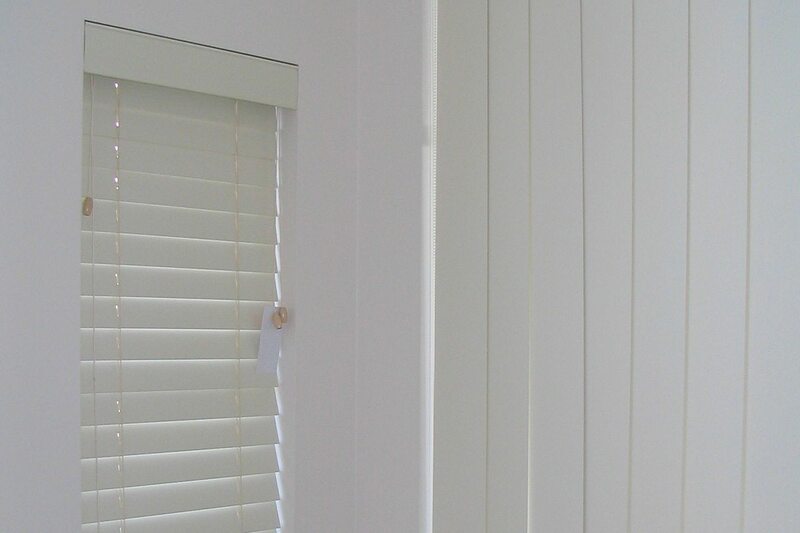 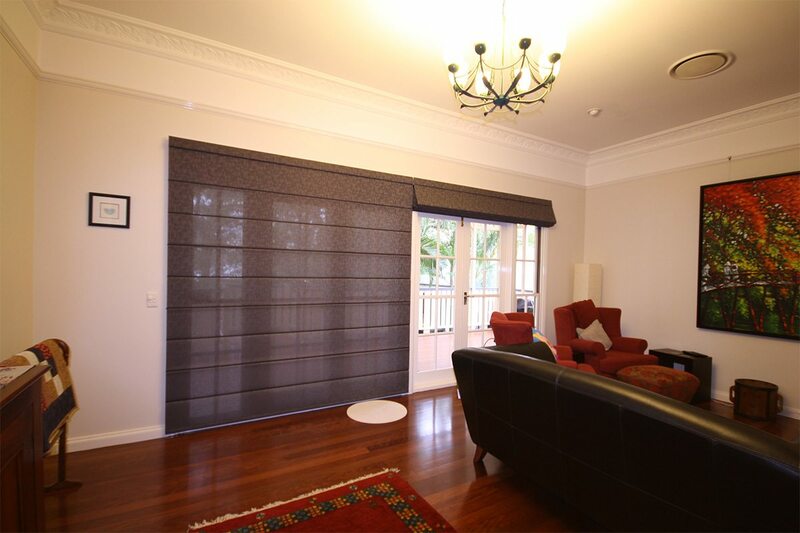 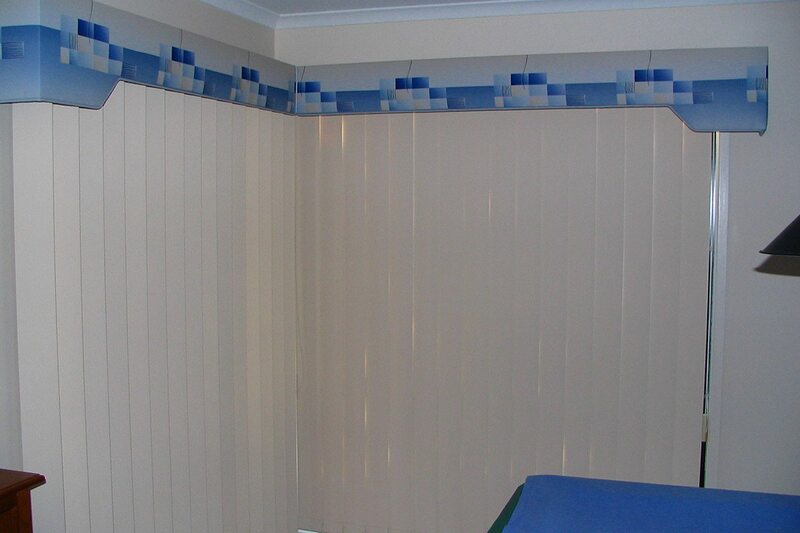 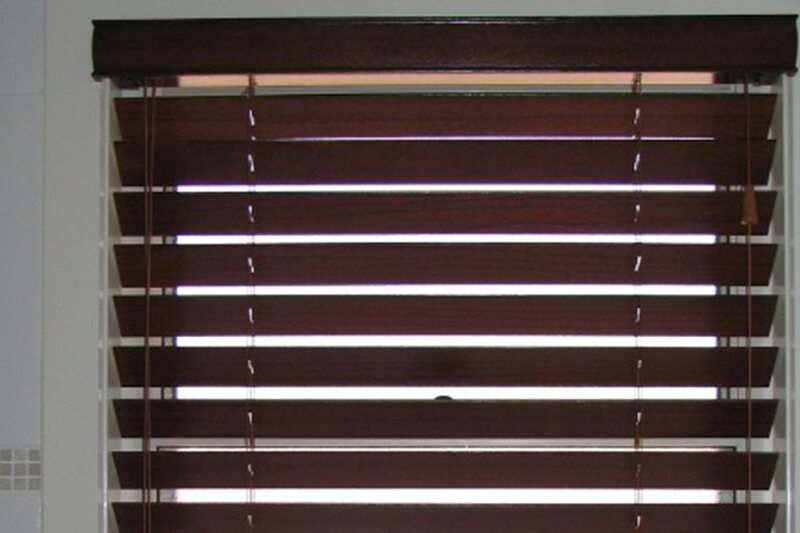 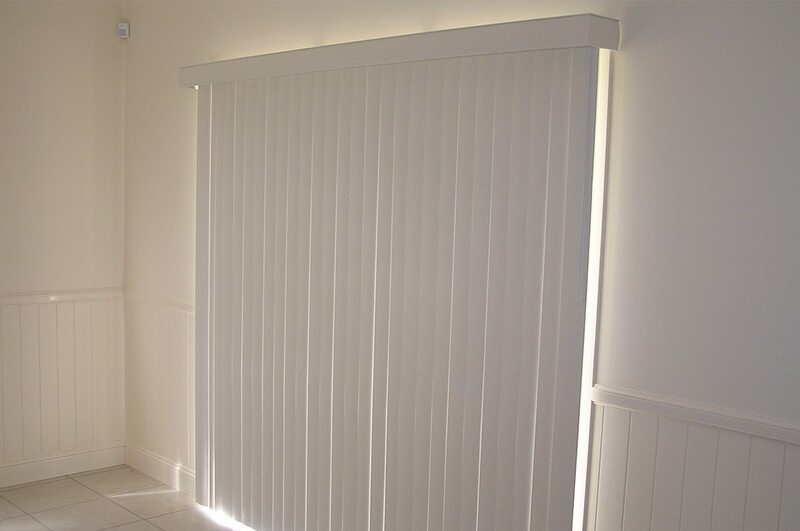 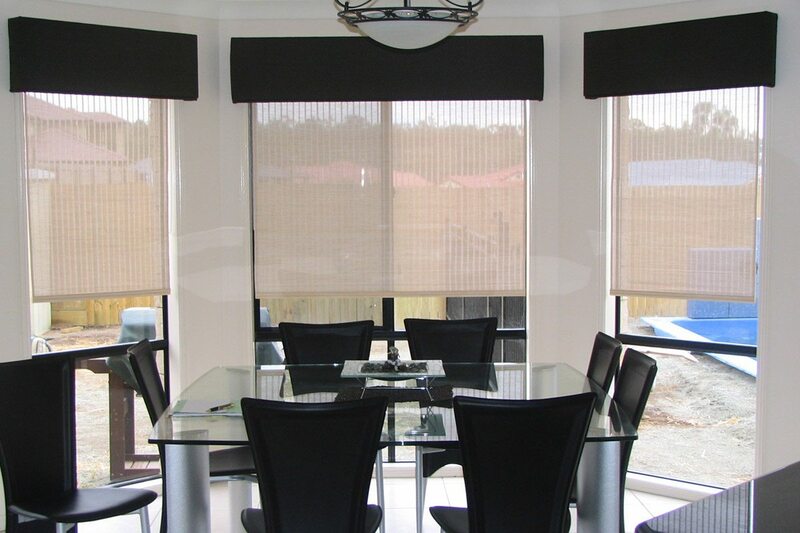 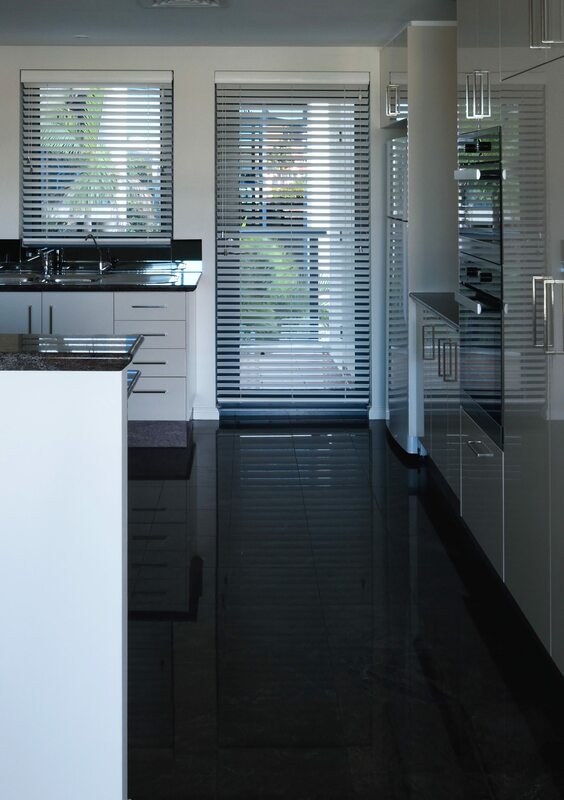 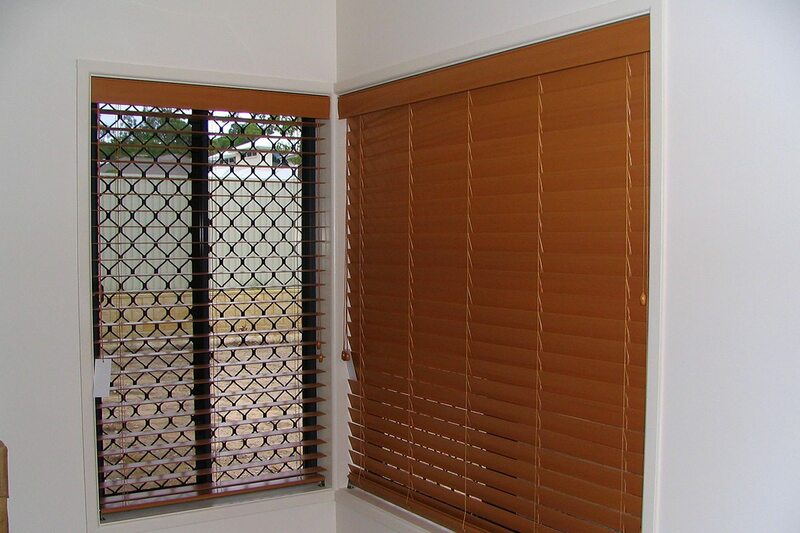 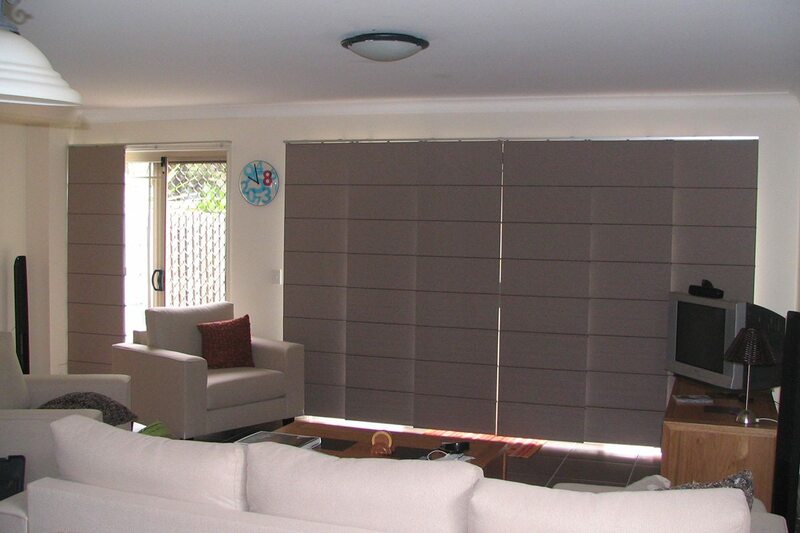 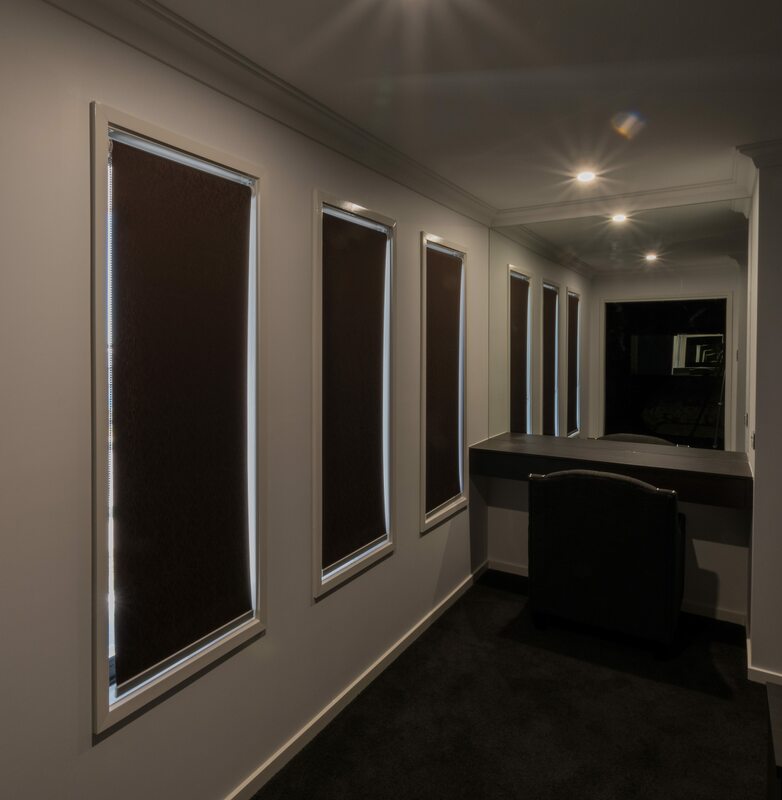 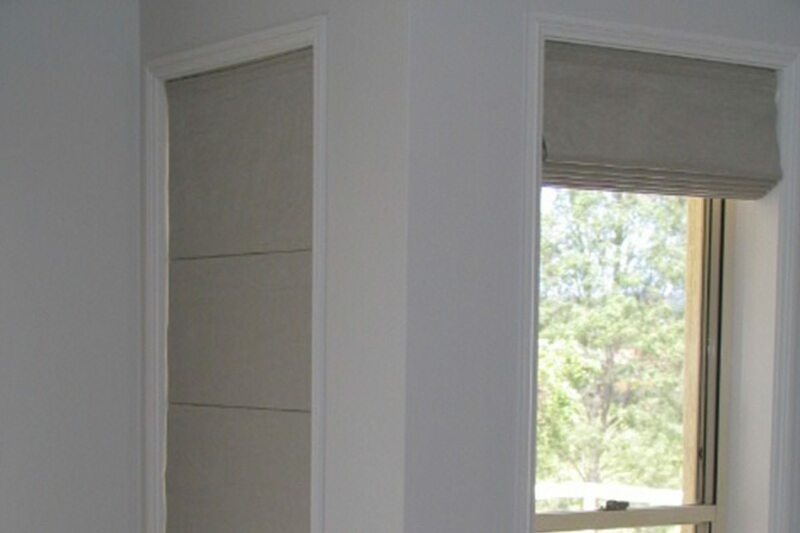 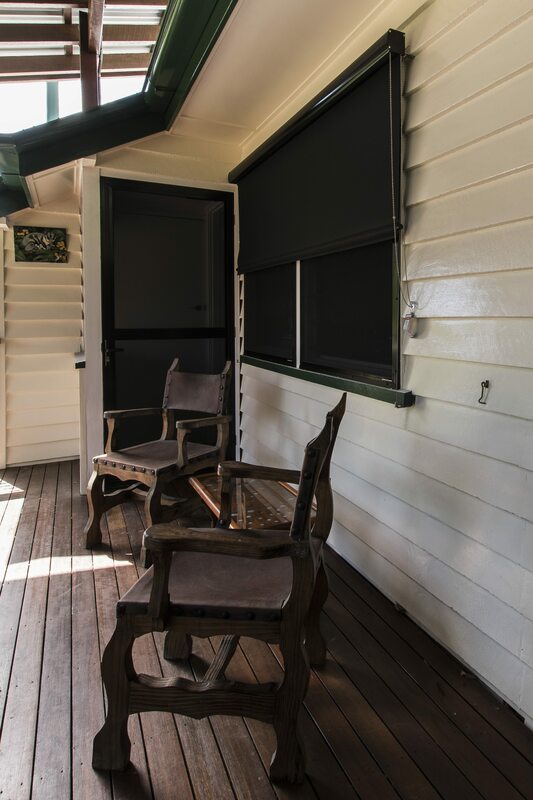 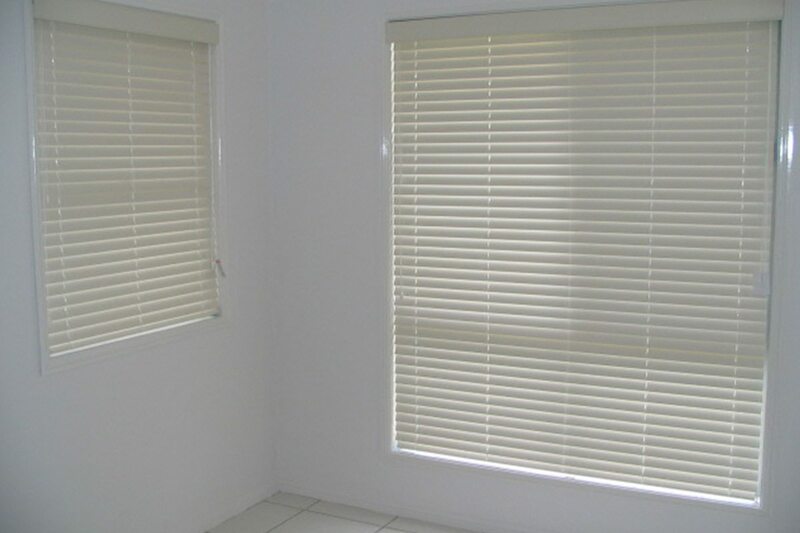 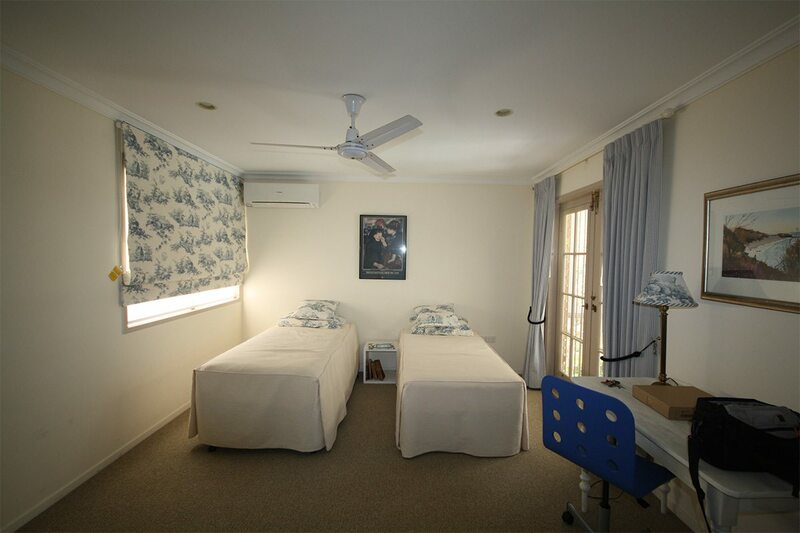 Swags and tails over timber blinds. 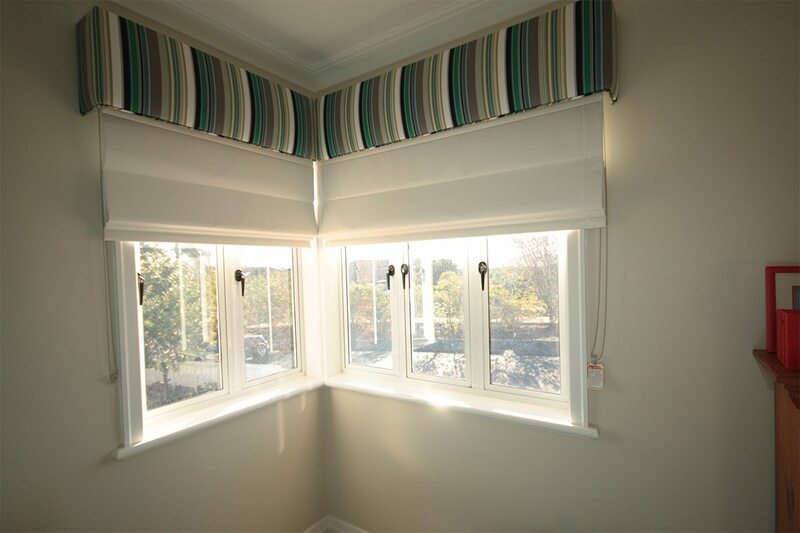 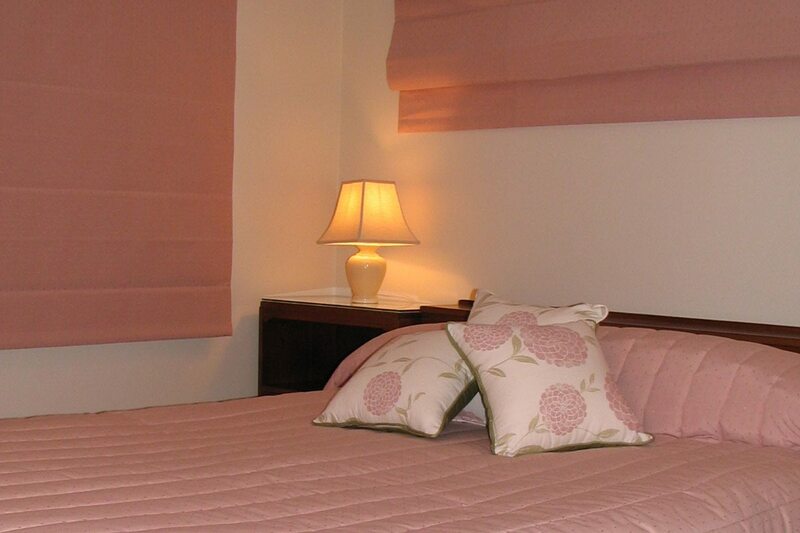 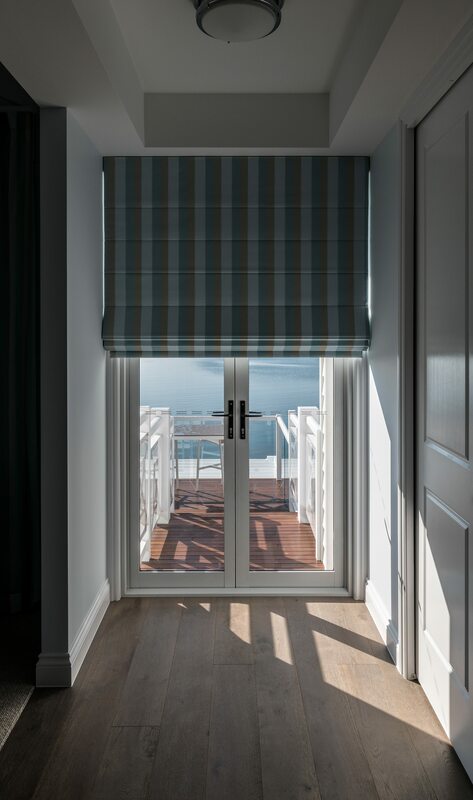 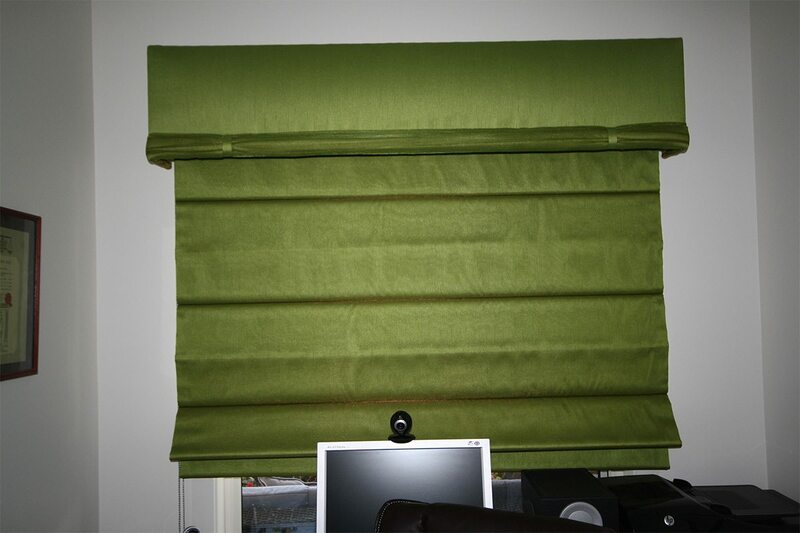 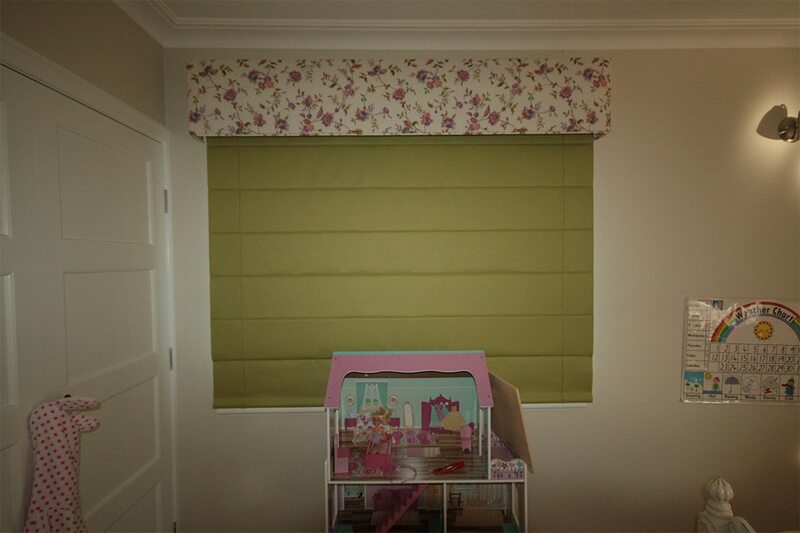 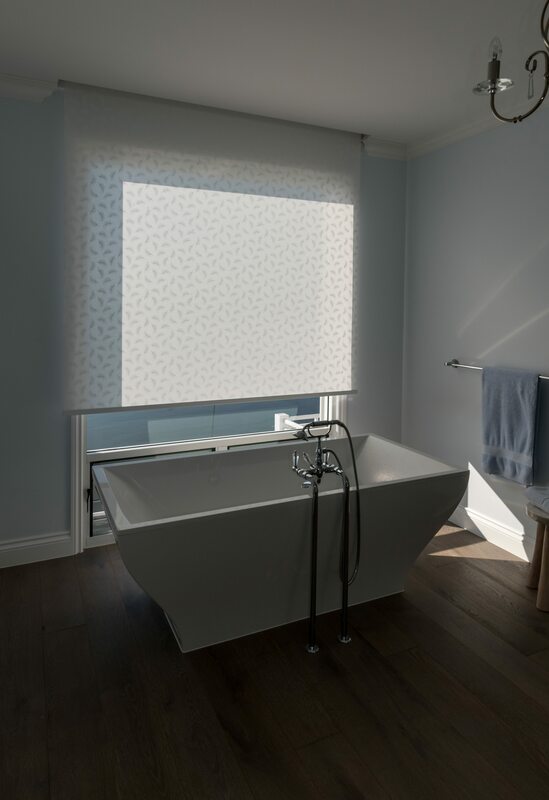 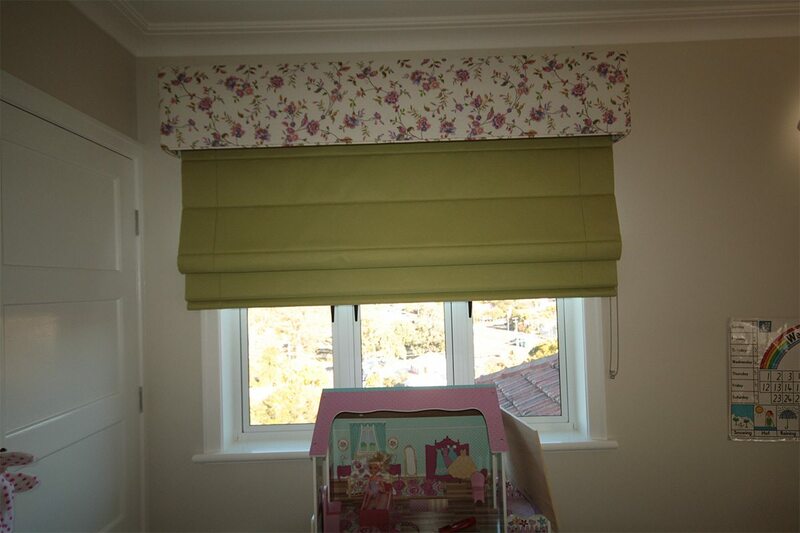 Roman blind with romaline installed in the reveal with a chain drive track. 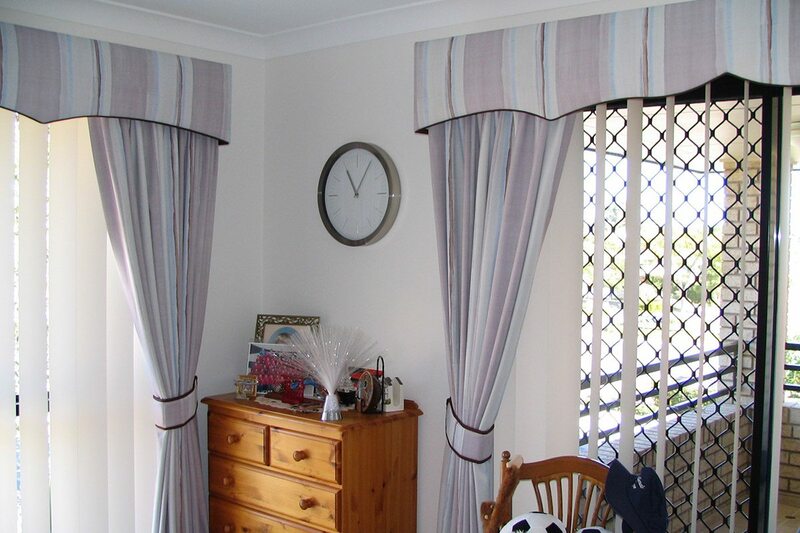 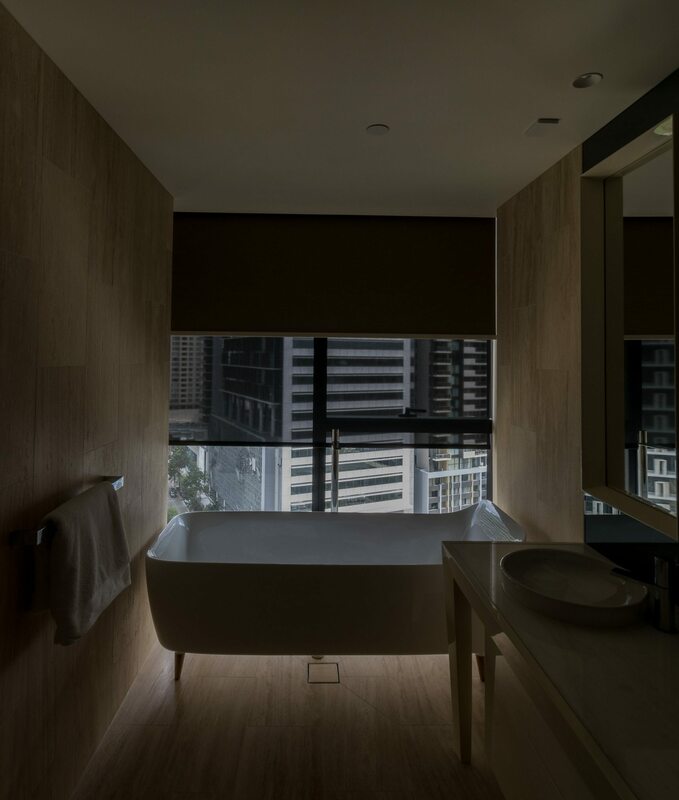 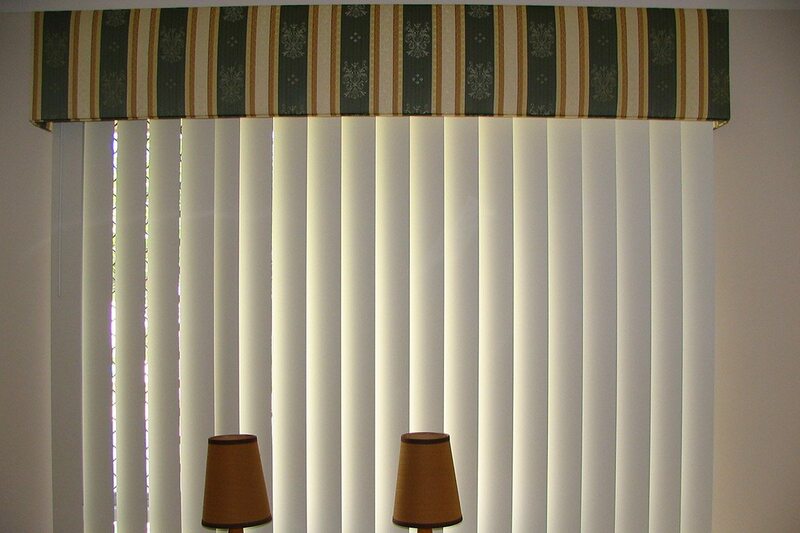 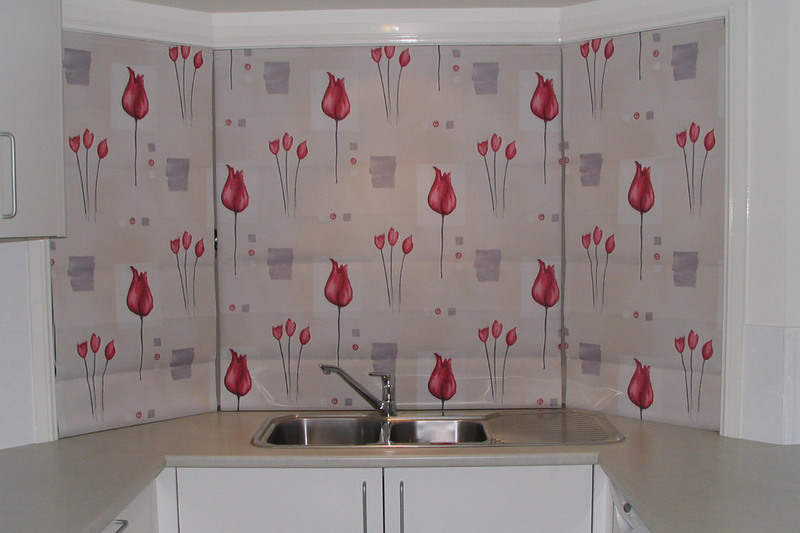 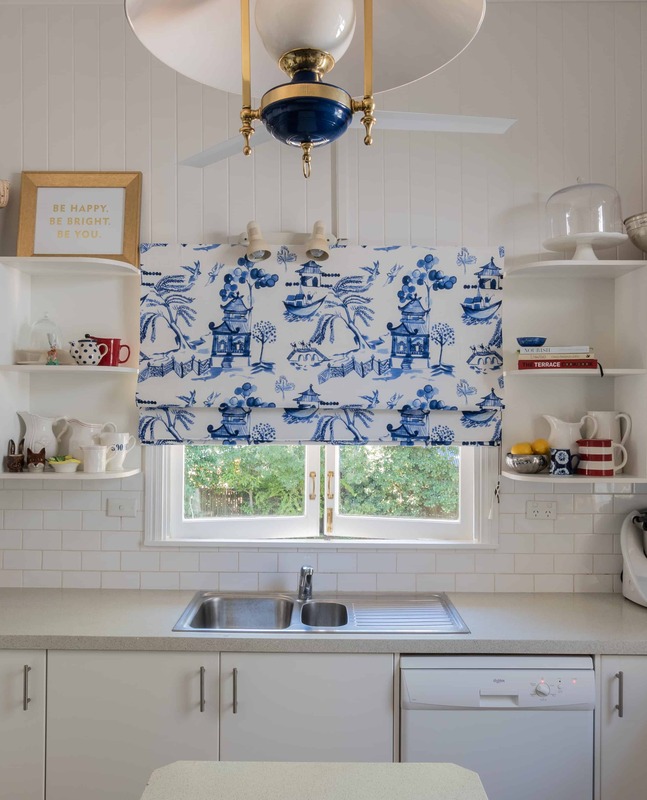 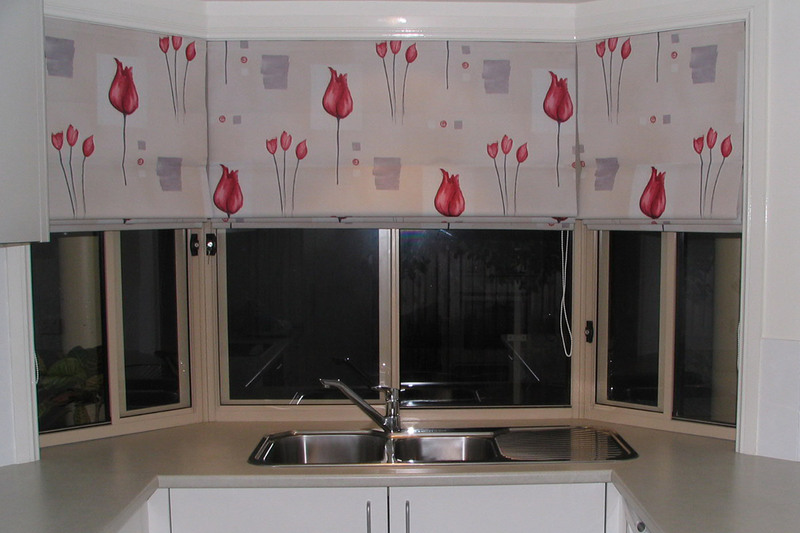 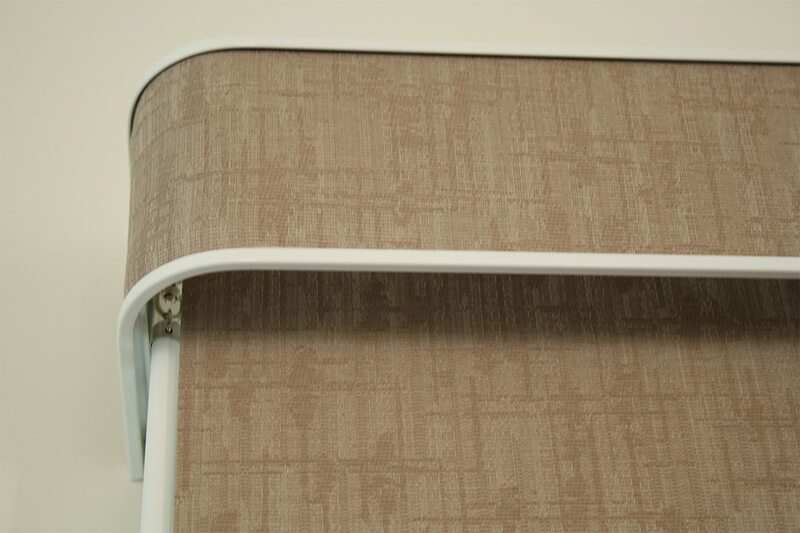 Fabric has been turned to use on Pelmet to add design and avoid seams. 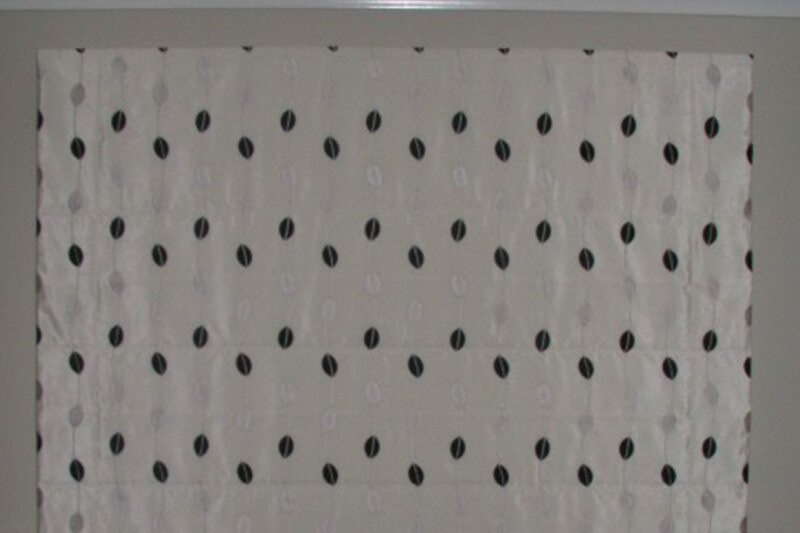 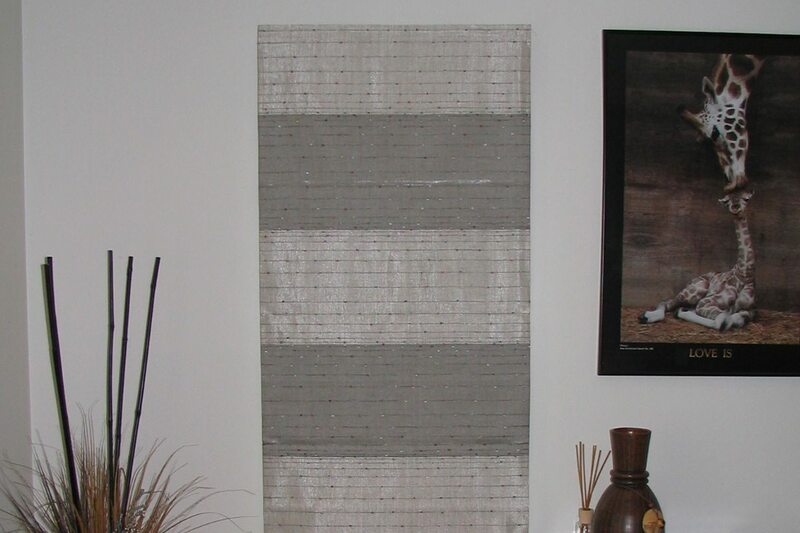 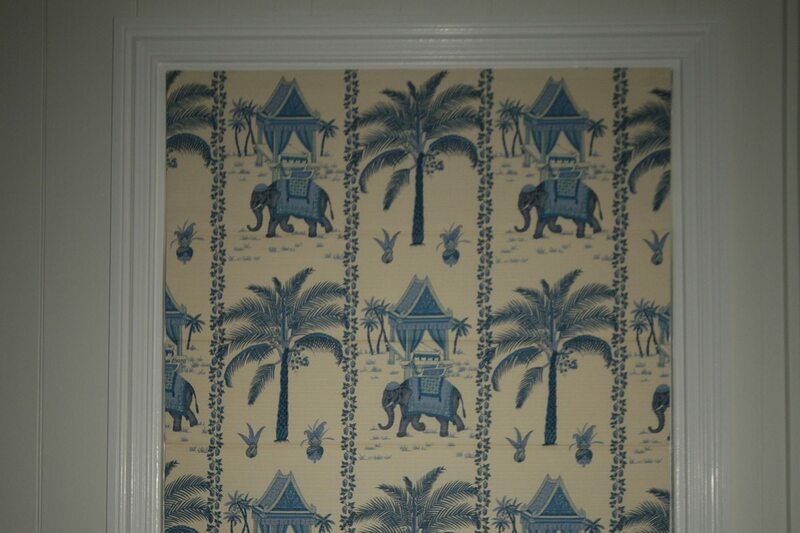 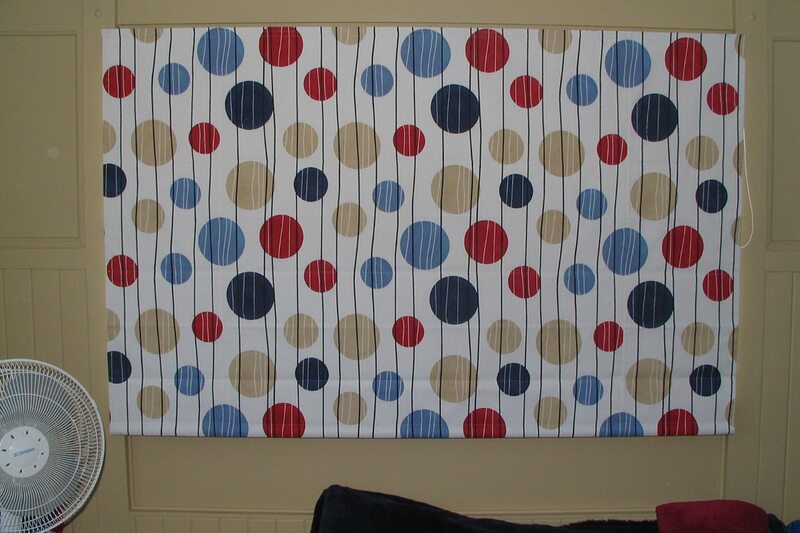 Design fabric made into a roman blind. 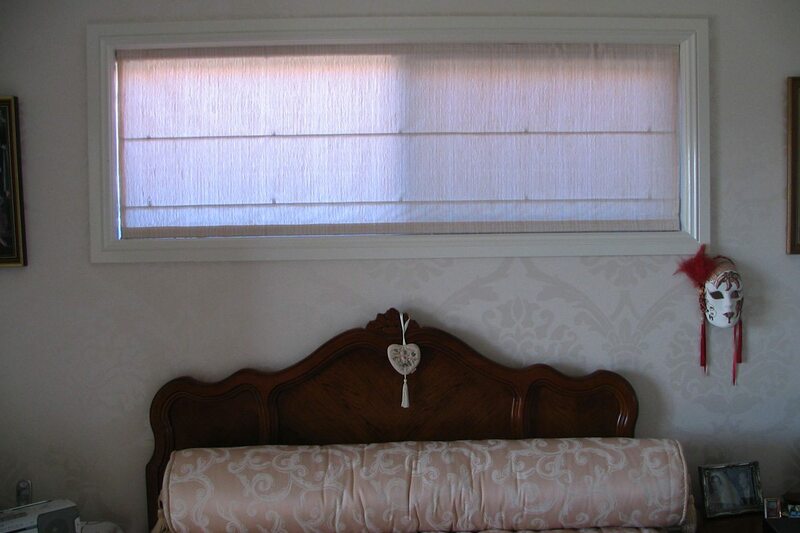 Butting roman blinds on a casement window. 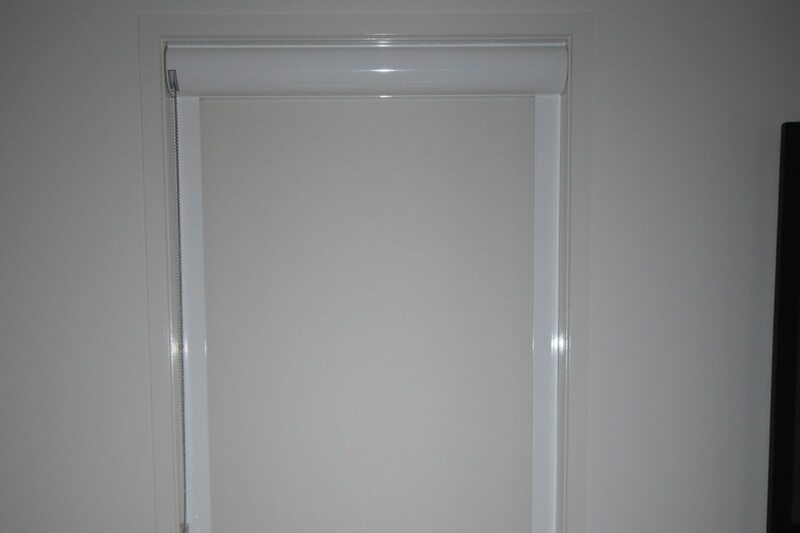 Panel glide on a track only. 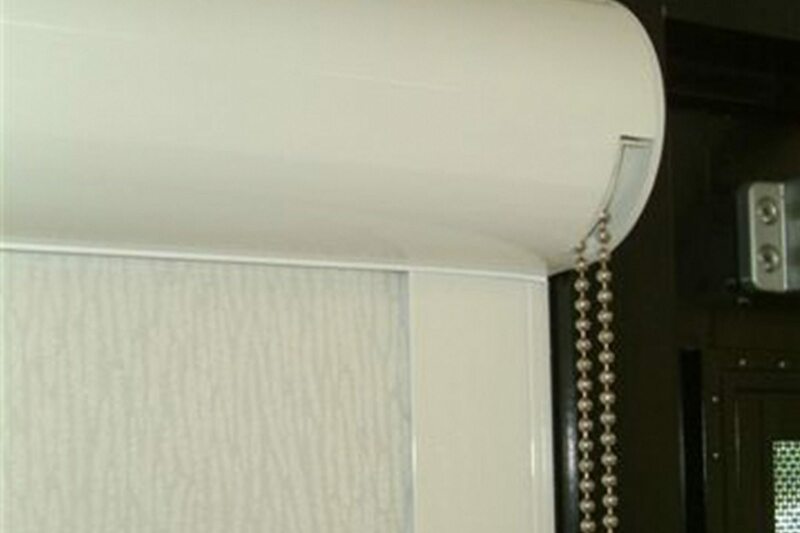 No pelmet. 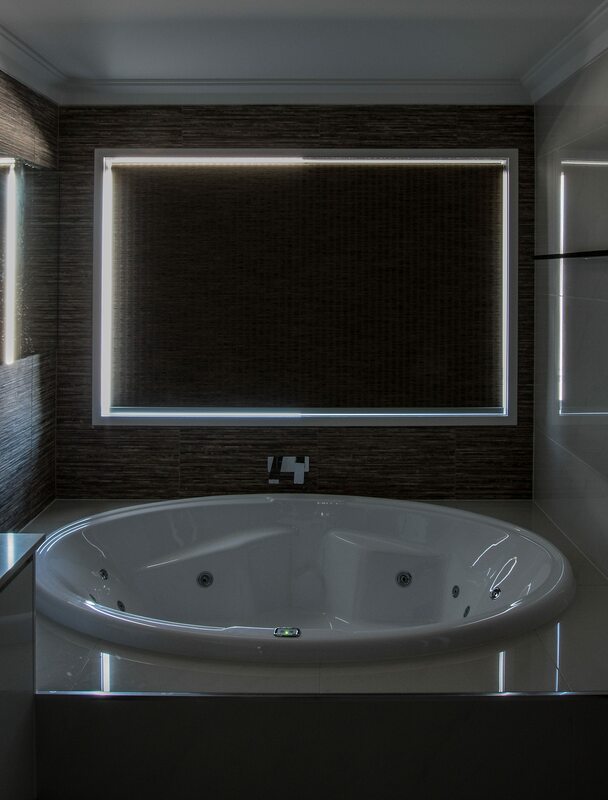 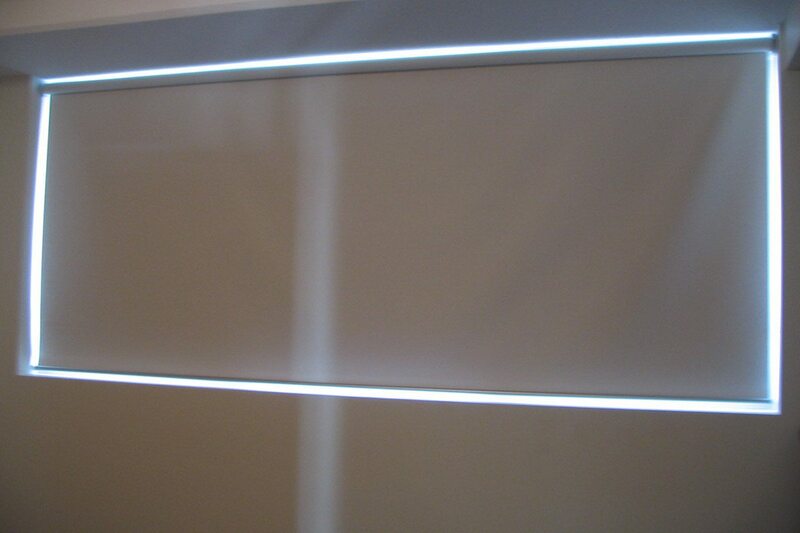 Panel glides on oposite sides of the room. 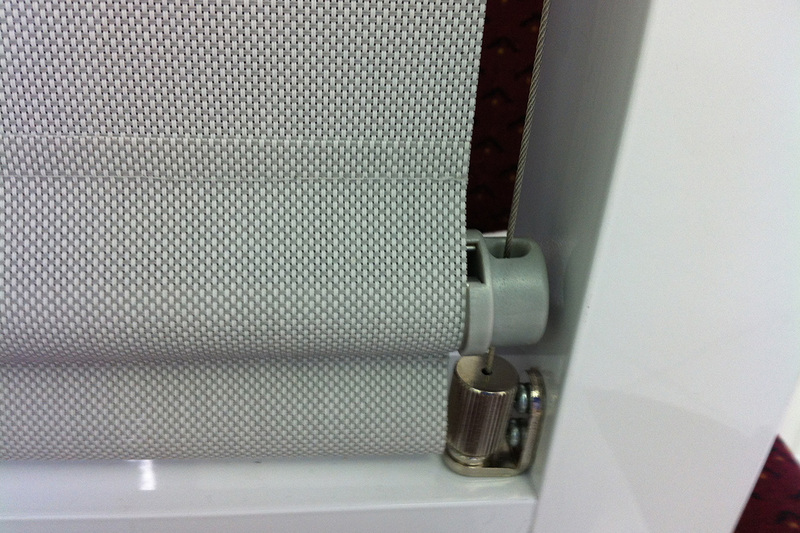 Another close up showing the control end of same wire guide blind. 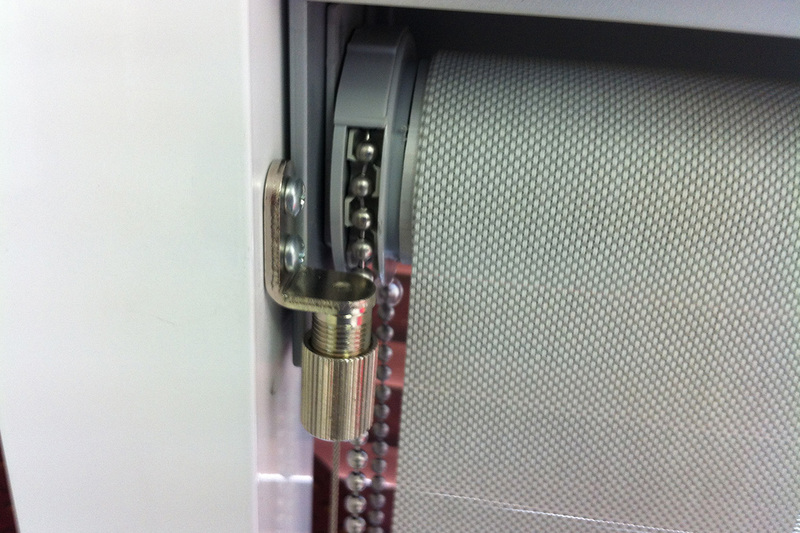 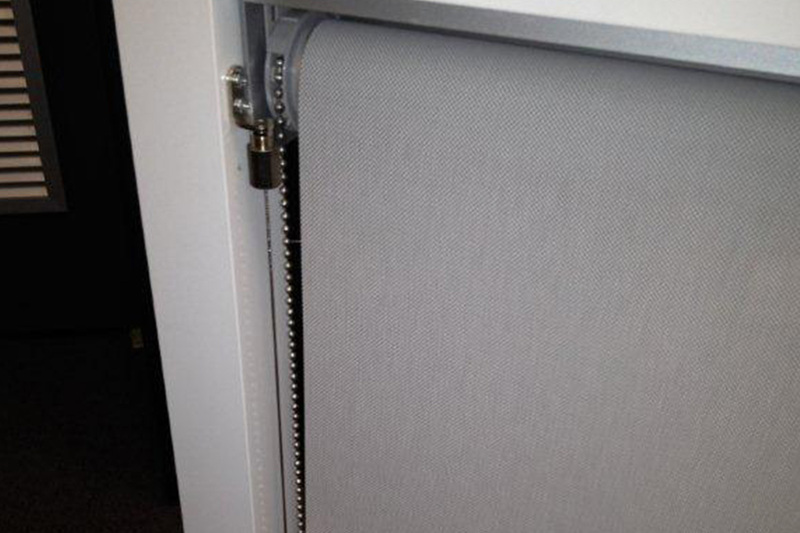 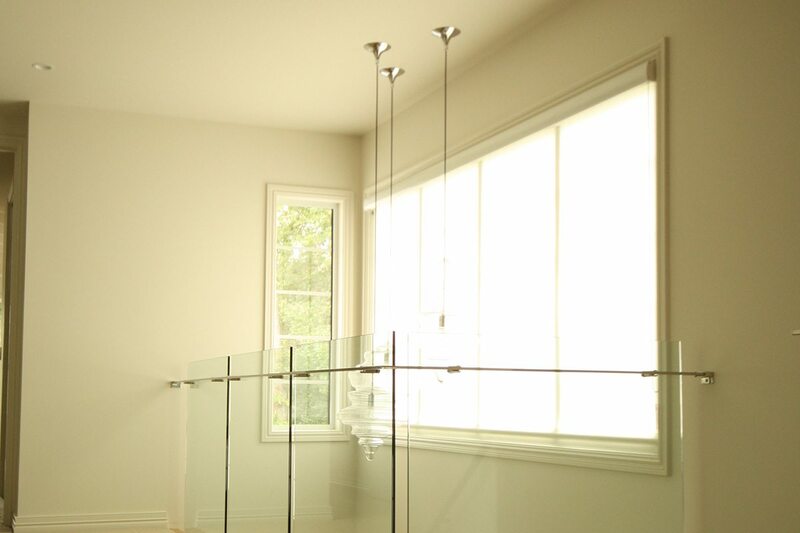 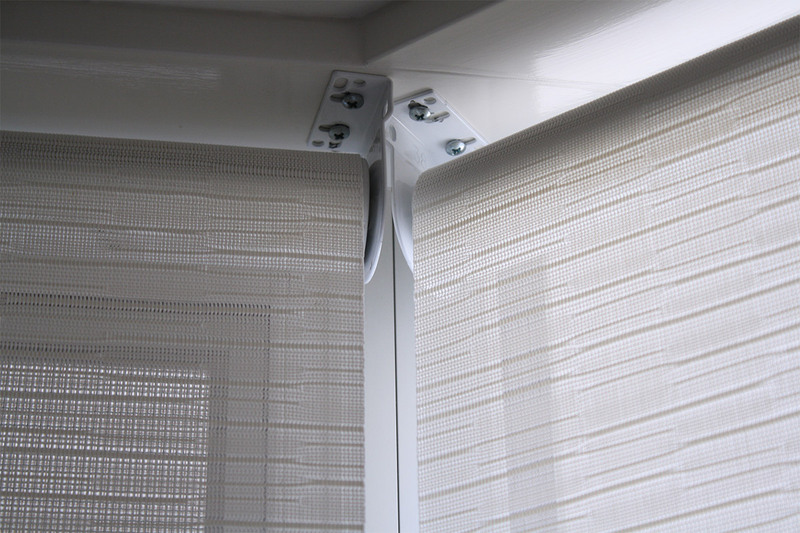 Close up of bottom wire guide fixtures and showing how the blind is secured. 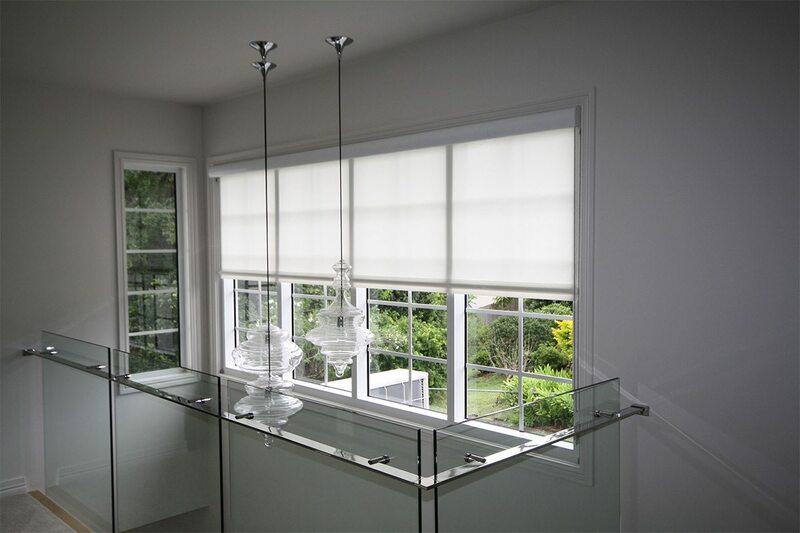 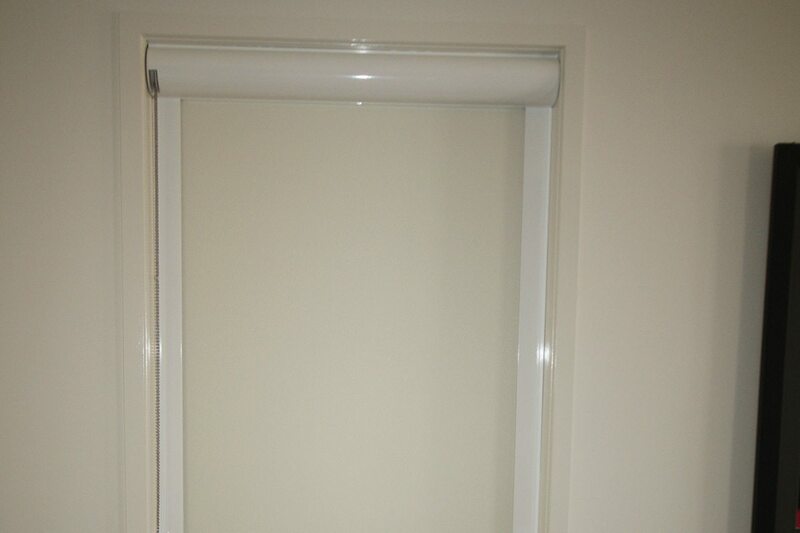 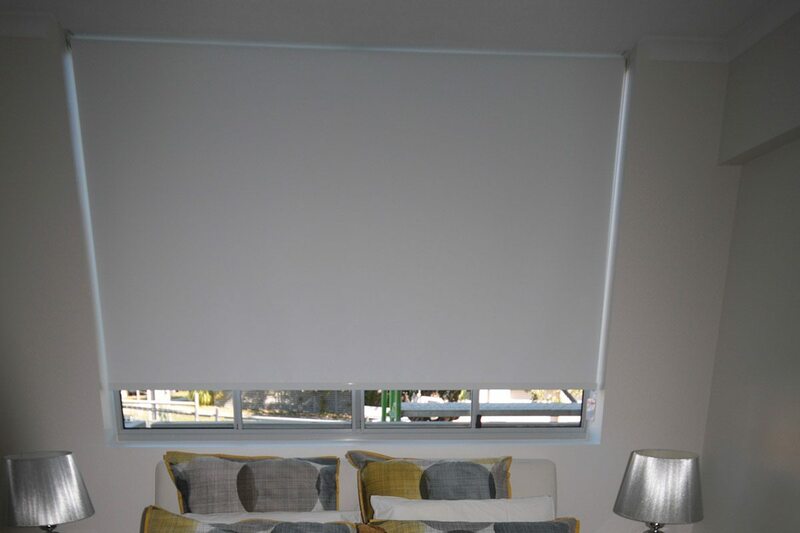 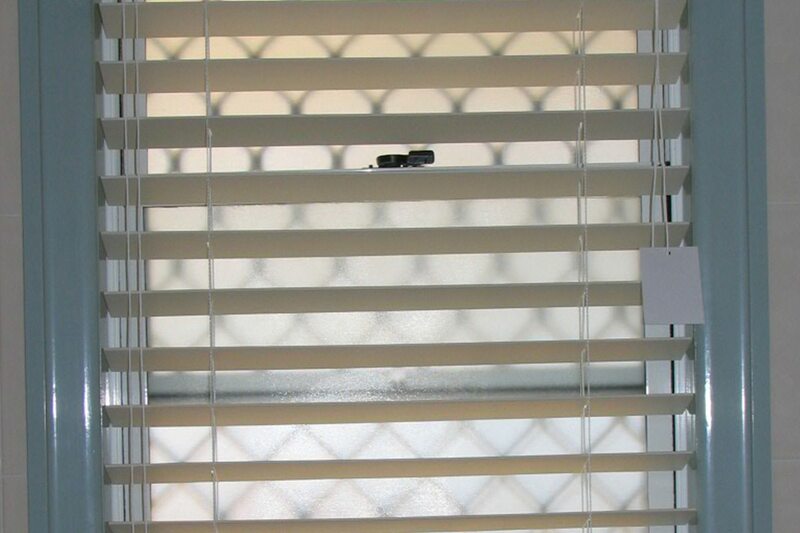 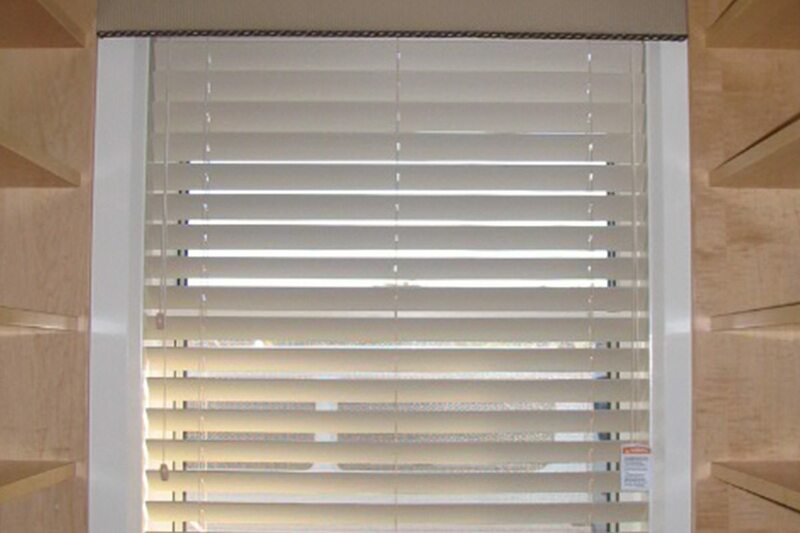 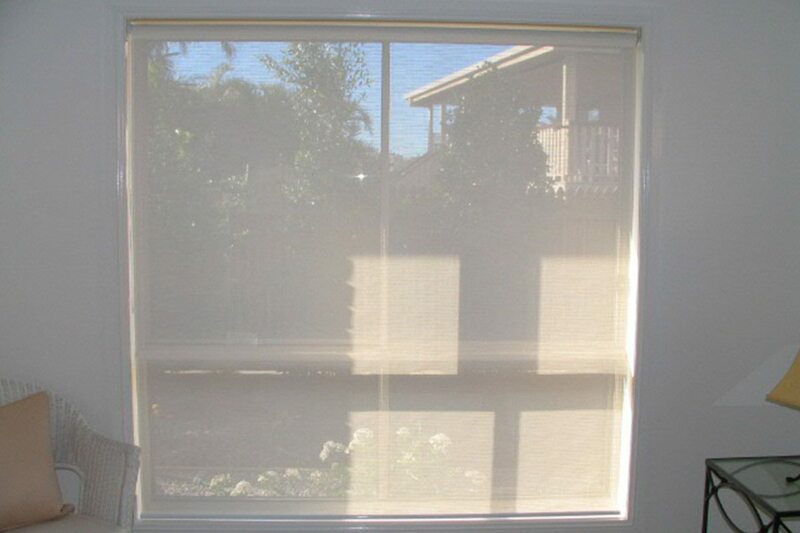 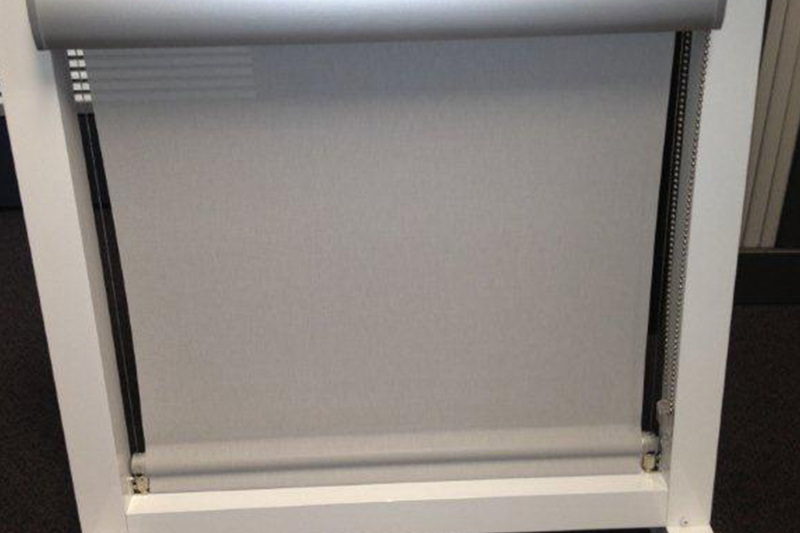 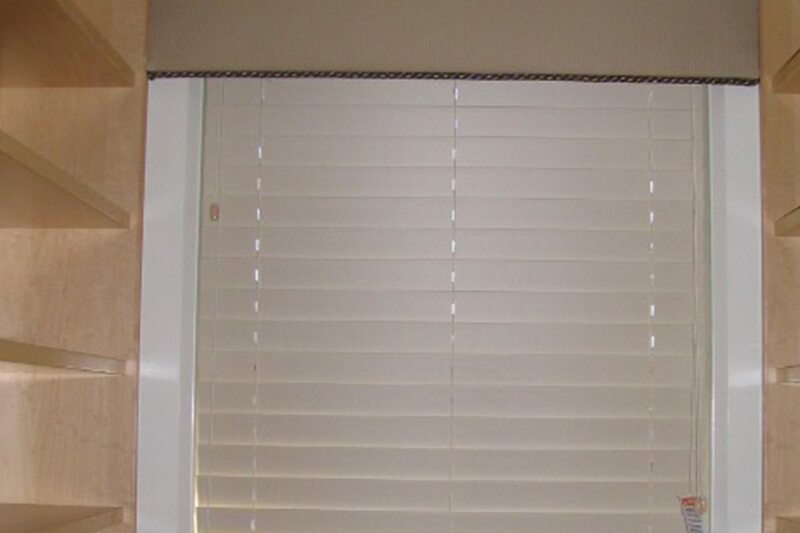 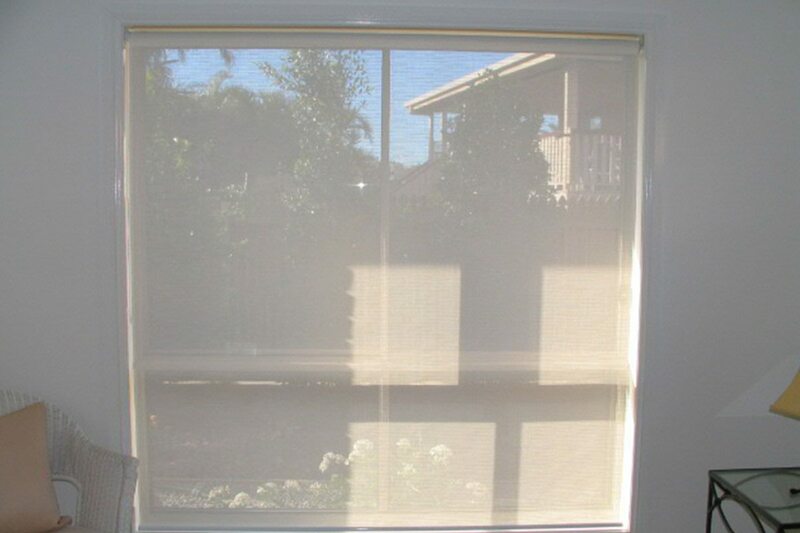 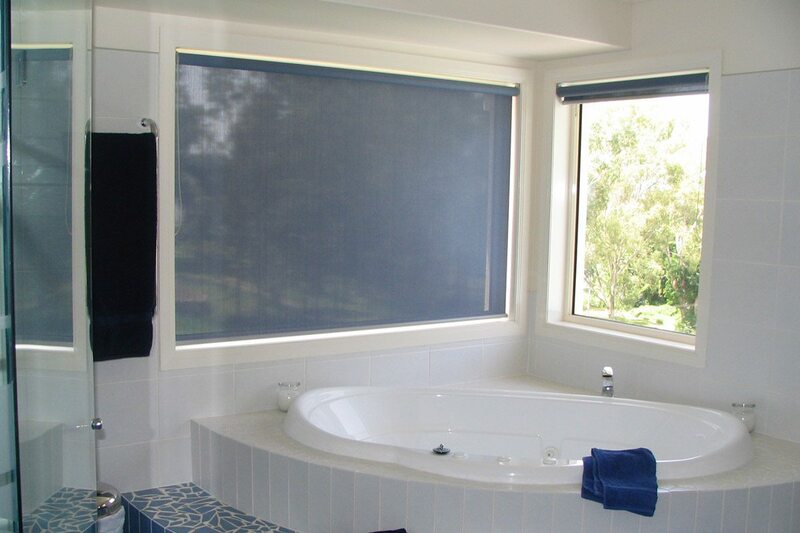 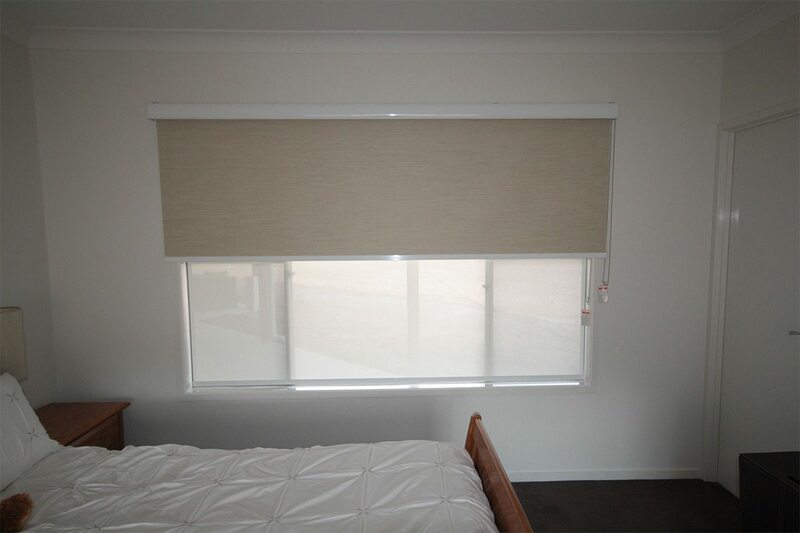 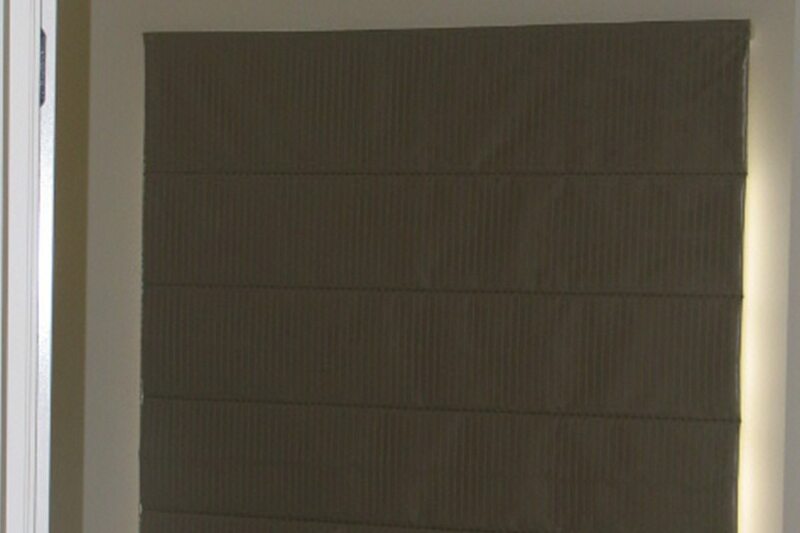 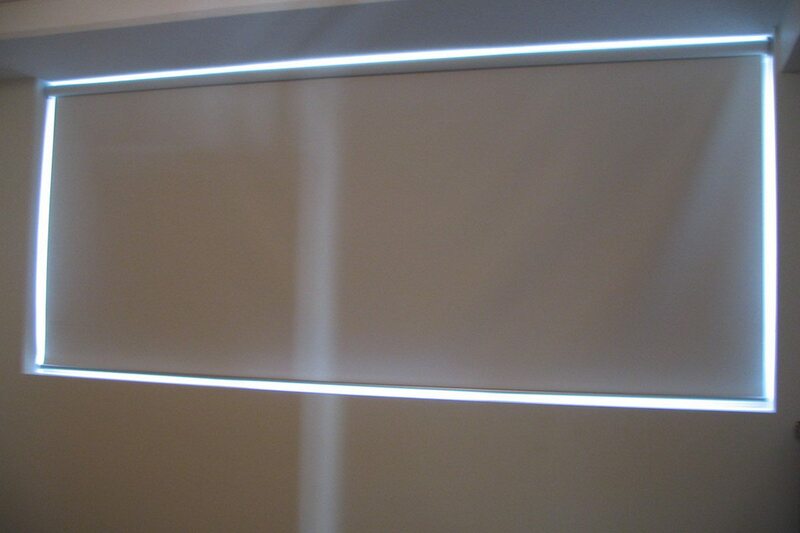 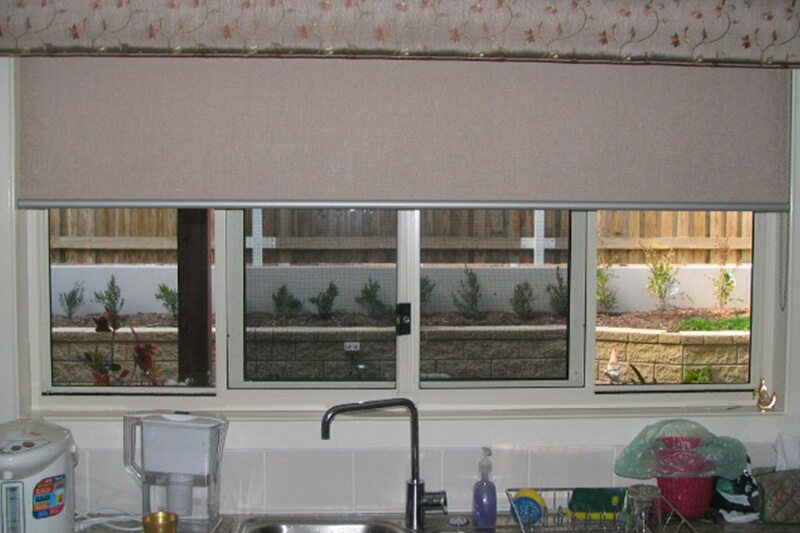 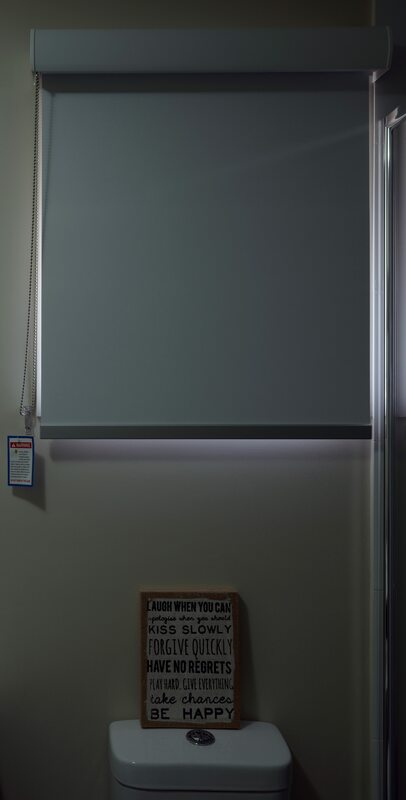 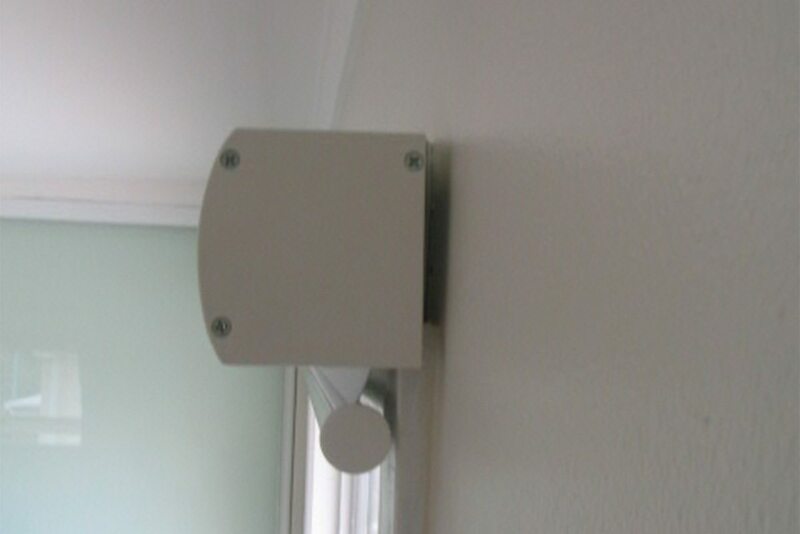 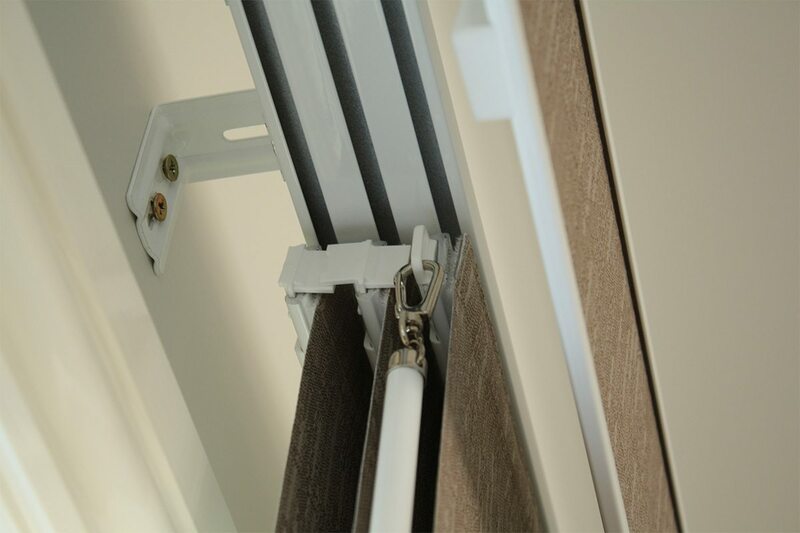 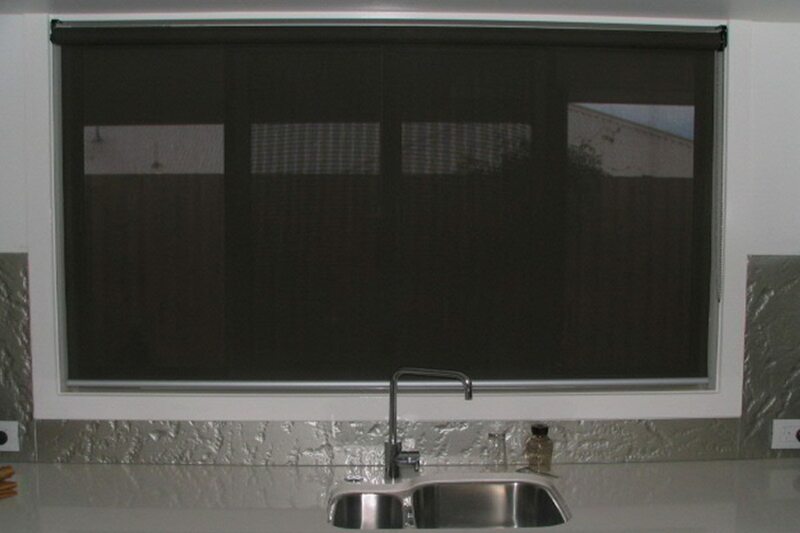 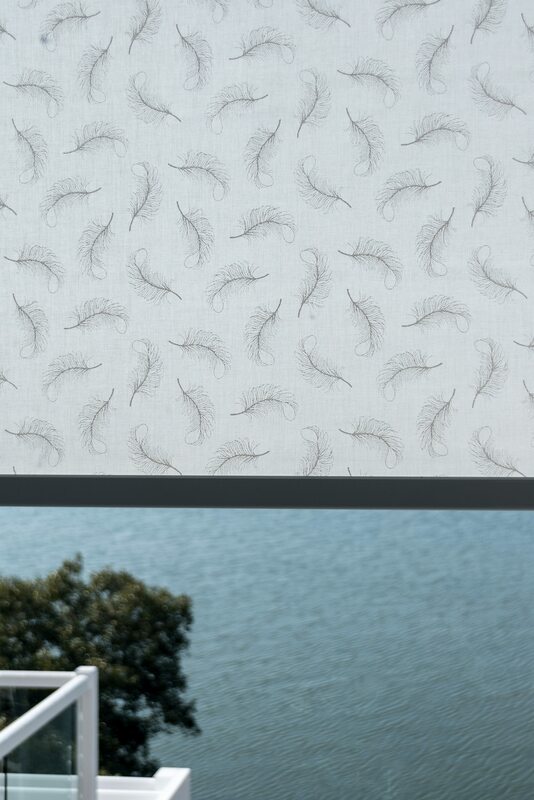 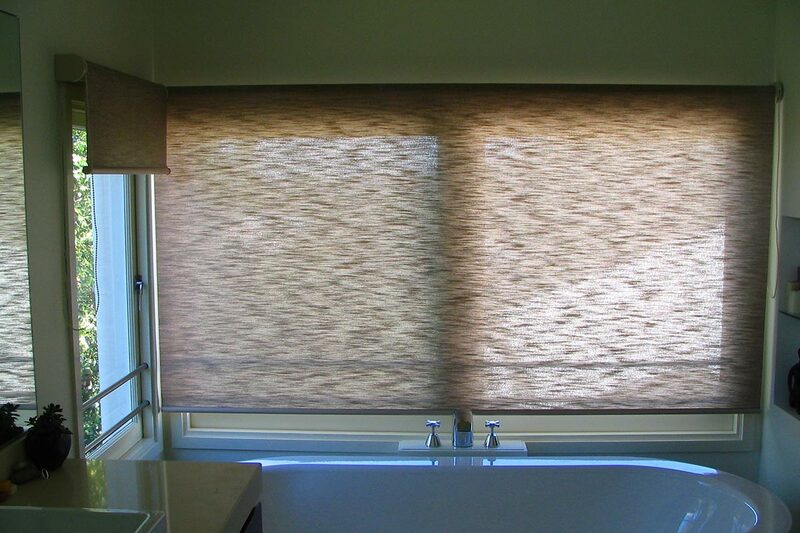 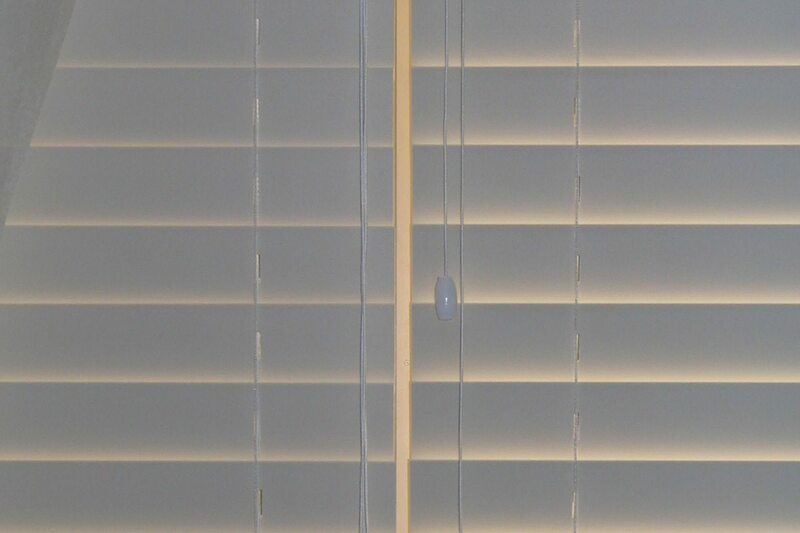 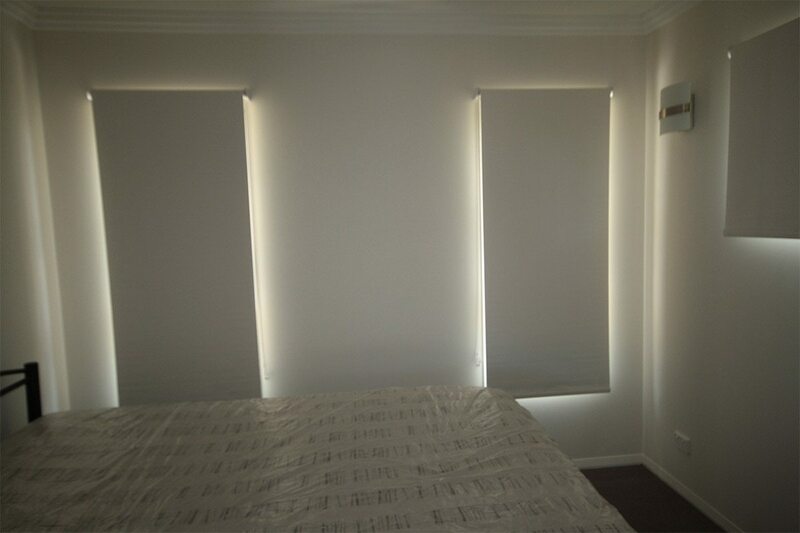 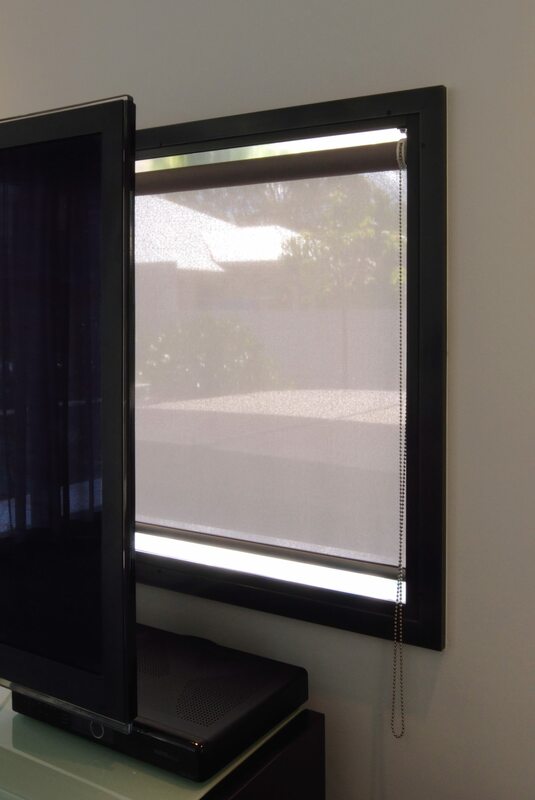 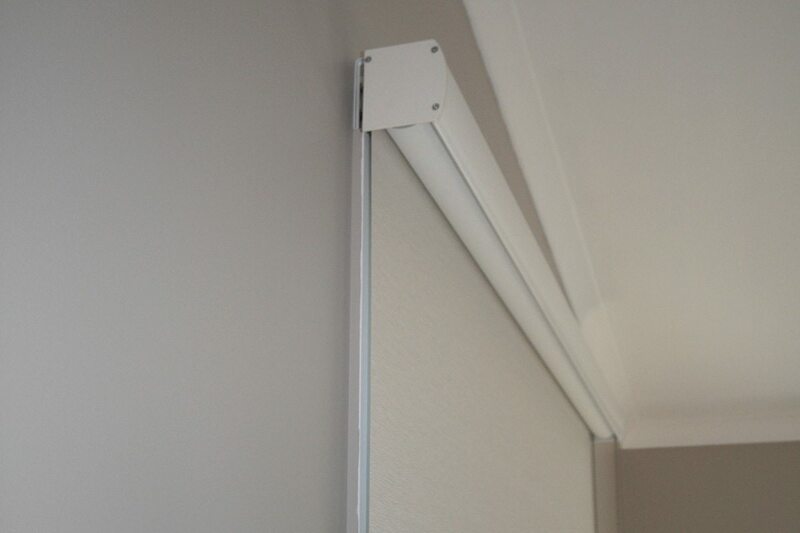 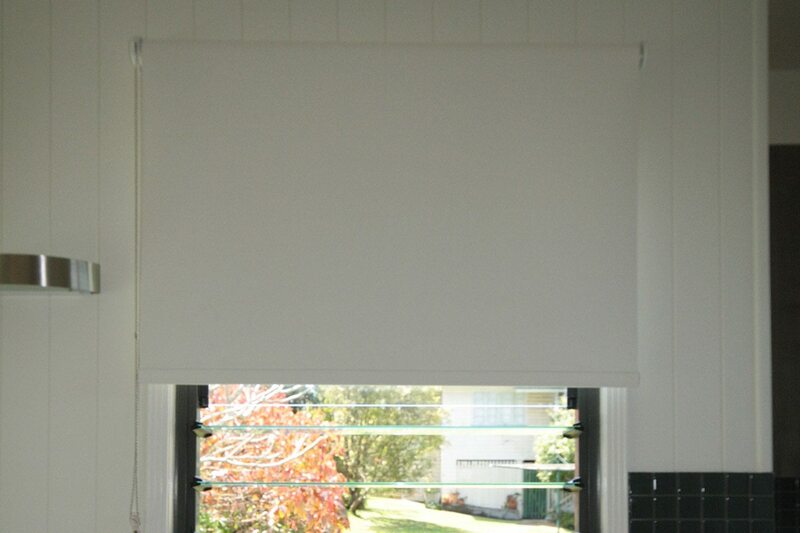 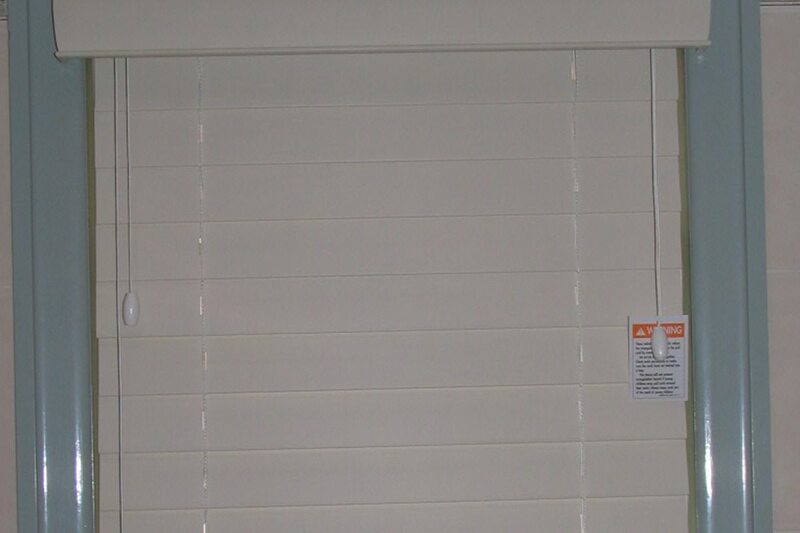 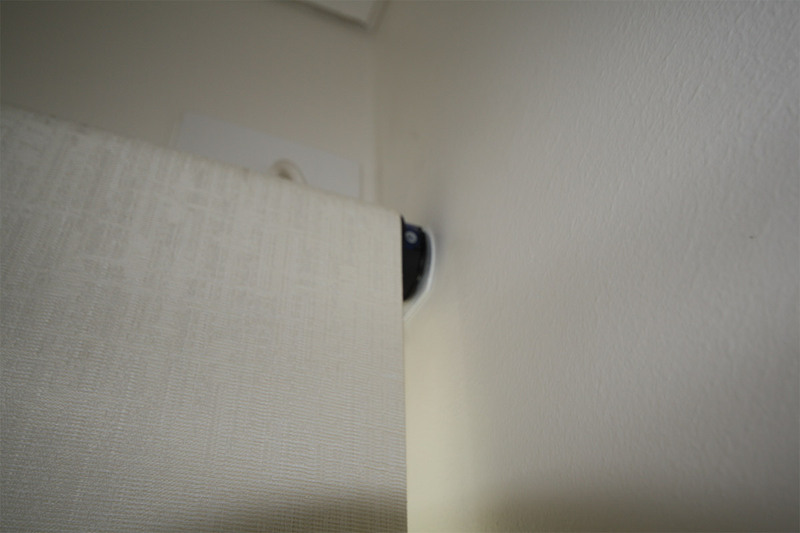 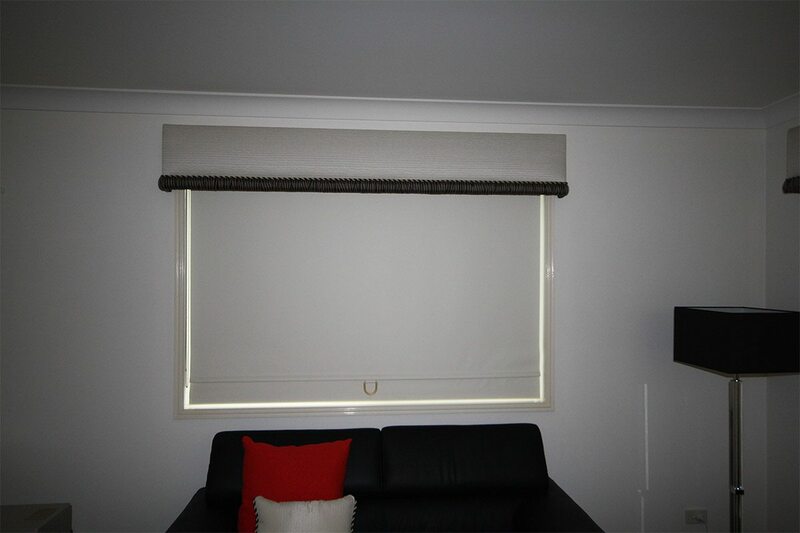 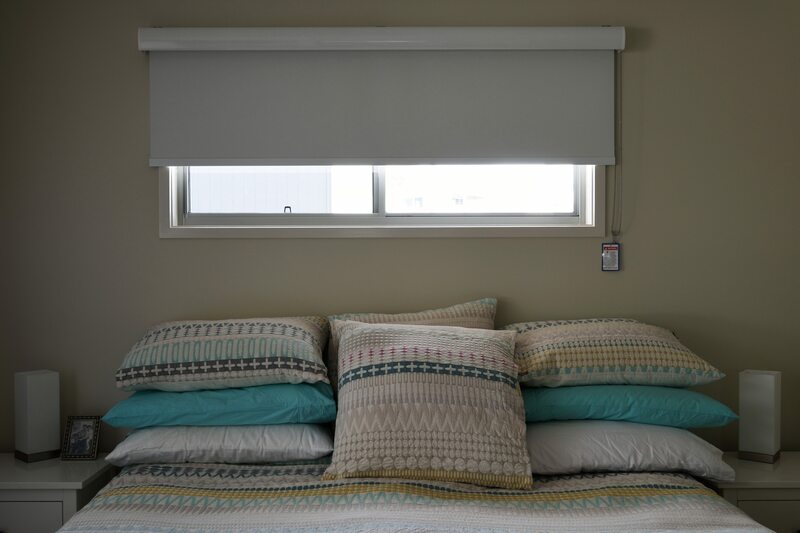 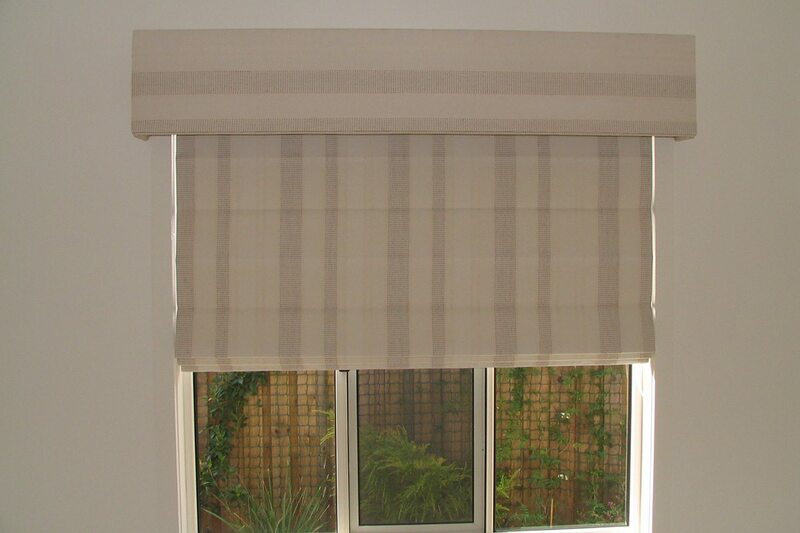 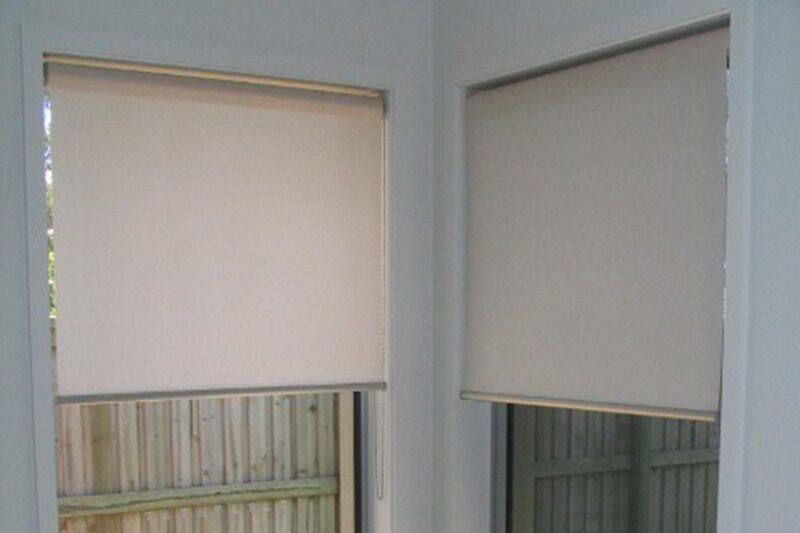 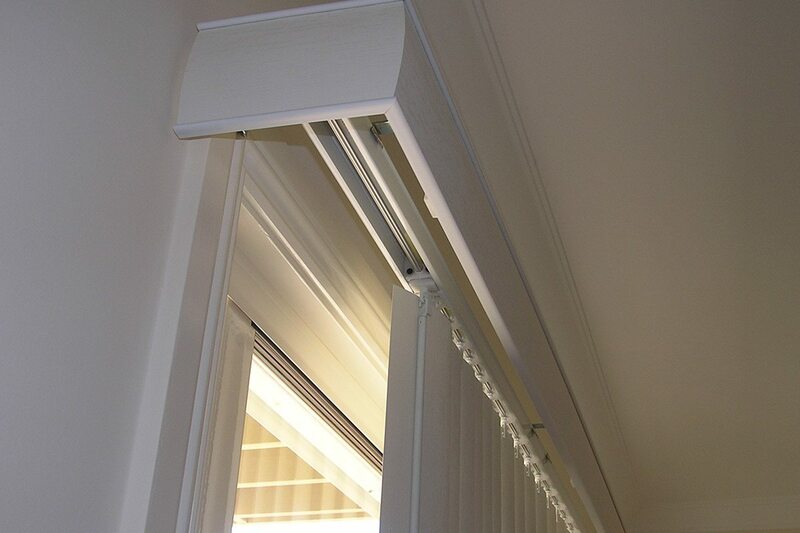 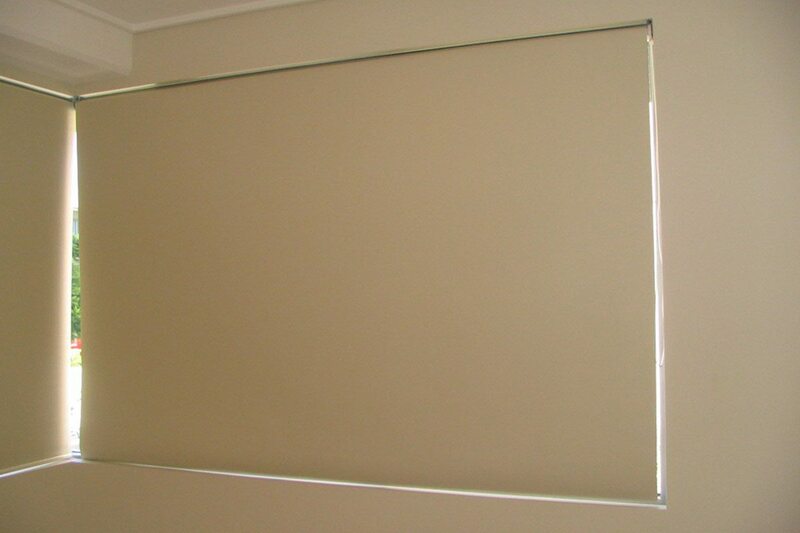 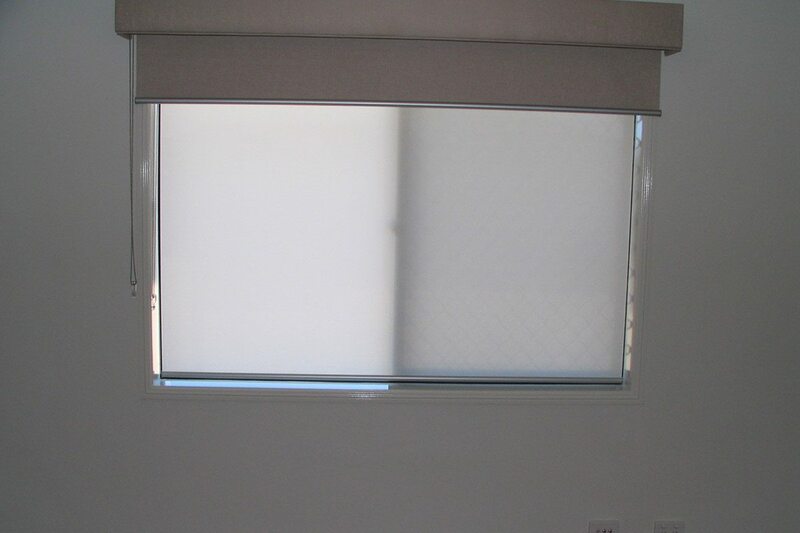 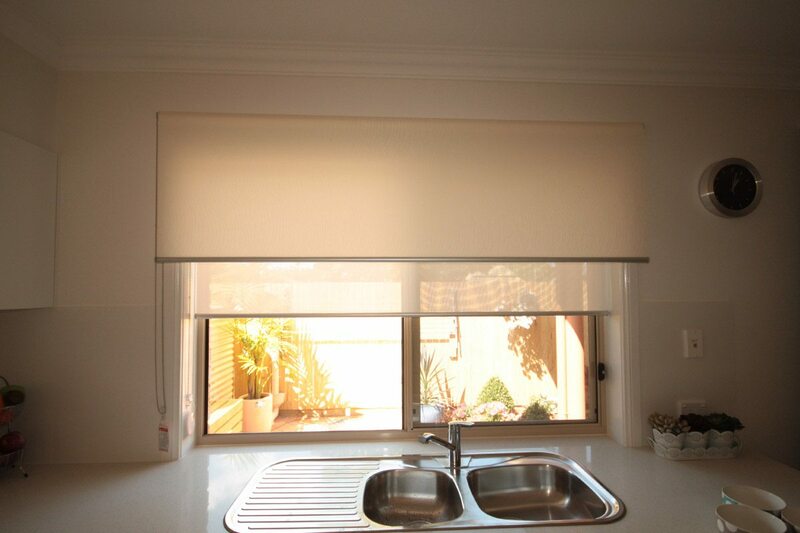 Roller blind with wire guide. 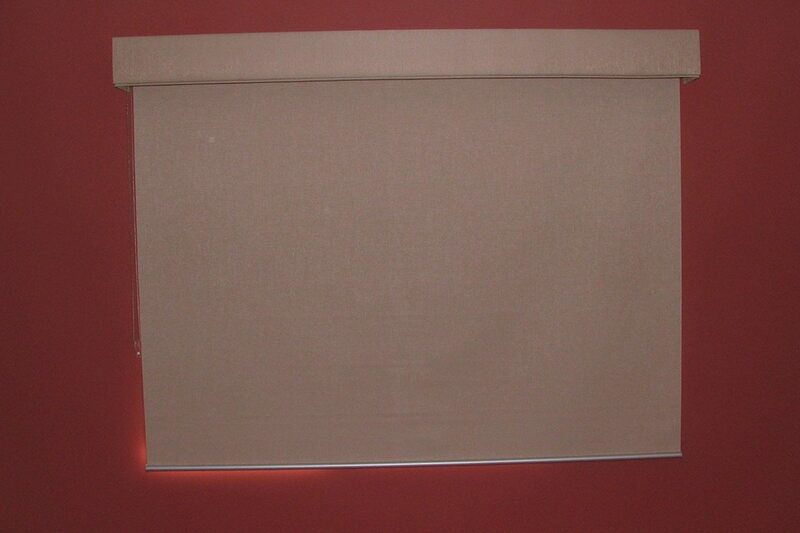 Complete Wire guide sample with rollette covering the top of the blind. 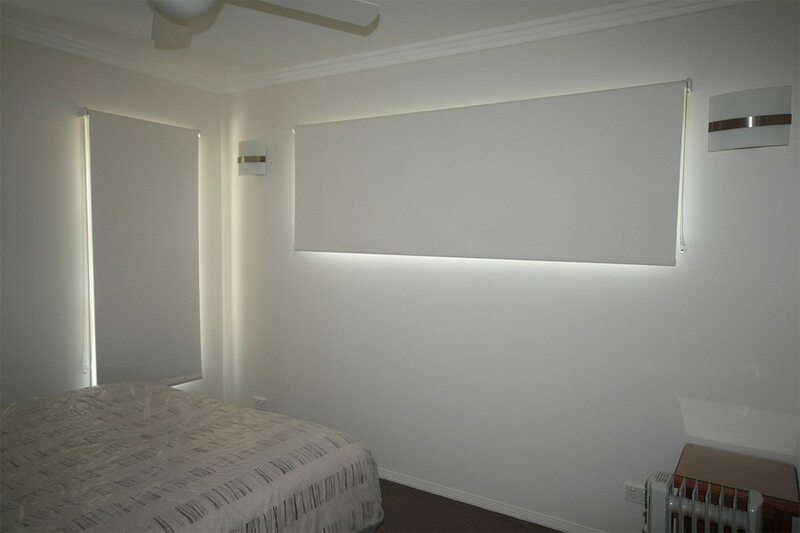 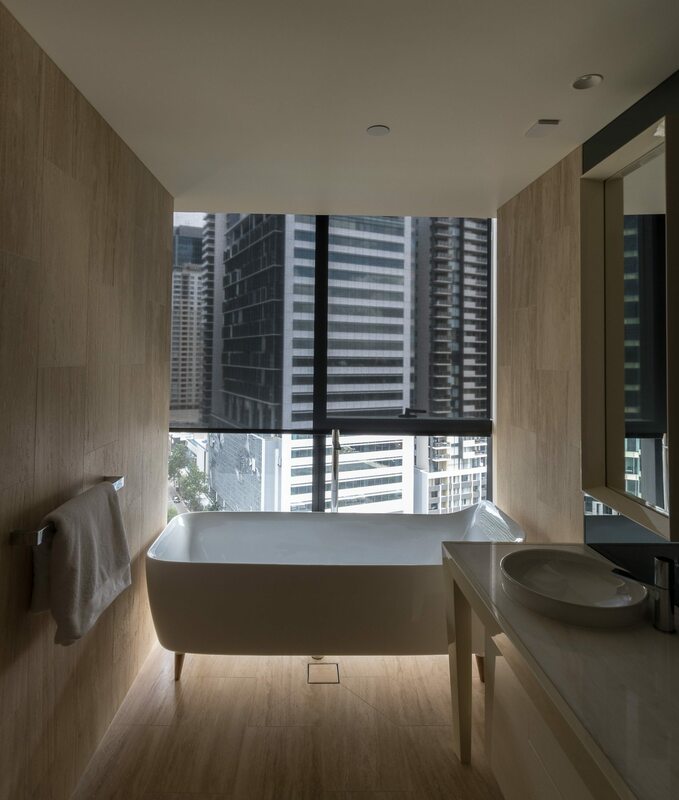 Very neat, practical and functional installation.